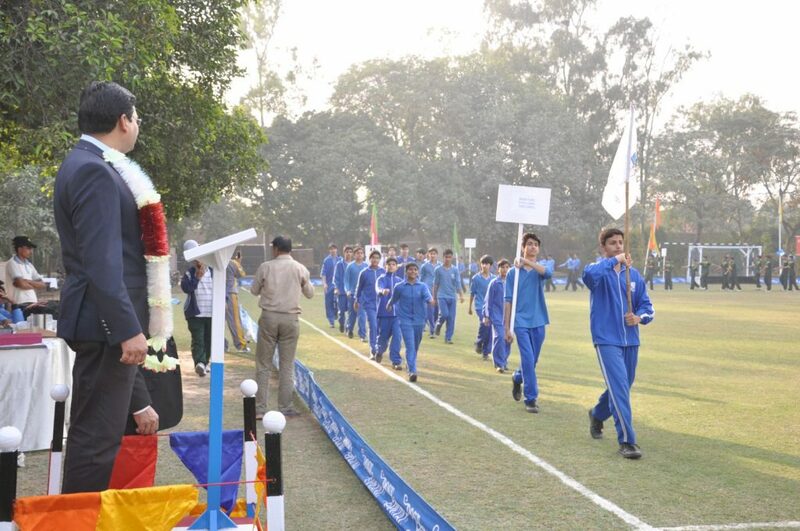 Promoting sports for creating sound, thinking able minds with physical prowess. 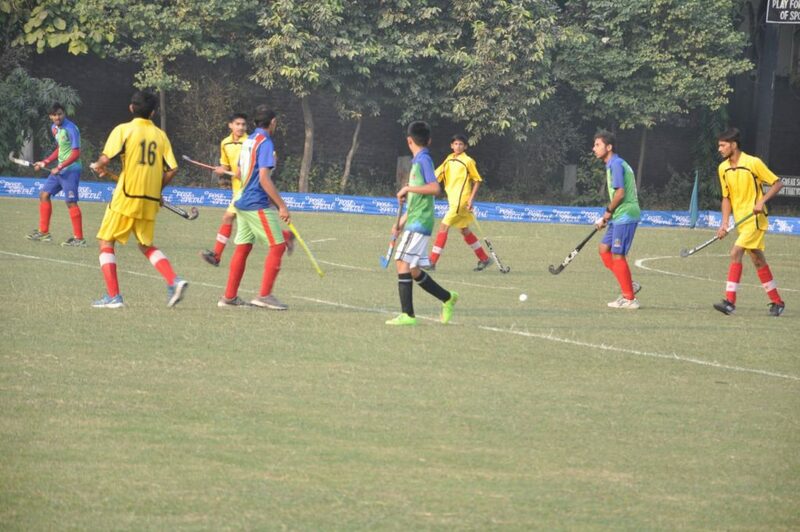 We always hear commentators or color analysts talk about certain aspects of individual players. We ourselves can almost immediately name a player associated with a certain skill or attribute. Muhammad Jafar was one such player who was associated with a lot of skills, both on the field and off. 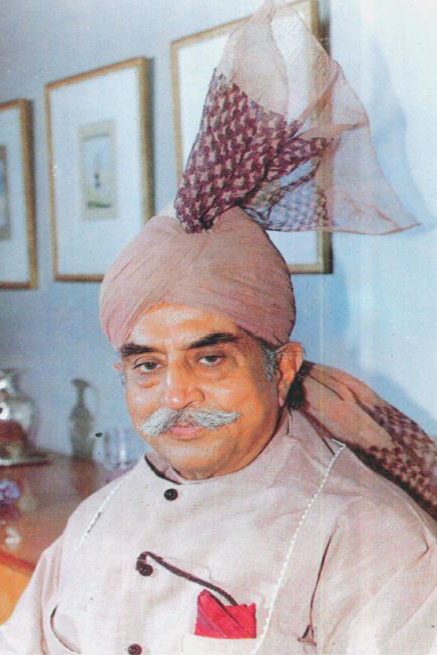 By nature, he was gentle and kind hearted, always inclined to be gracious and to overlook the faults of others. 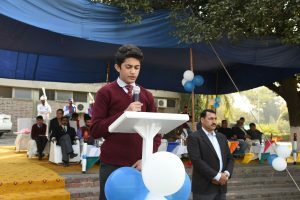 Politeness and courtesy, compassion and tenderness, simplicity and humility, sympathy and sincerity were some of the keynotes of his character. 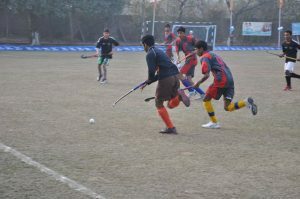 On the field, he had drive and ambition to raise the level of consistency. 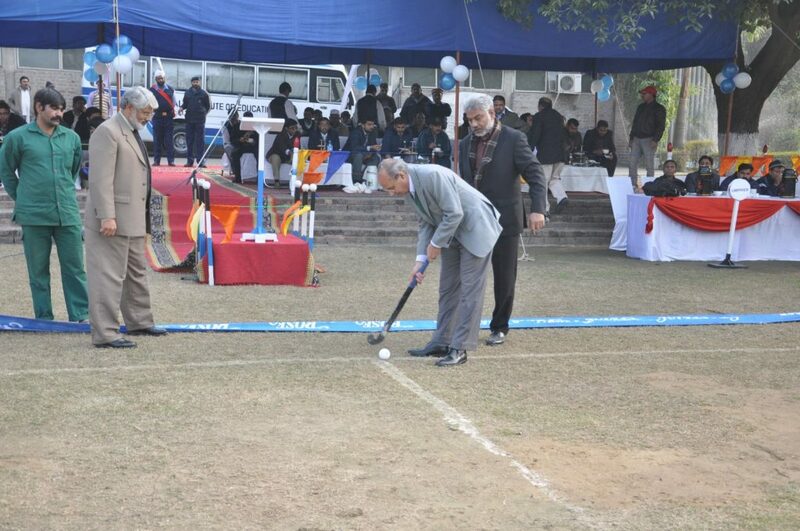 He could hit a ball flat, but he strived to hit it harder whilst keeping it flat. There are three kind of hockey players, one who is not so good but also don’t have any desire to work hard, second are those who are not that talented but if they work hard they can do well. Then there are players like Muhammad Jafar who are talented and motivated by default, who you just let them be at the field. 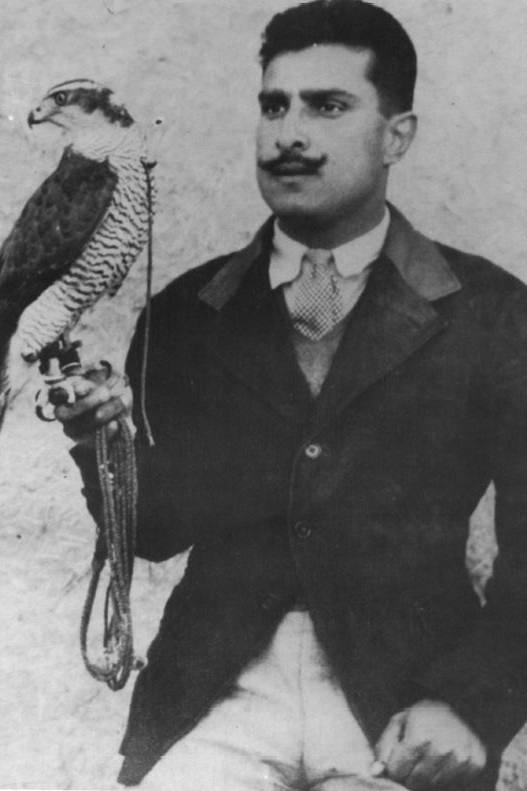 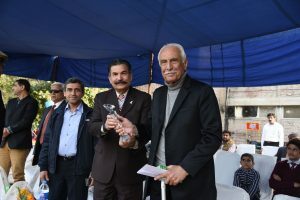 Muhammad Jafar joined Aitchison college in 1919. 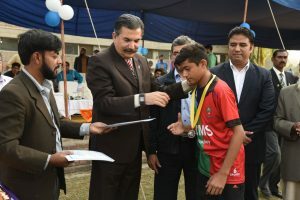 Since a child, he had a strong connection with sports. From the first day, all the young boys fell under his spell as a born leader which is why he became the captain of the junior teams and won the C.B. 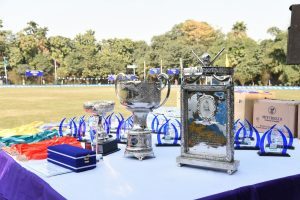 Barry Cup for the best athlete and all-rounder amongst the juniors in 1924, Rivaz Gold Medal for being the all-rounder in the college in 1928, Aitchison Challenge Cup & Hutchinson Challenge Cup in 1928. 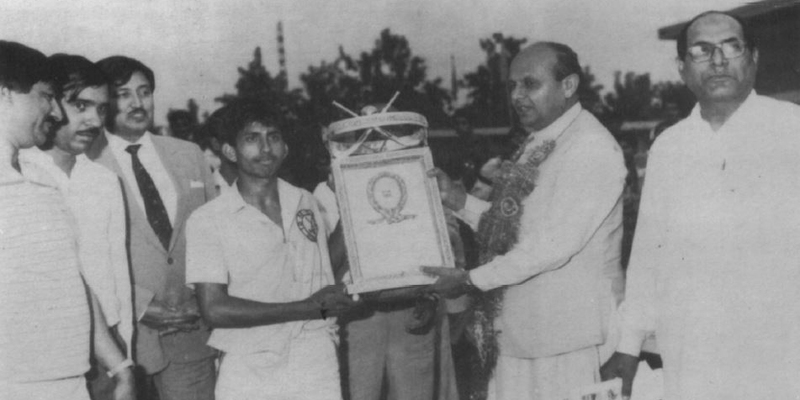 Besides hockey, he was a good swimmer, driver, gymnast, football, cricket and tennis. 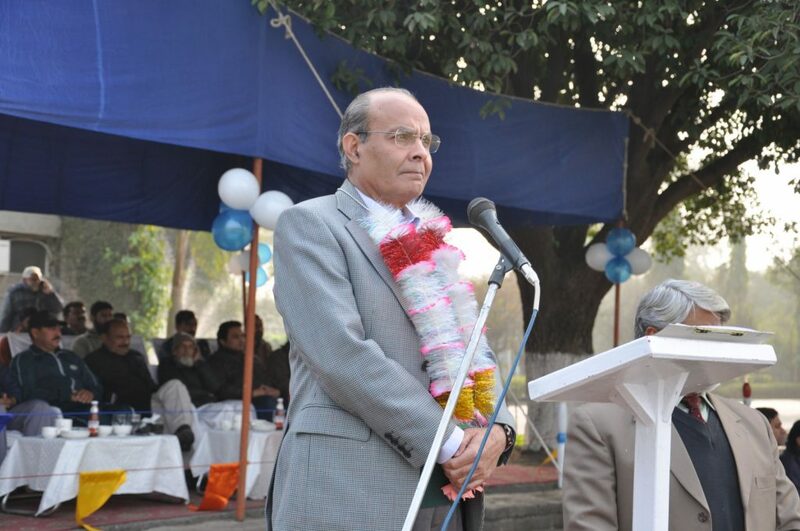 After Muhammad Jafar’s death (1910-1937), a fund was created on his name at Aitchison College by Mian Ghias-ud-din, M.L.A. 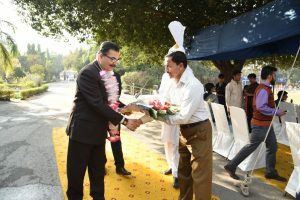 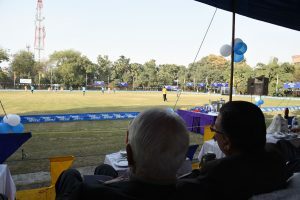 In his honor, The Jafar Pavilion was made at Aitchison College on March 3rd, 1942 which is opened by Nawab of Bahawalpur. 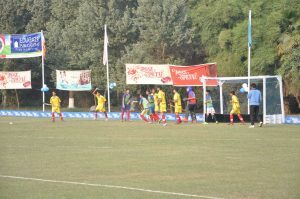 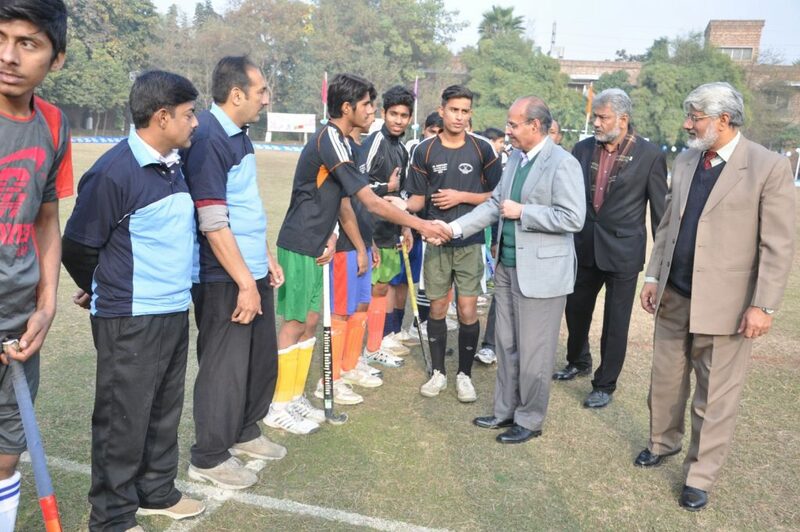 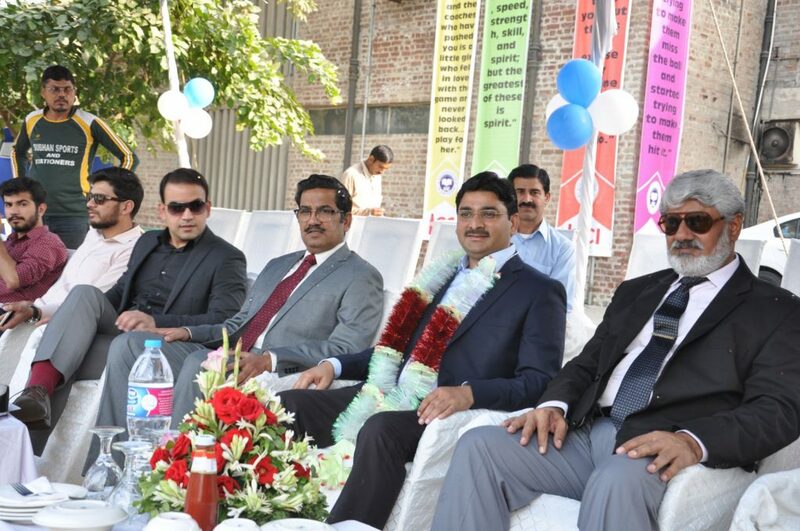 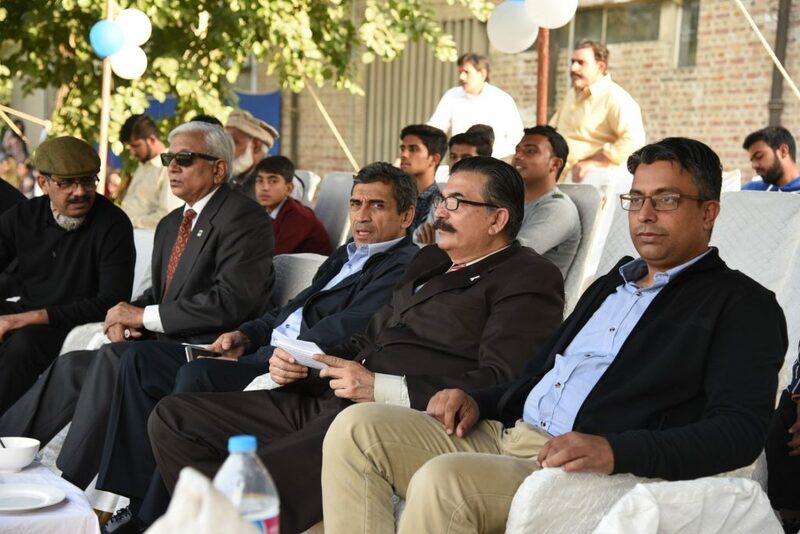 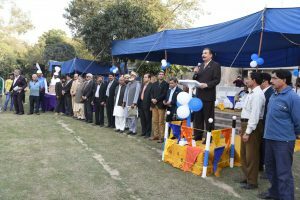 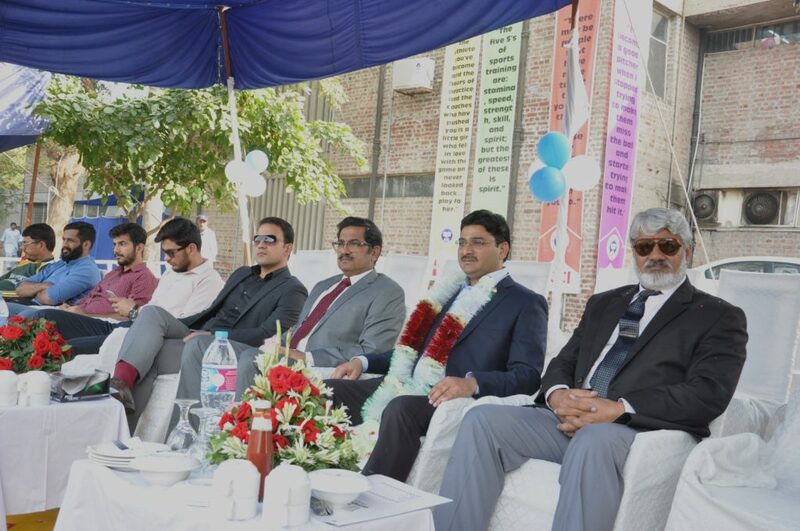 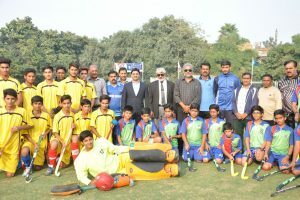 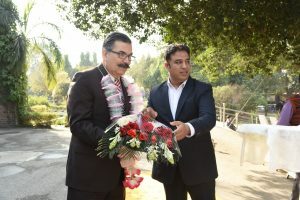 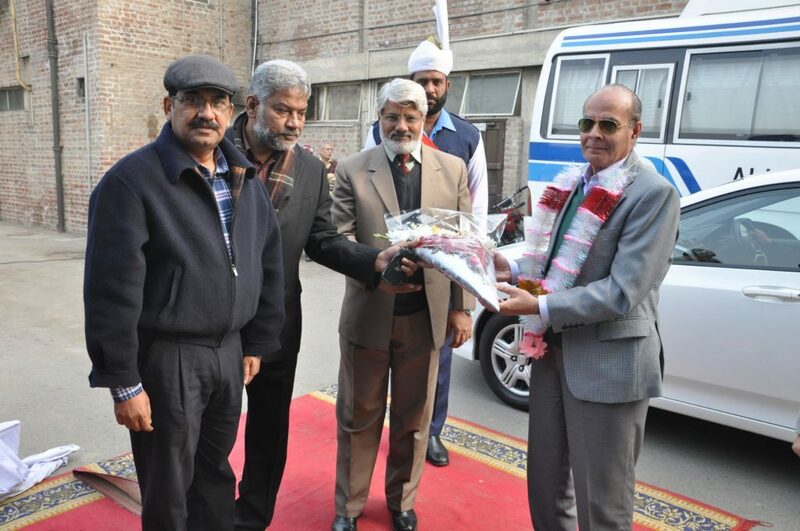 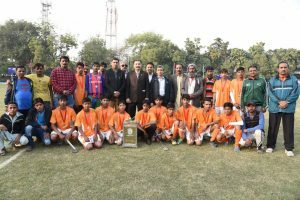 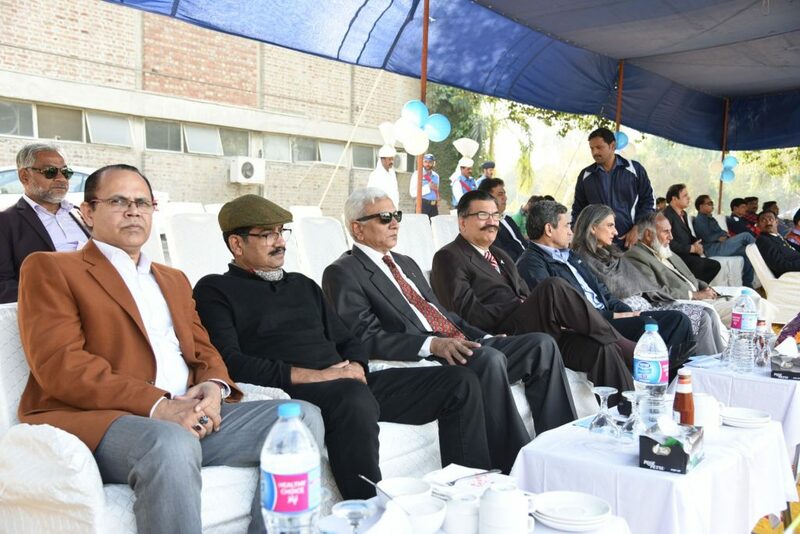 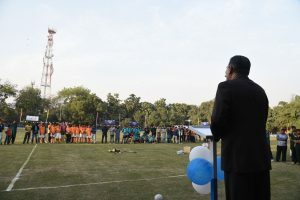 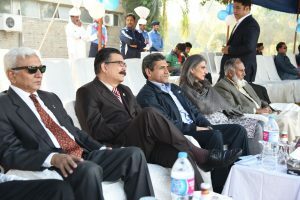 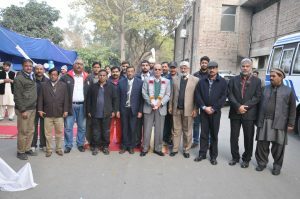 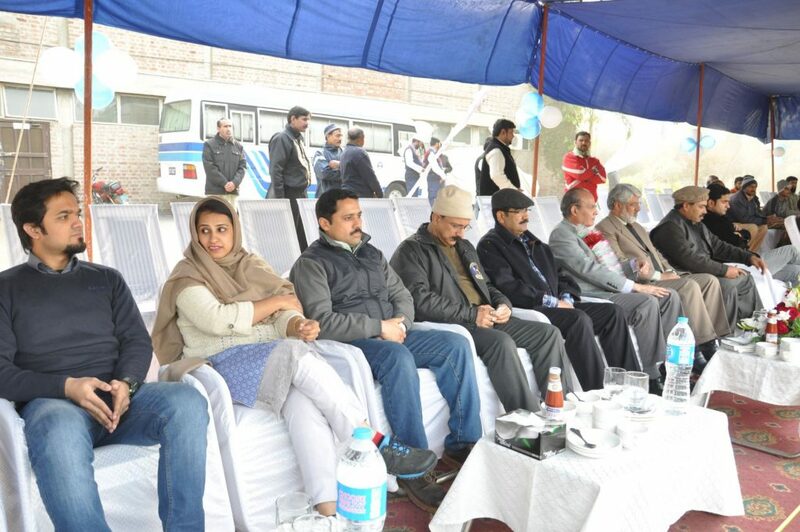 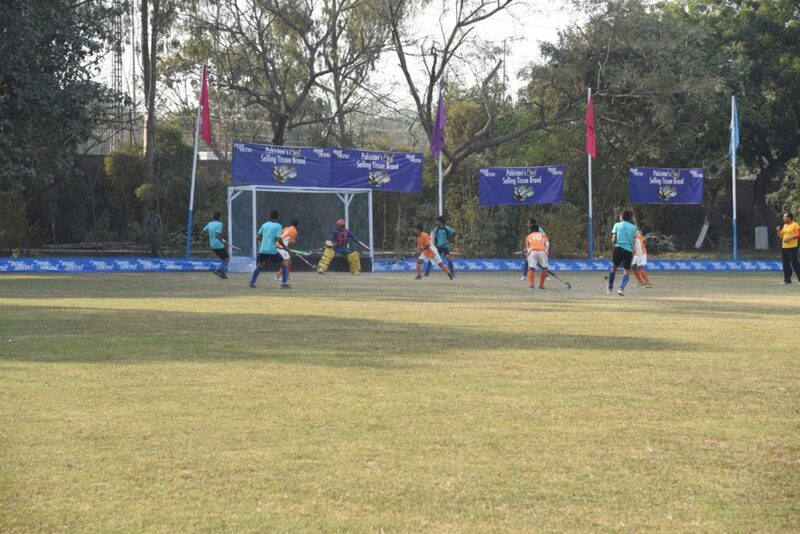 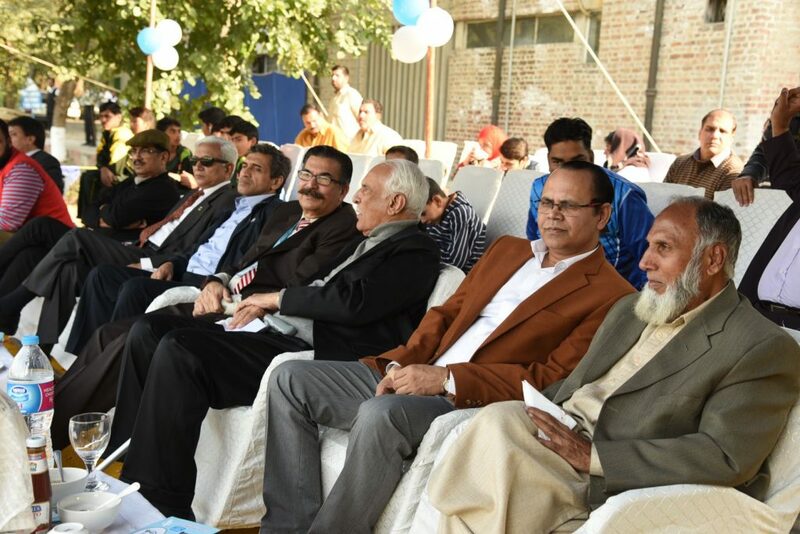 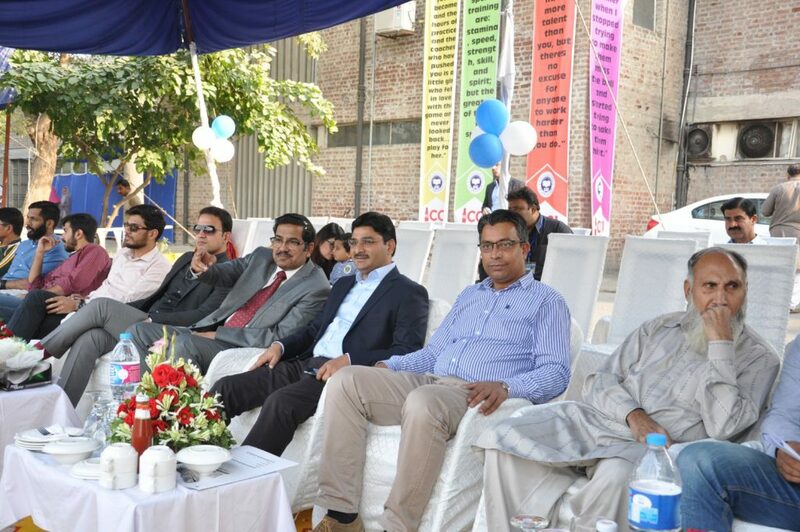 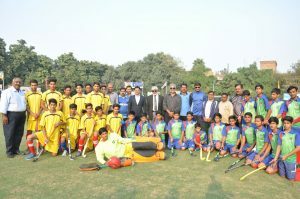 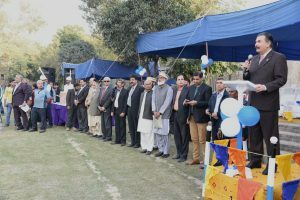 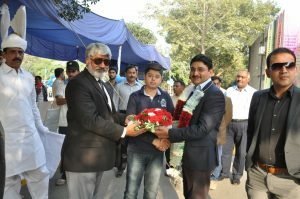 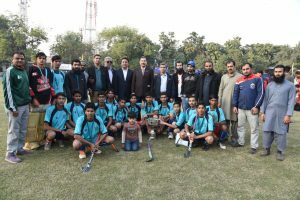 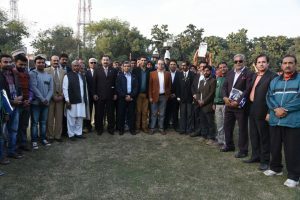 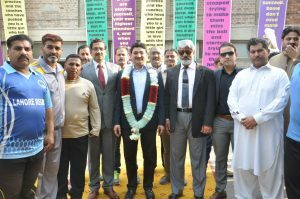 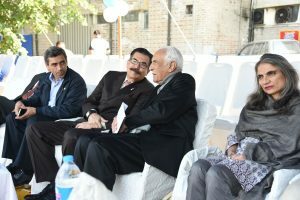 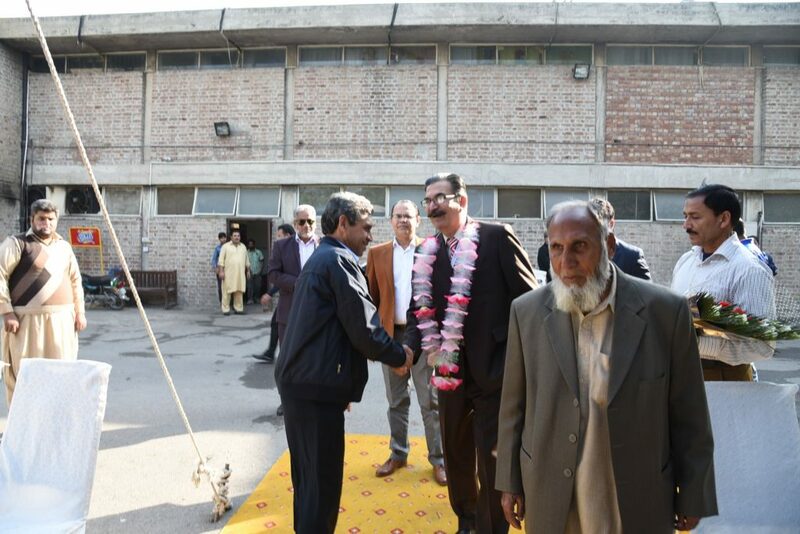 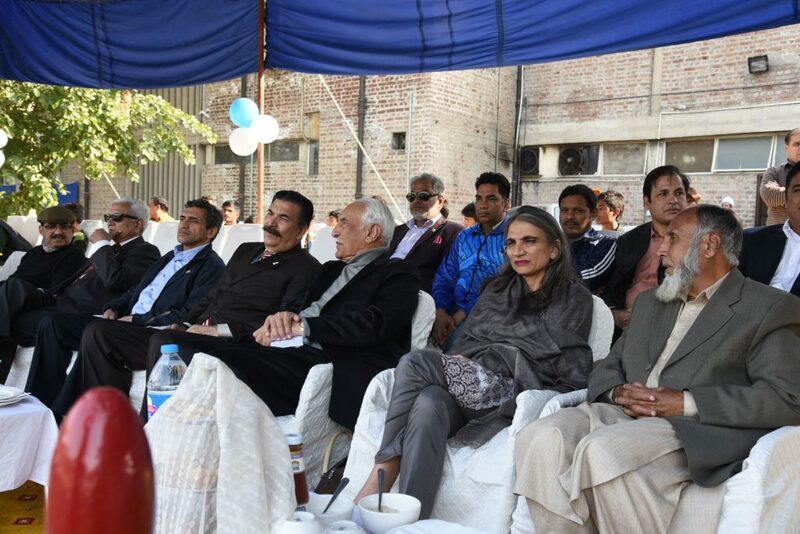 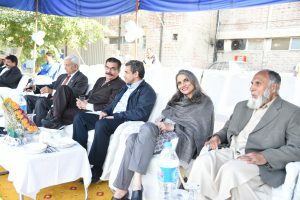 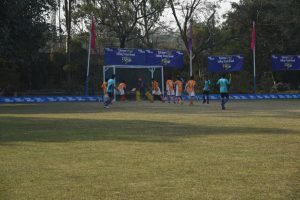 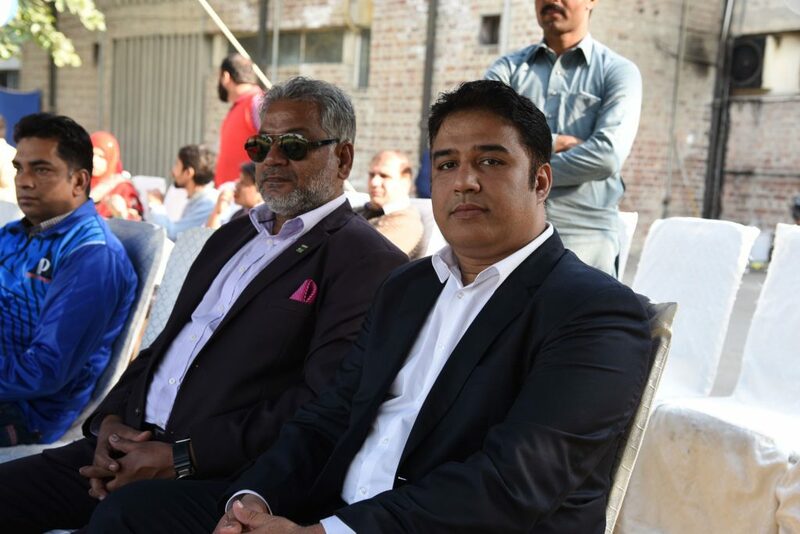 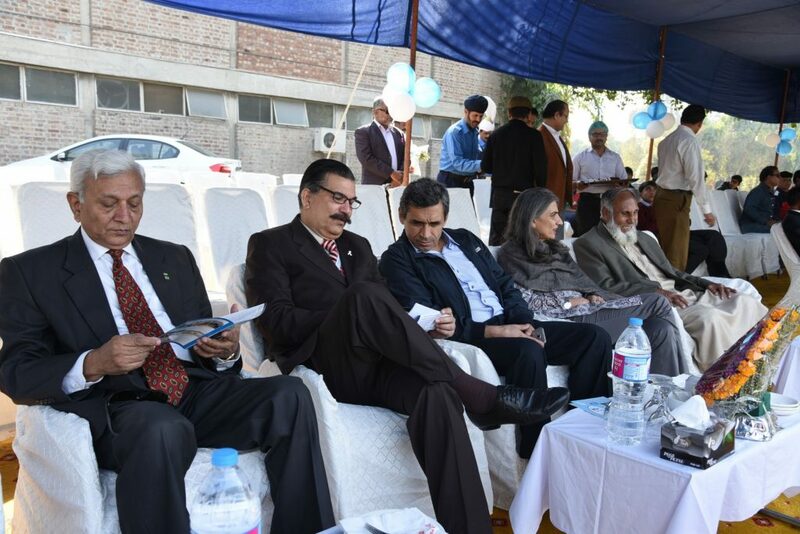 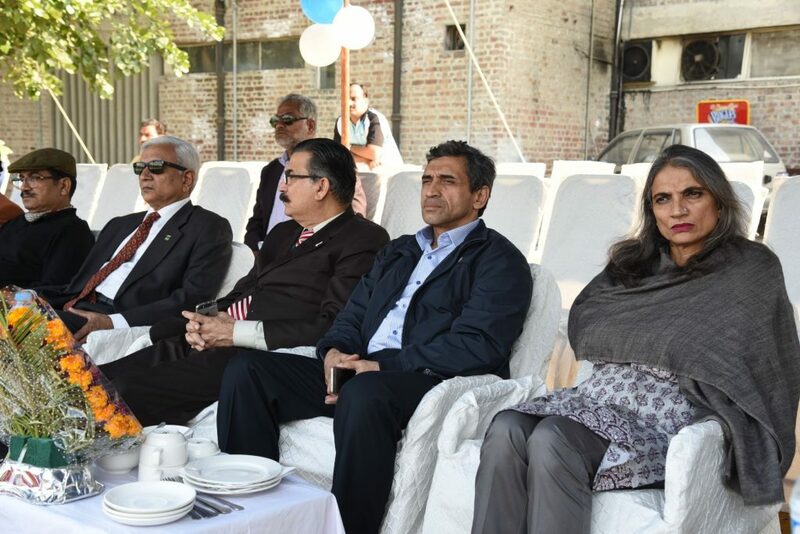 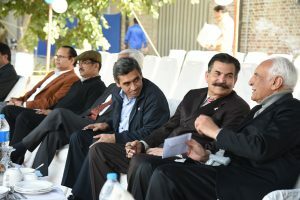 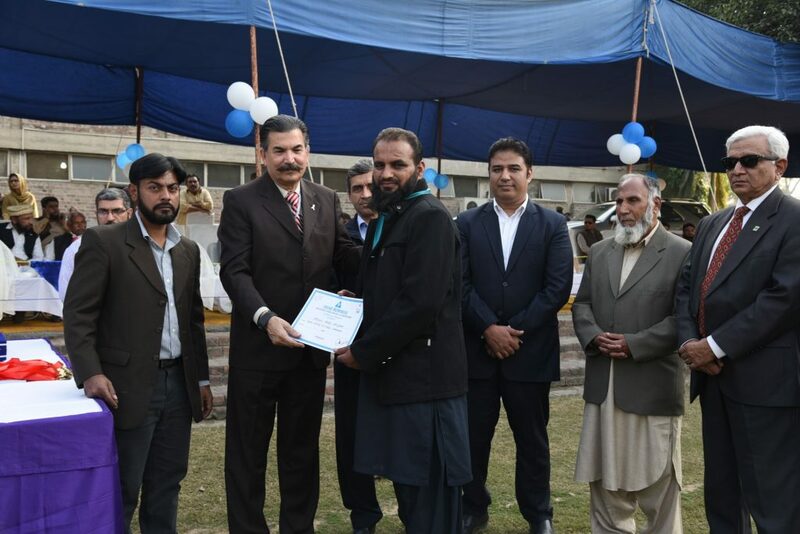 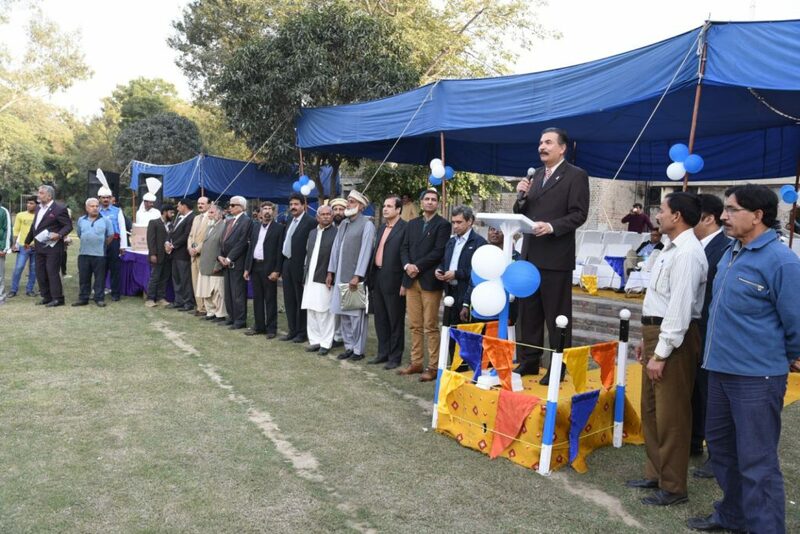 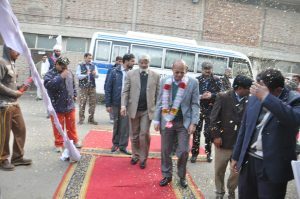 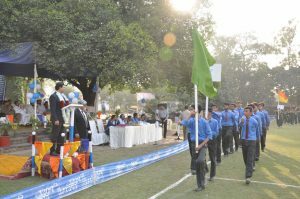 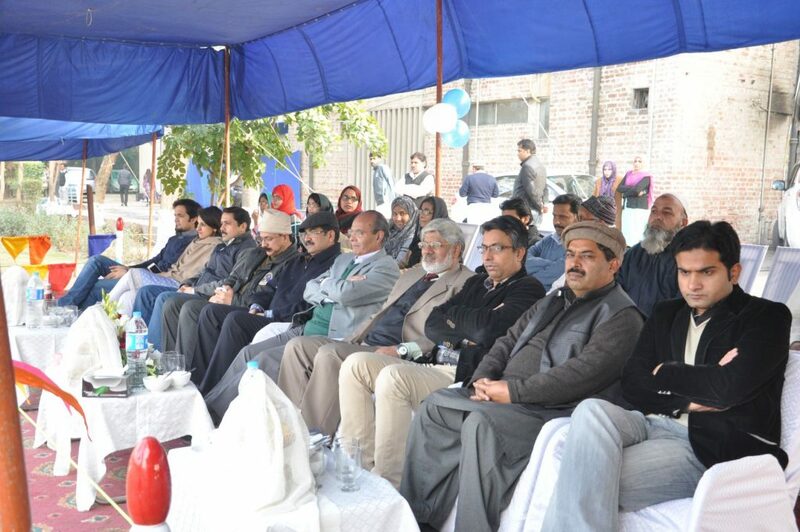 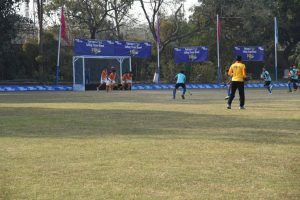 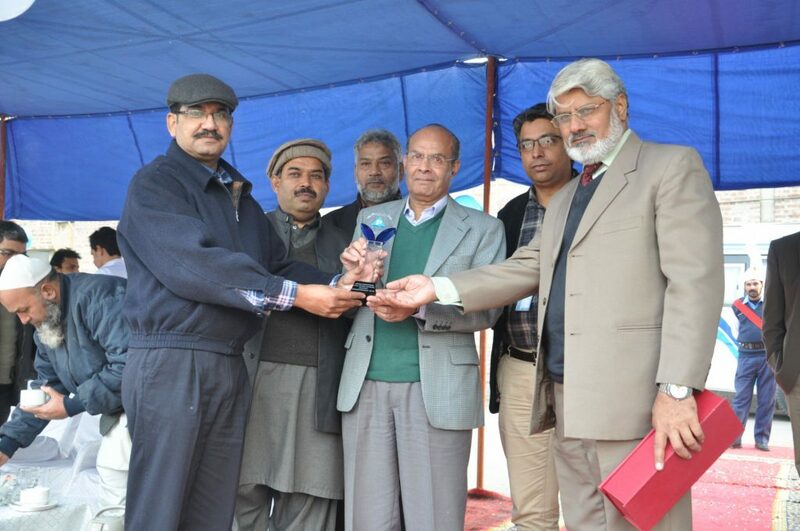 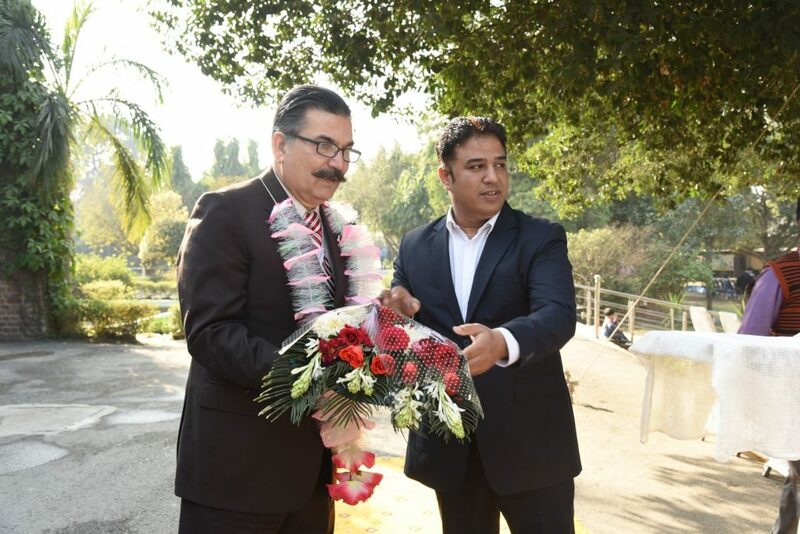 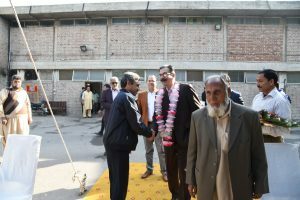 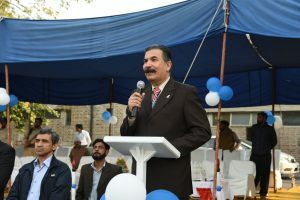 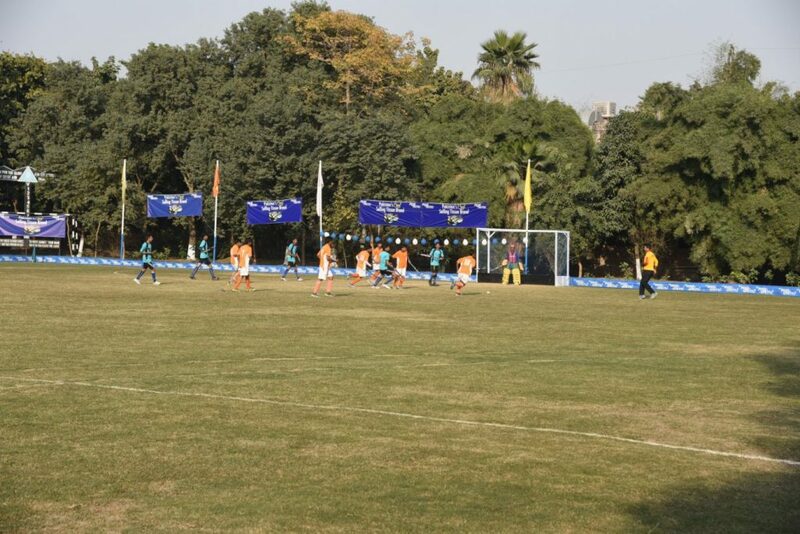 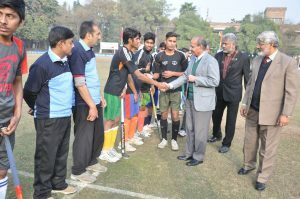 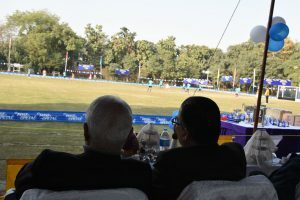 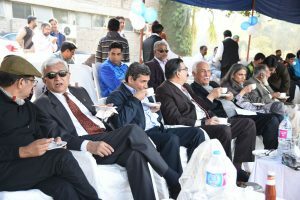 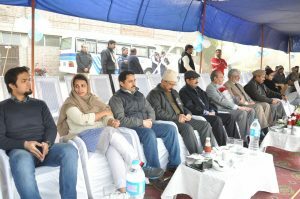 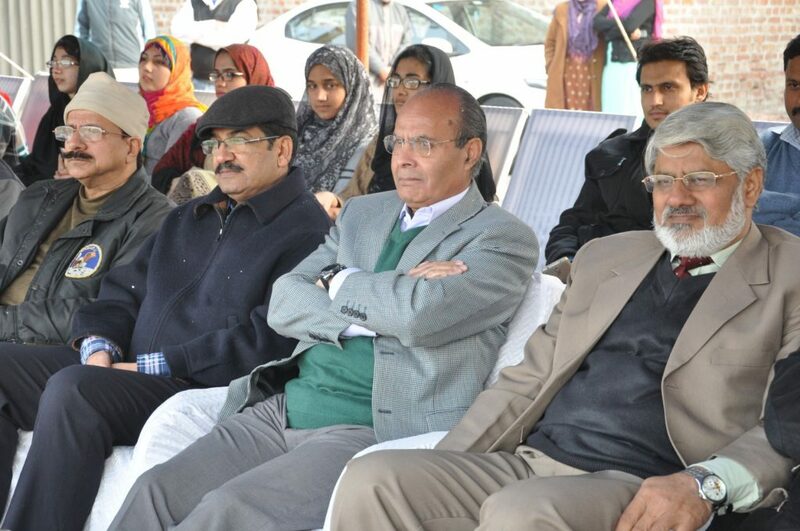 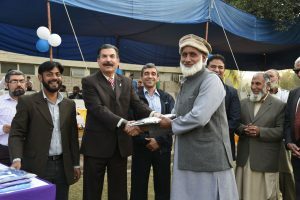 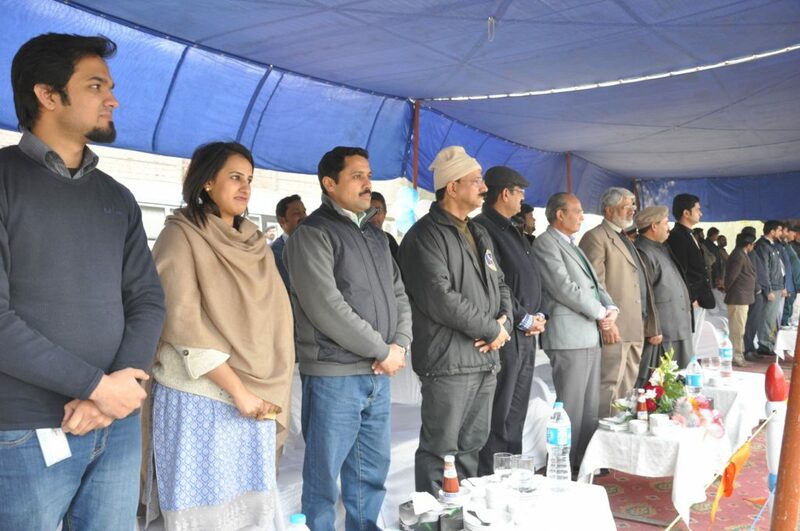 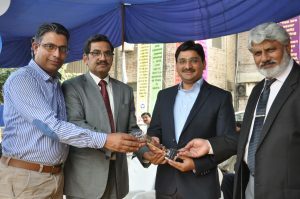 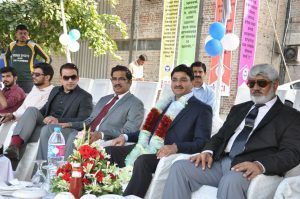 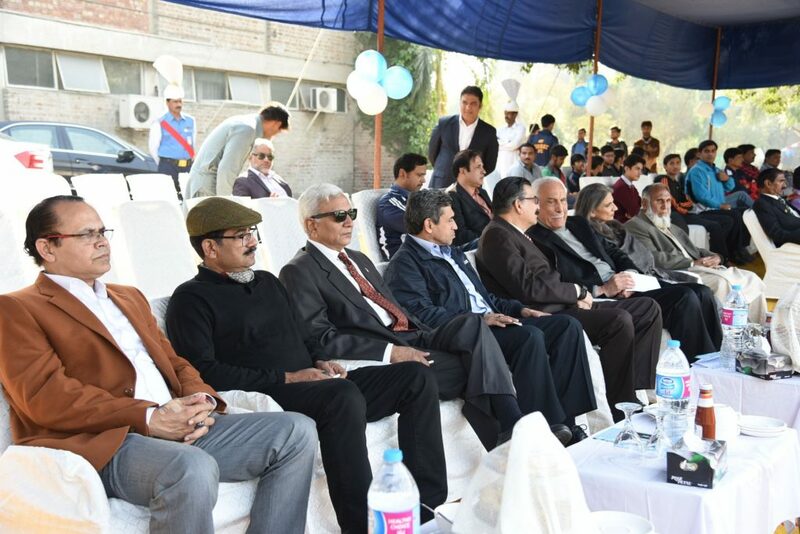 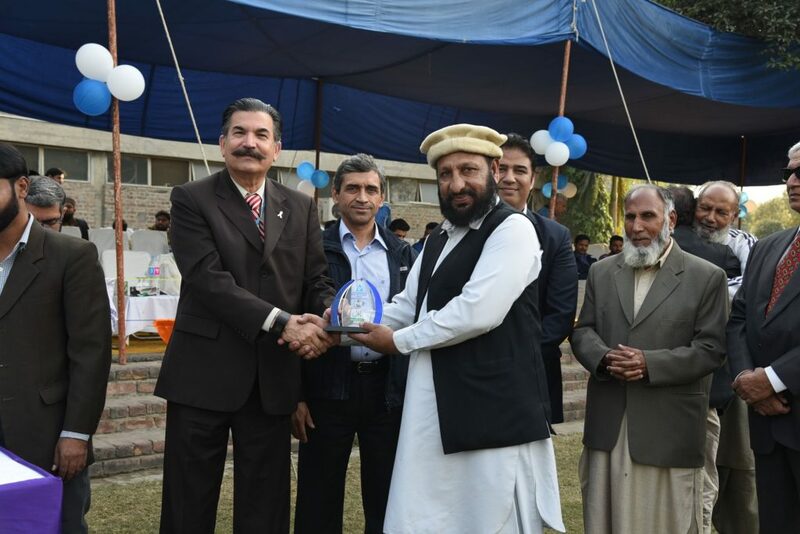 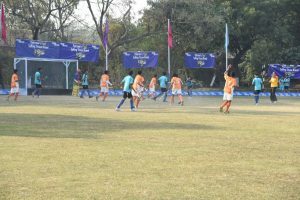 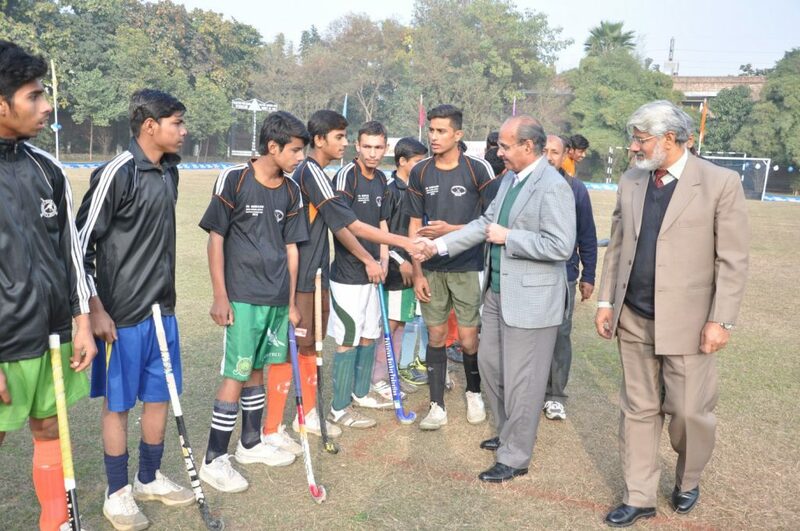 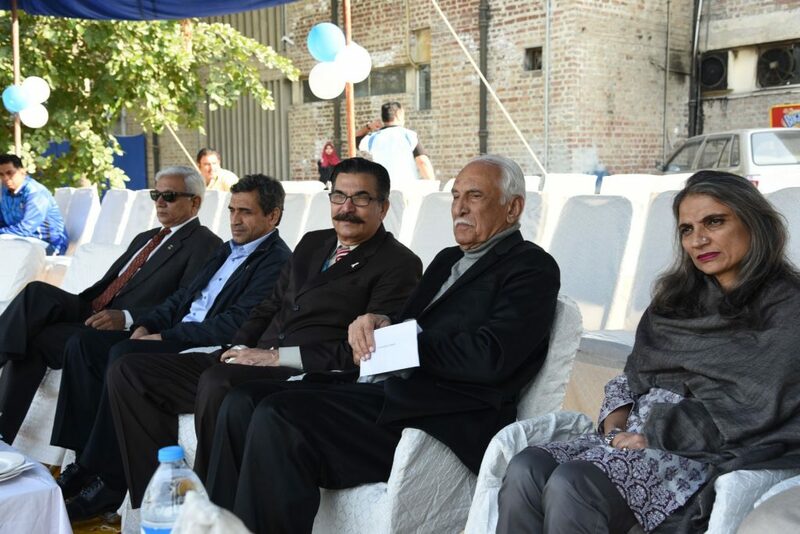 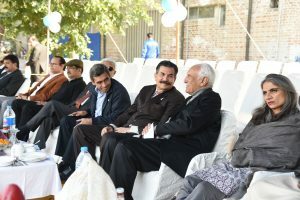 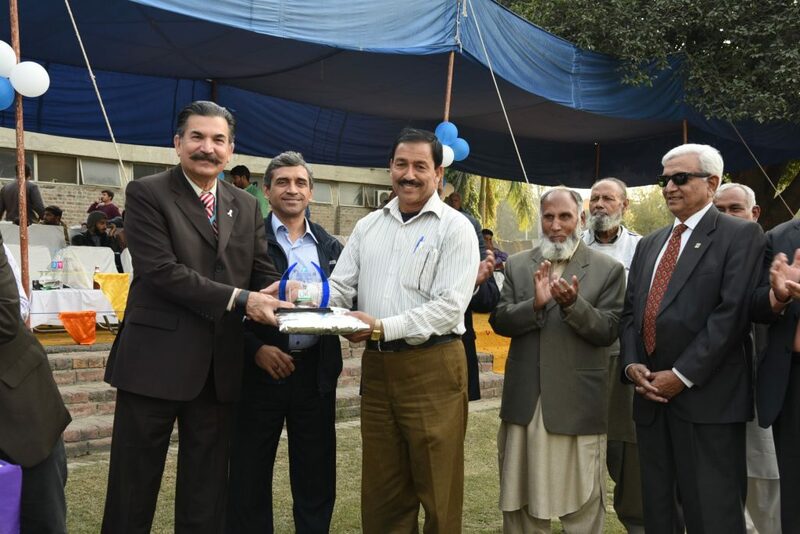 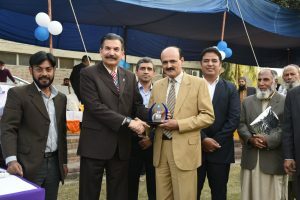 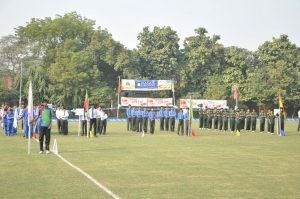 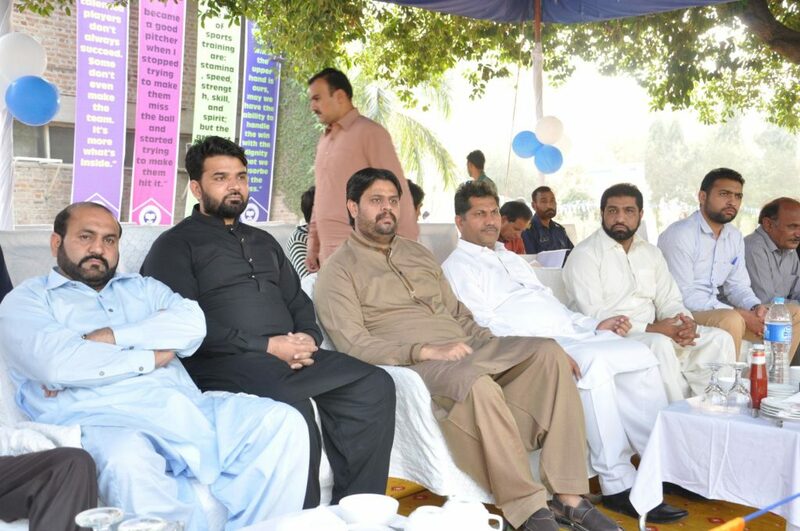 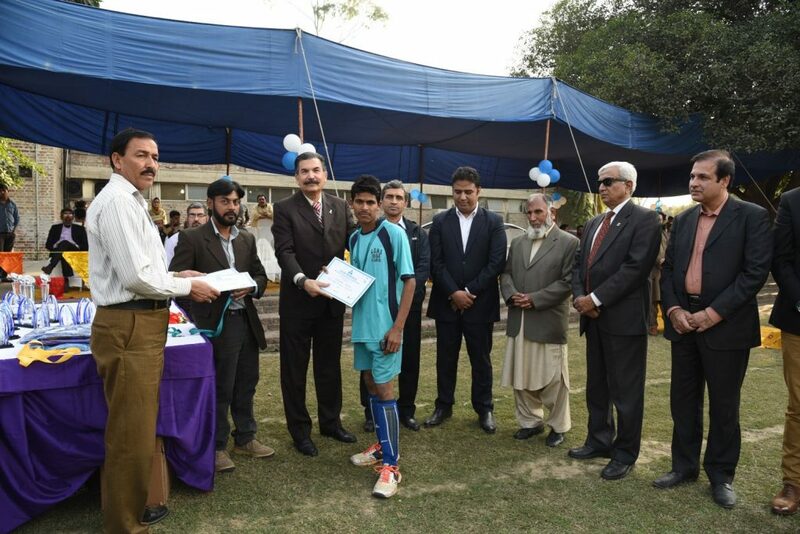 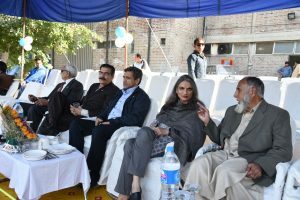 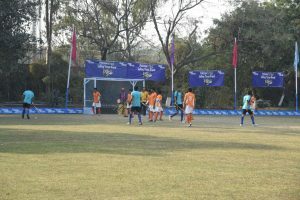 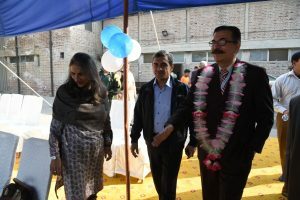 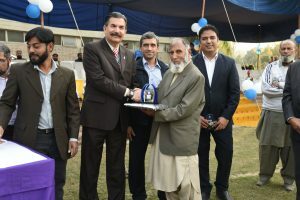 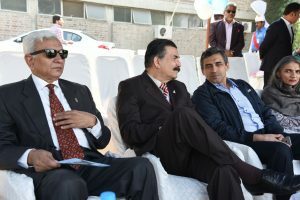 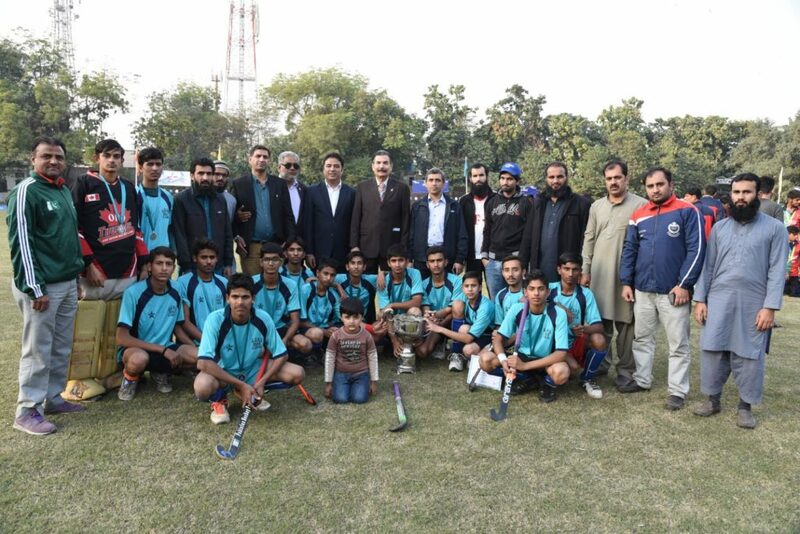 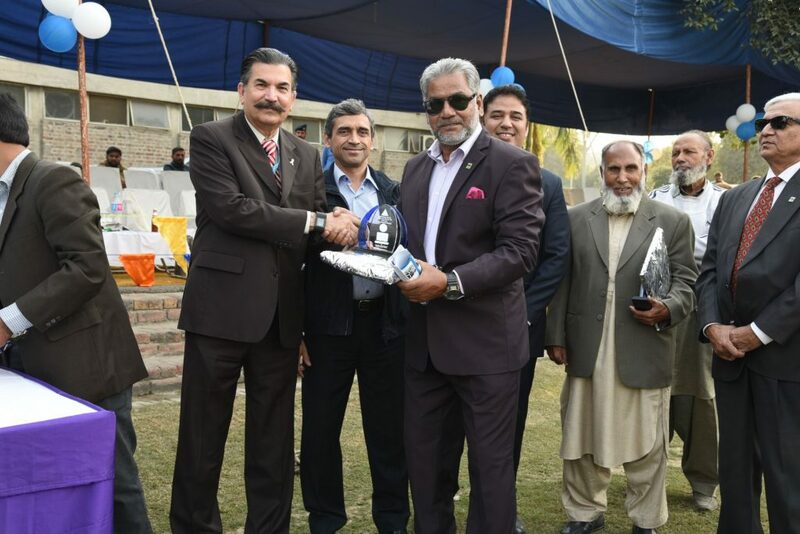 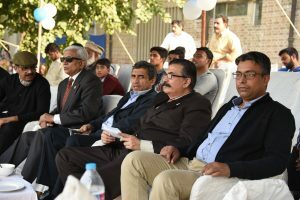 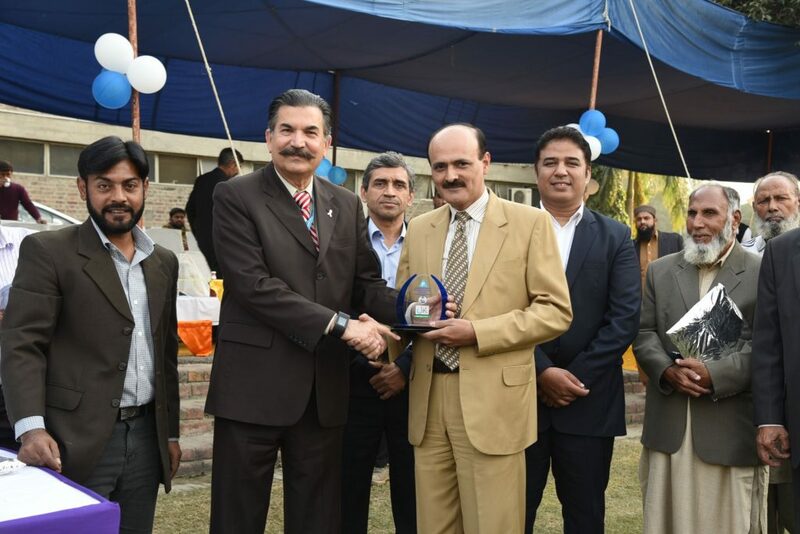 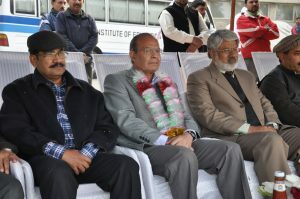 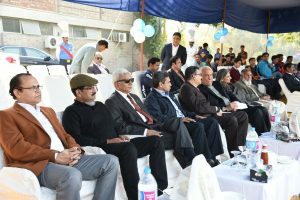 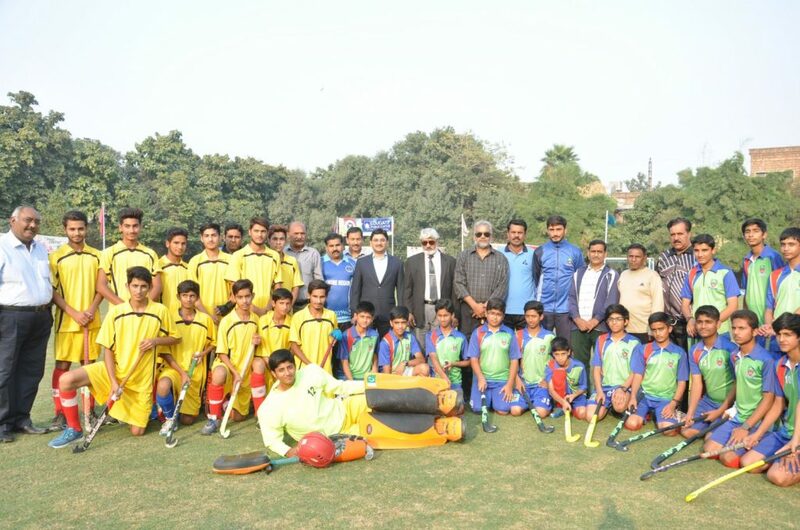 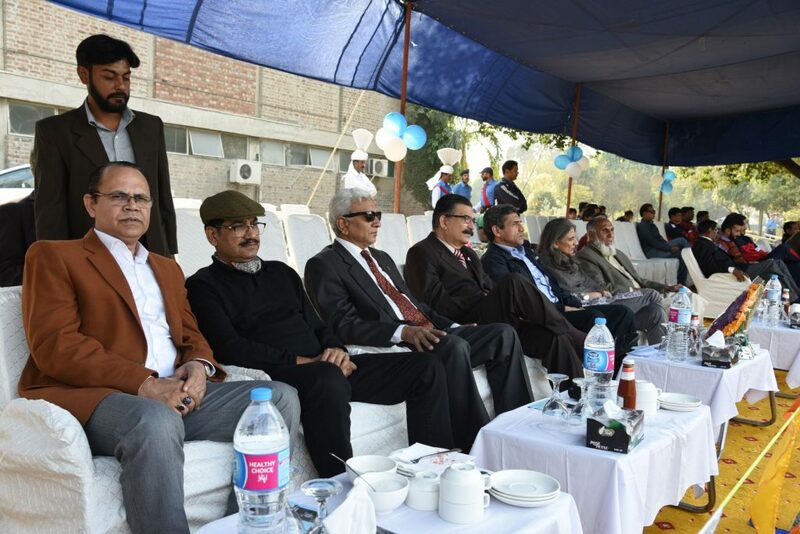 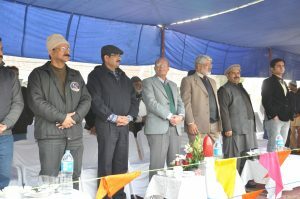 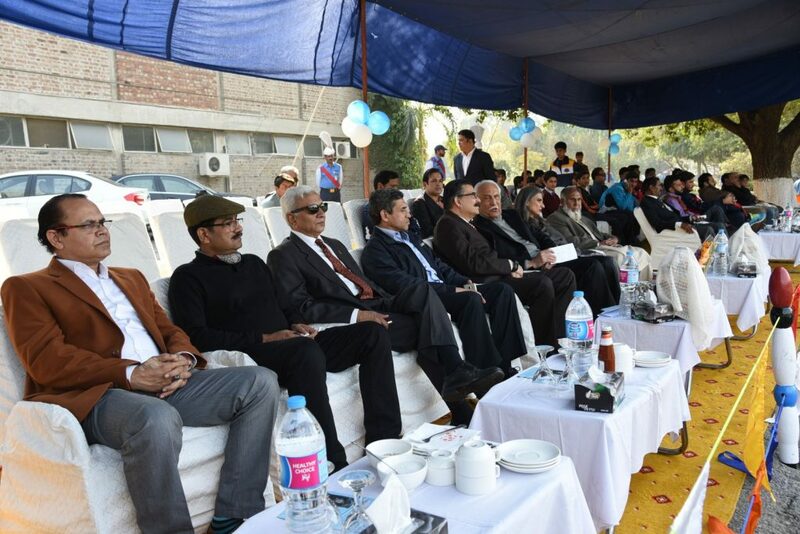 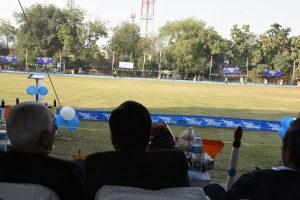 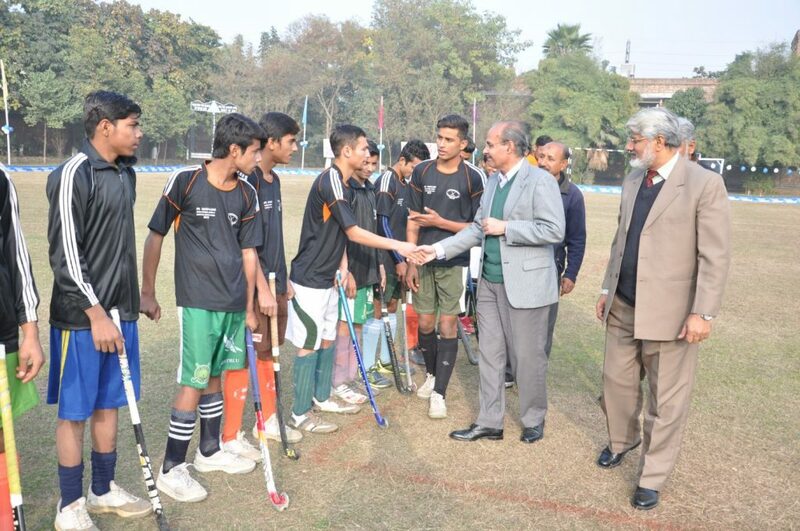 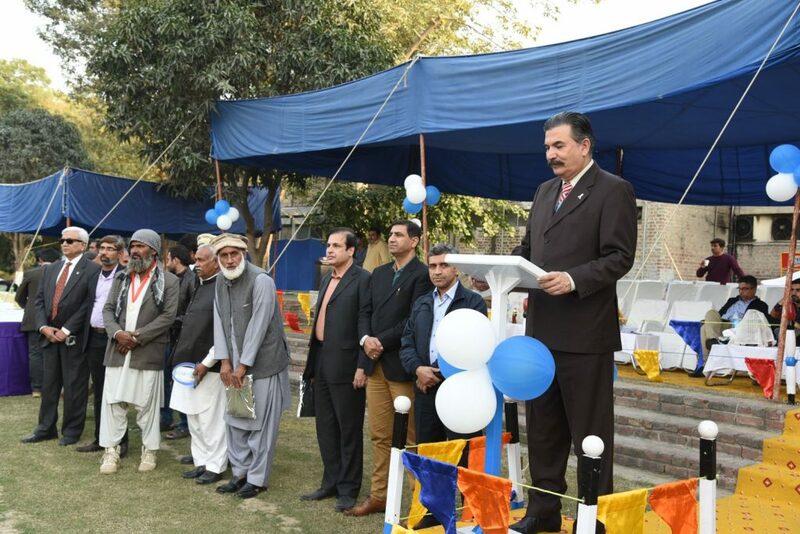 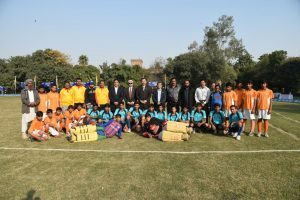 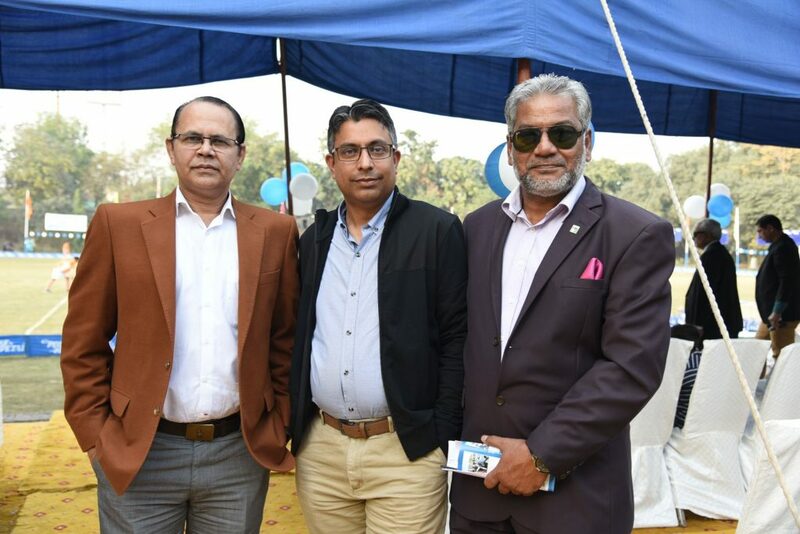 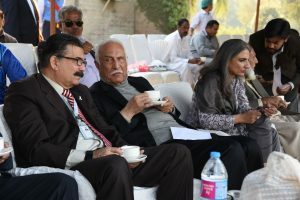 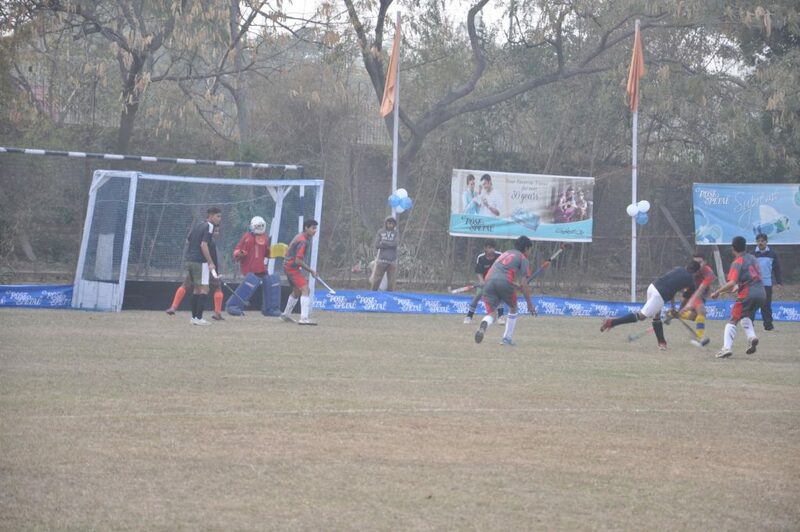 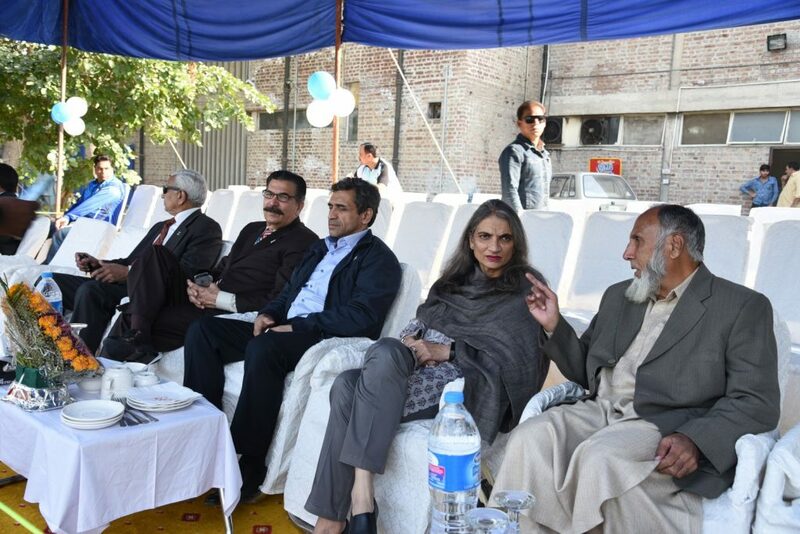 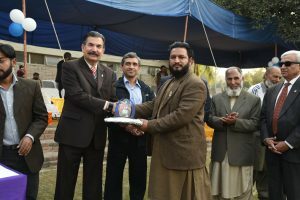 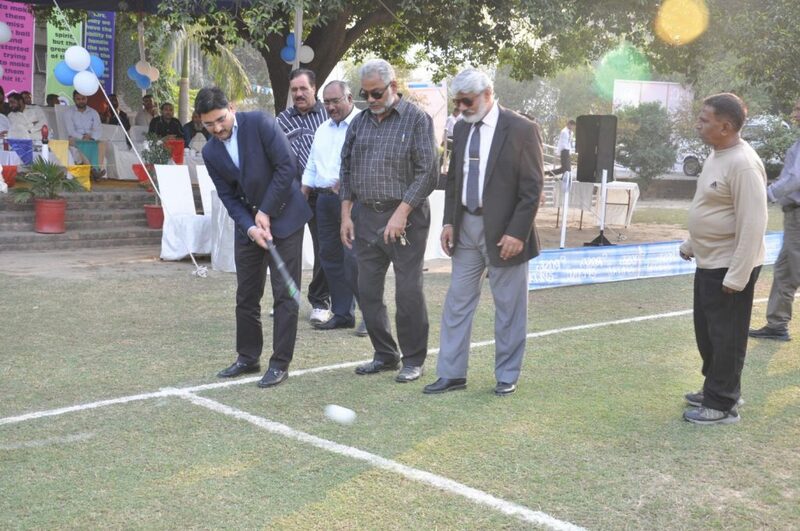 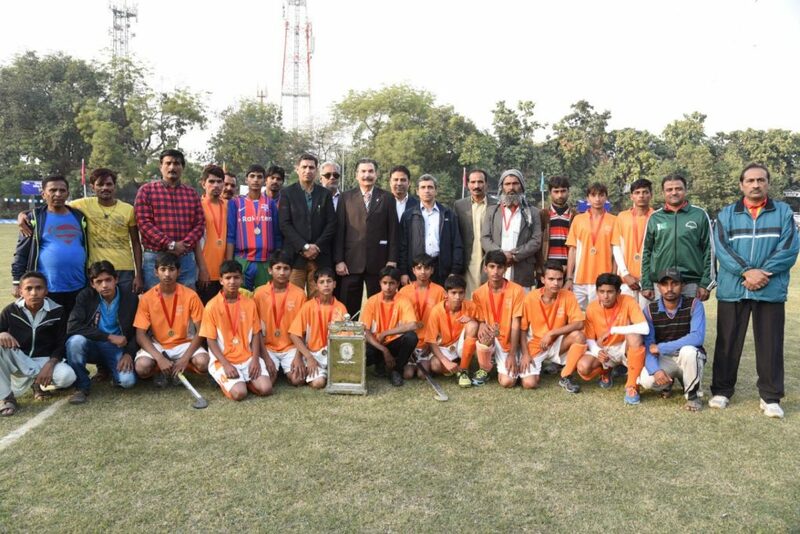 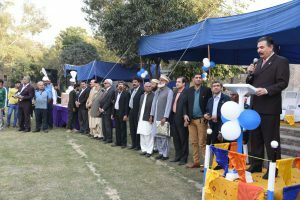 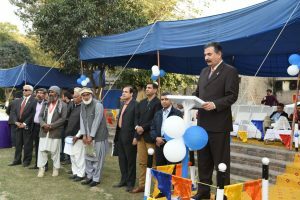 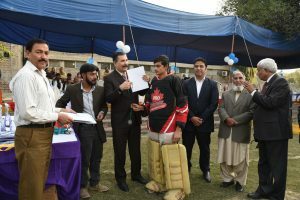 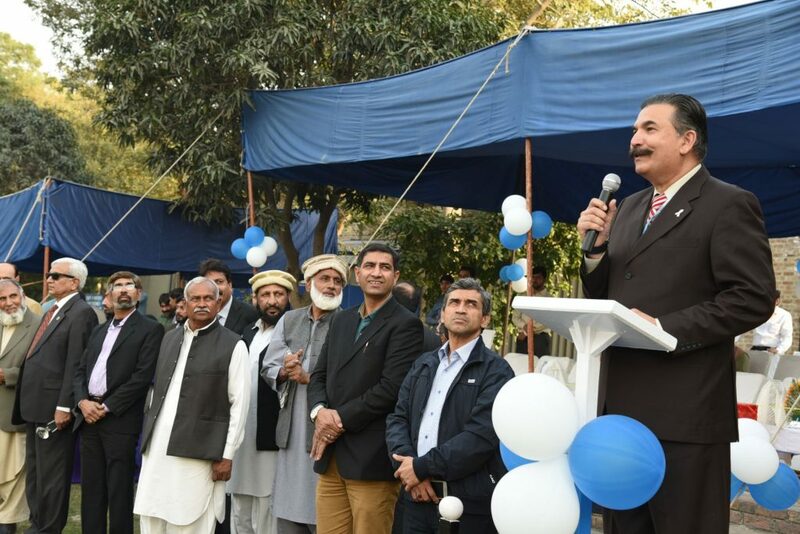 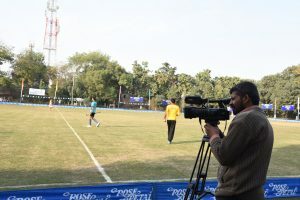 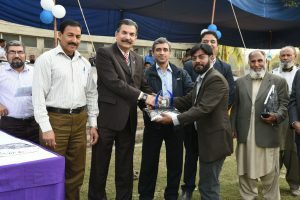 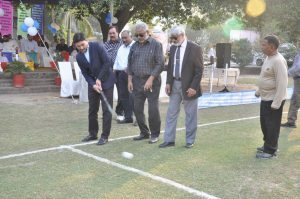 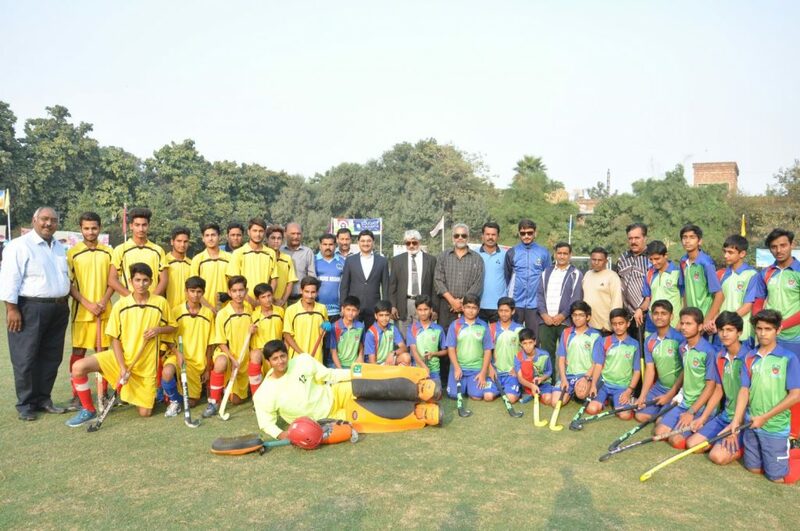 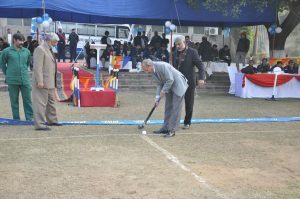 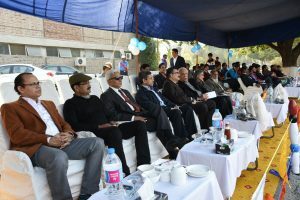 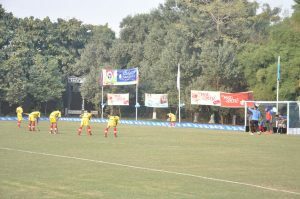 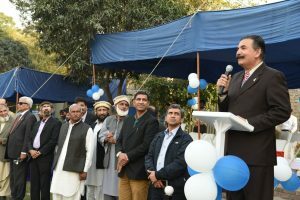 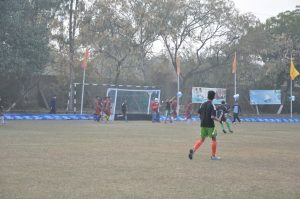 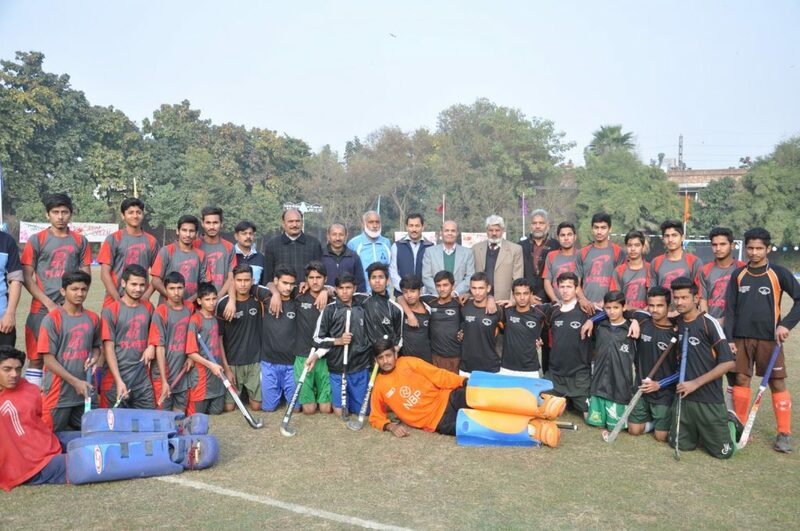 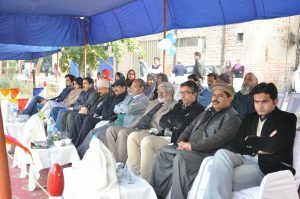 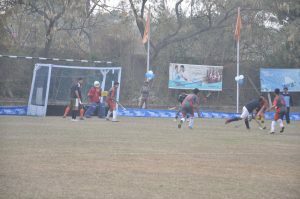 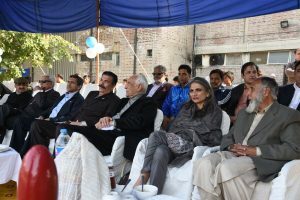 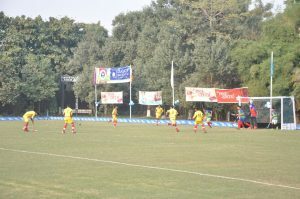 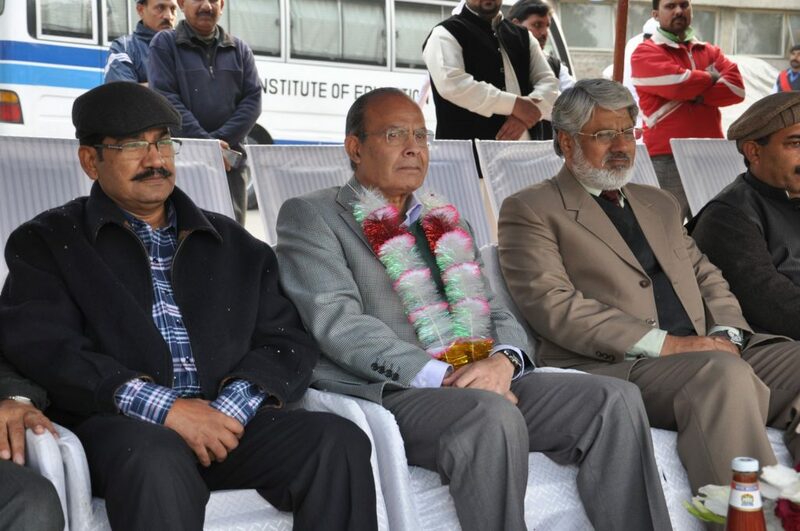 Jafar Memorial Hockey Ground was made with the pavilion in less than 3 years which was looked after by the committee comprising of Mian Ghiasuddin, Syed Inayat Ali Shah and Syed Zulfiqar Ali who had complete support from Mr. C.H. 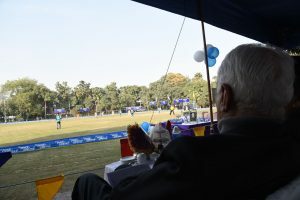 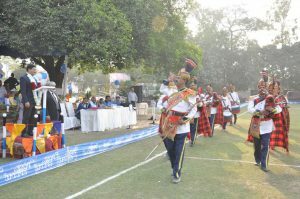 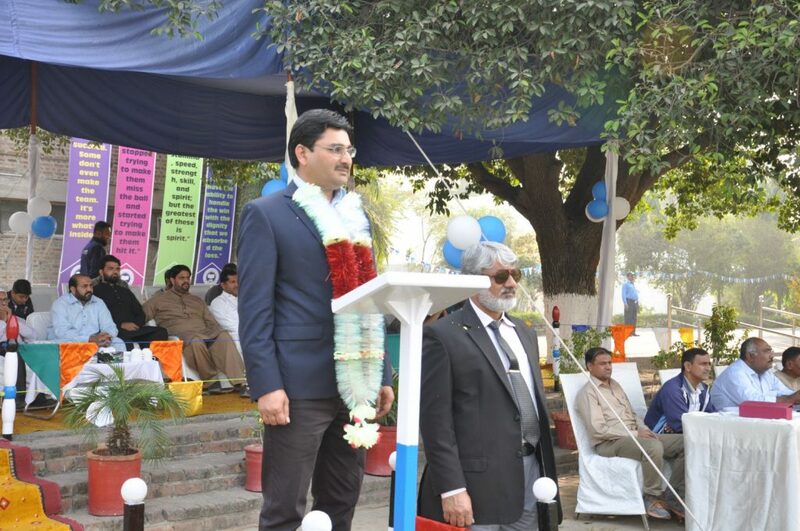 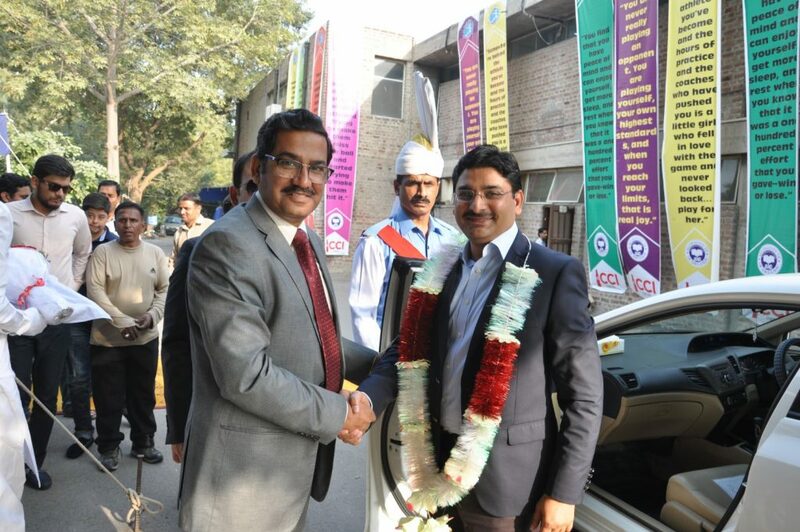 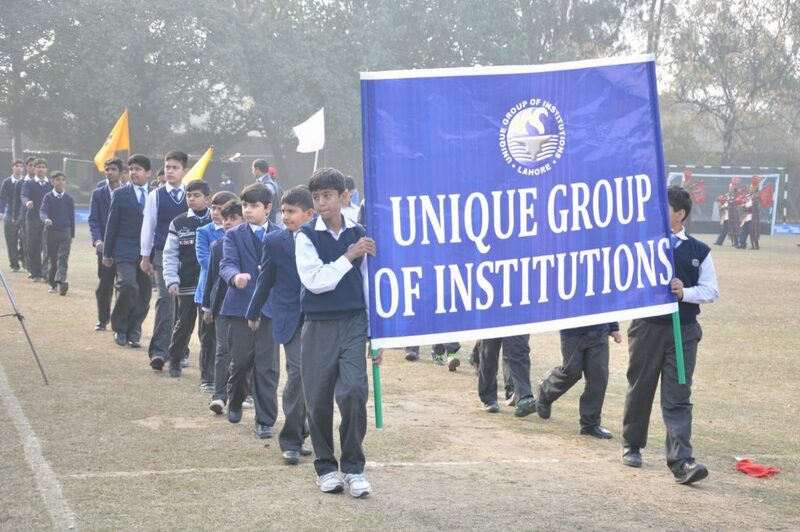 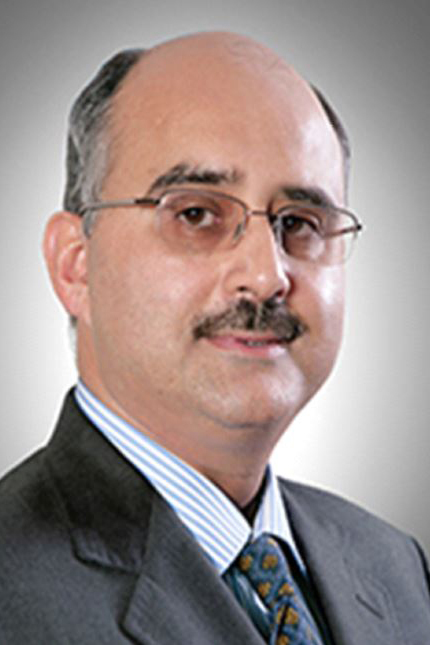 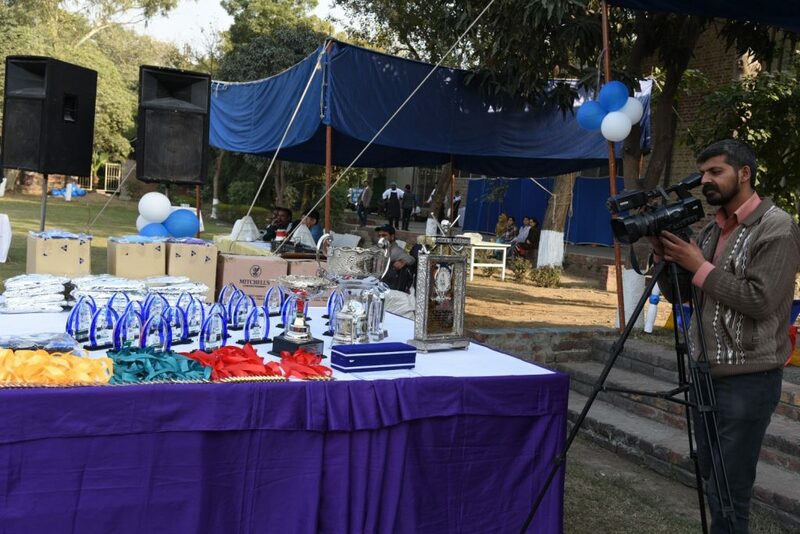 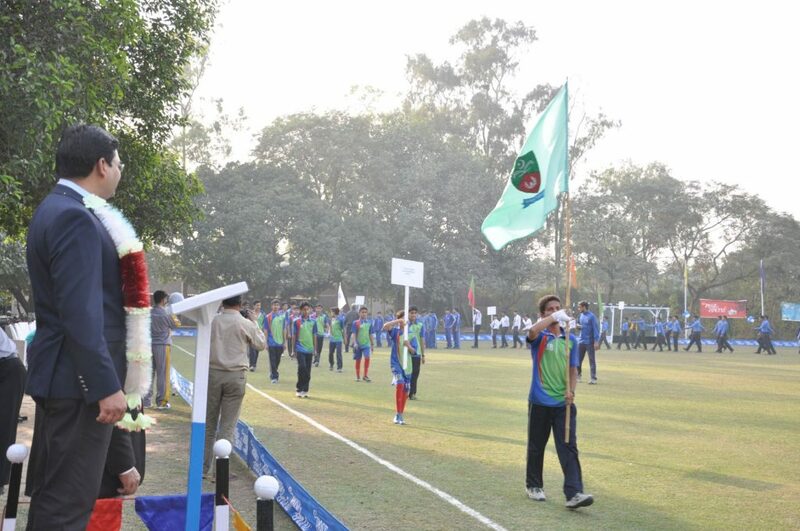 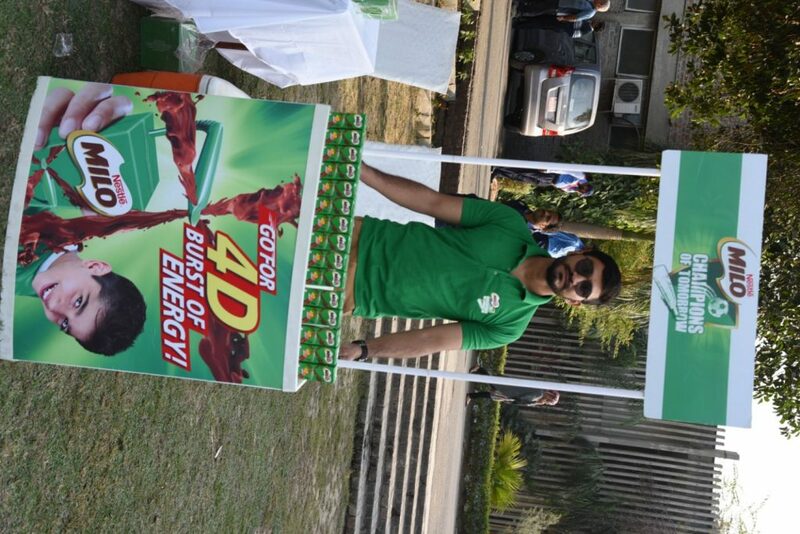 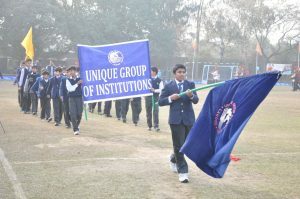 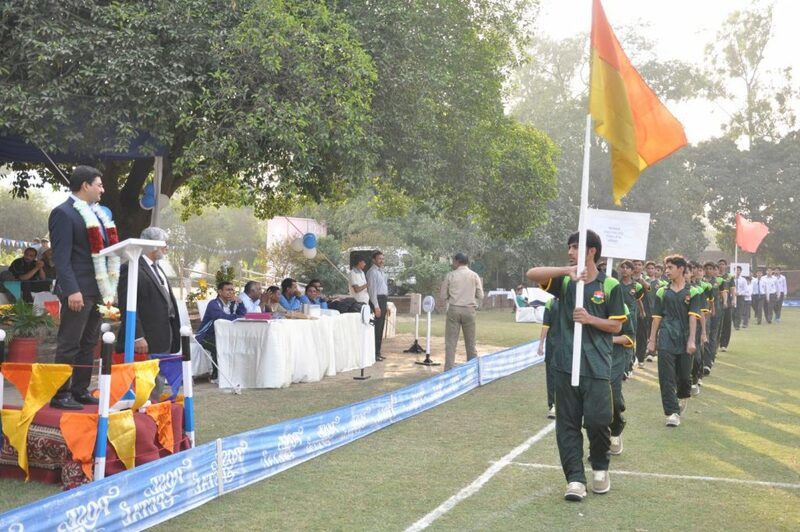 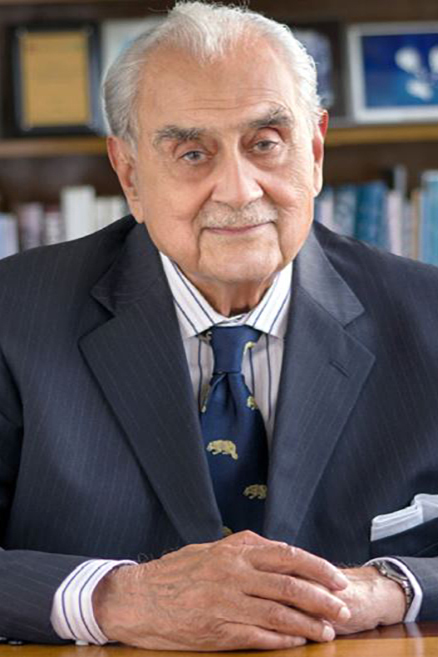 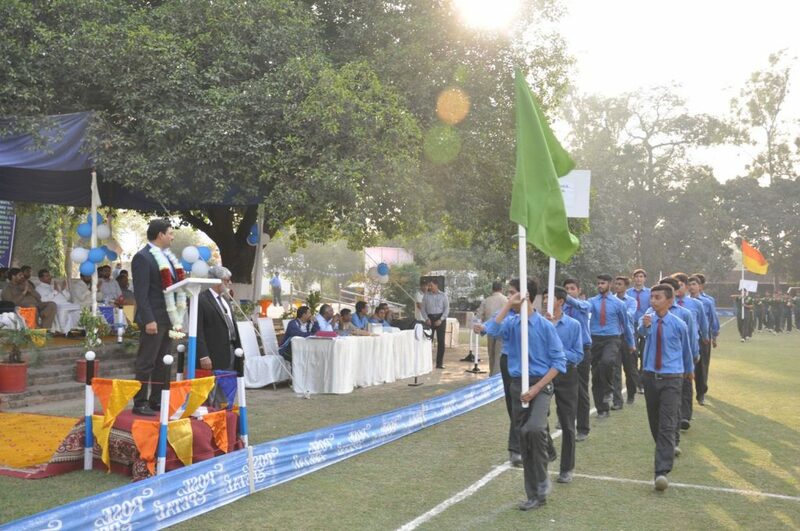 Barry (Principal of Aitchison). 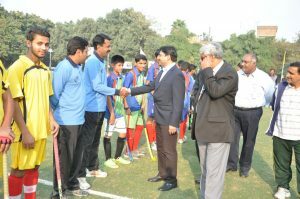 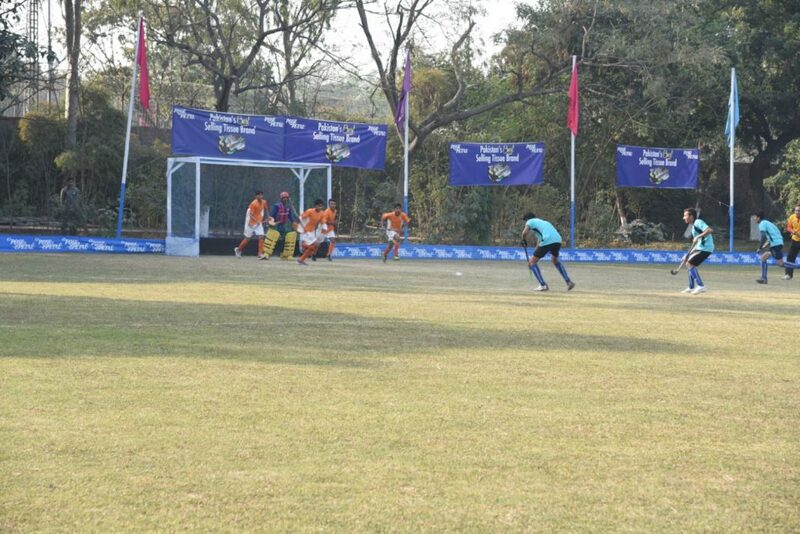 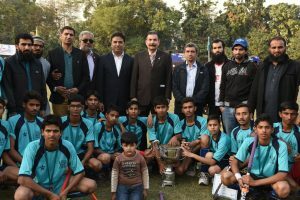 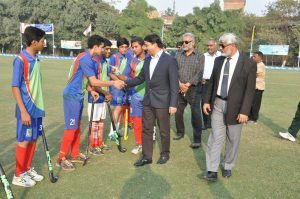 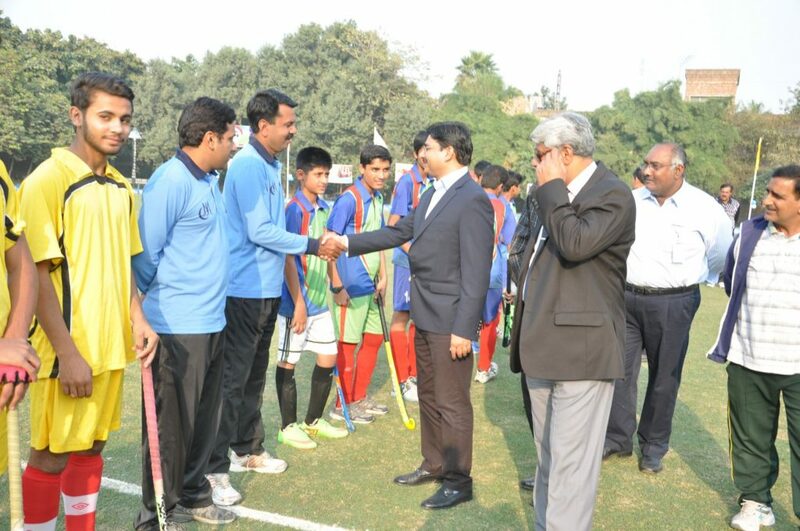 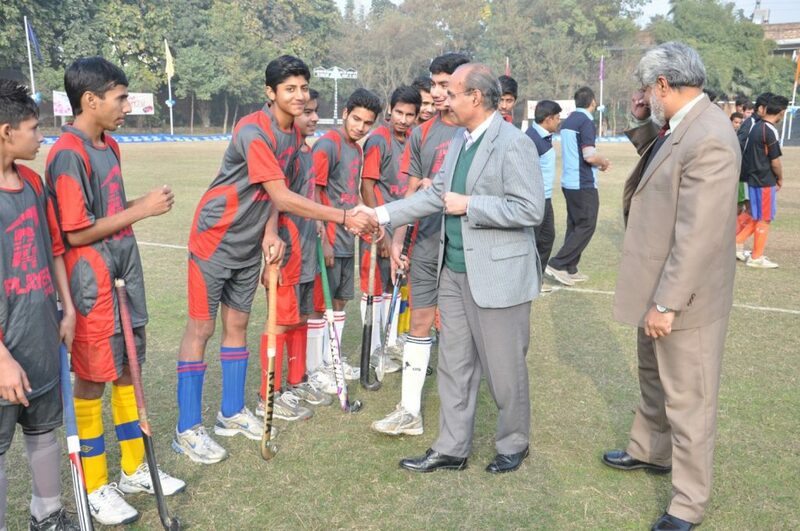 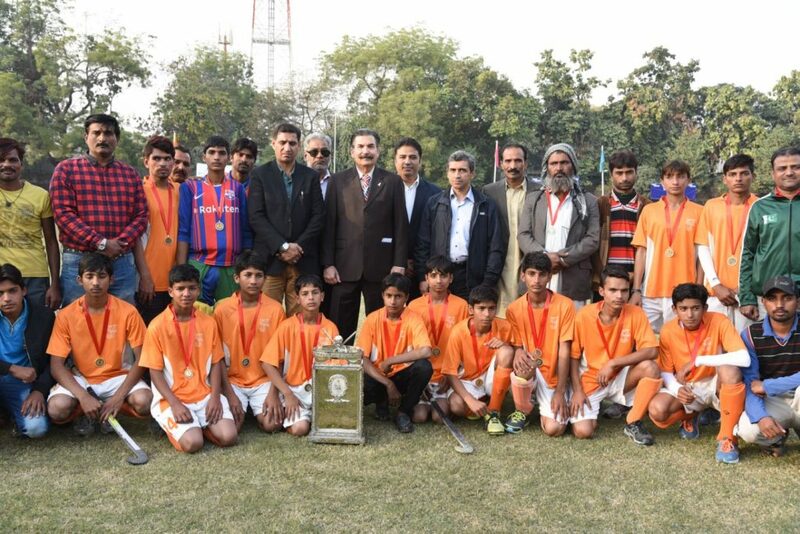 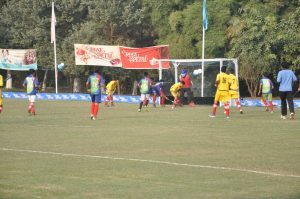 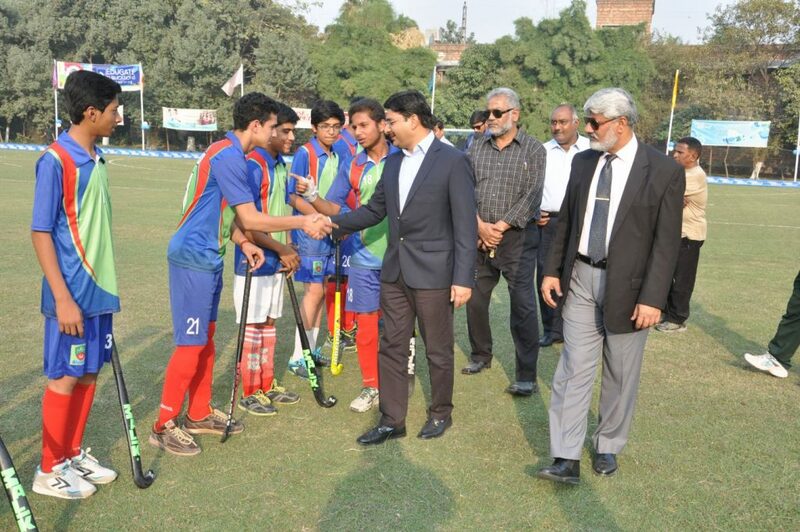 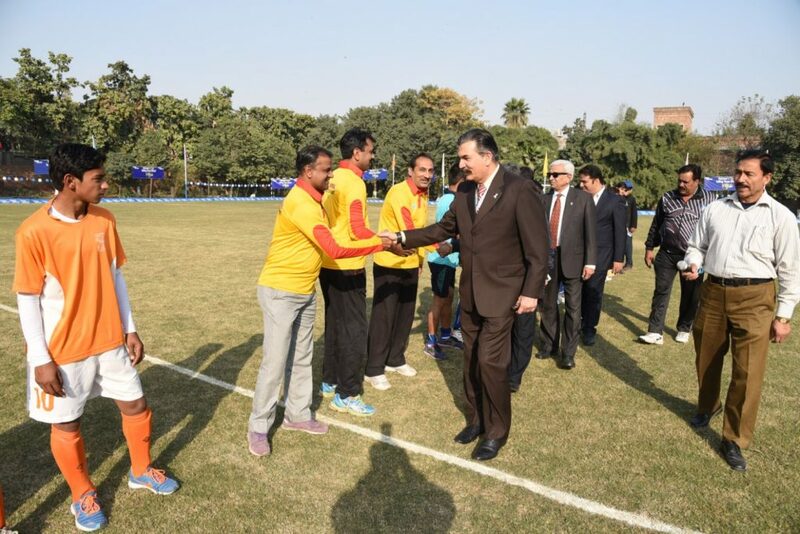 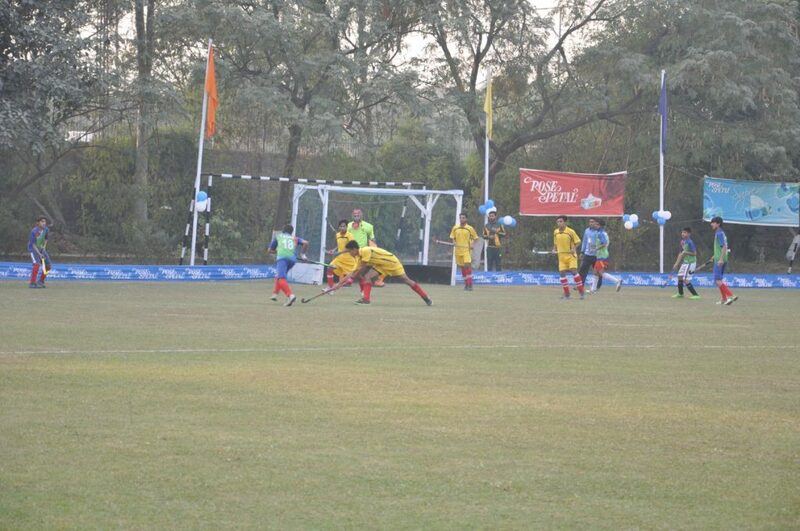 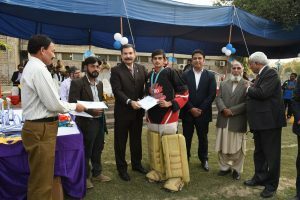 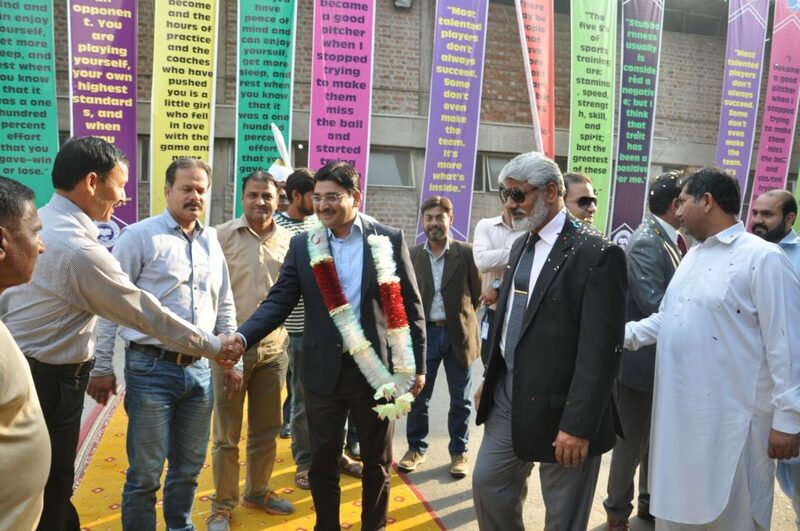 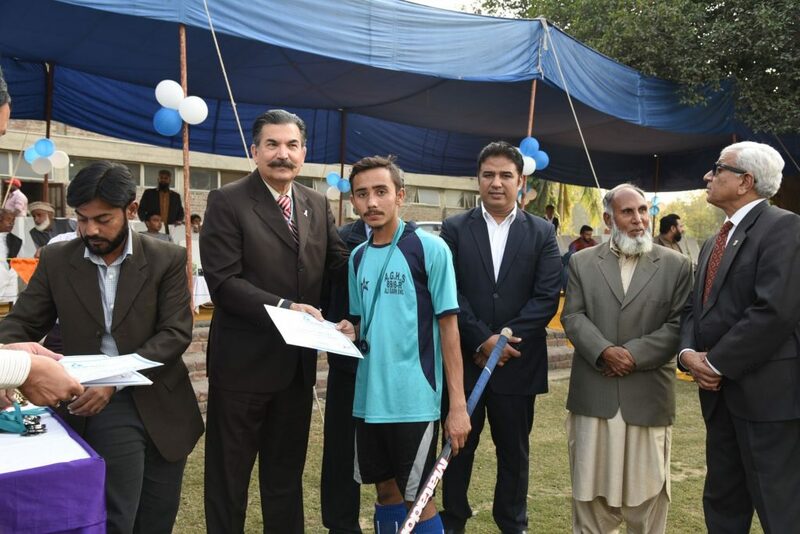 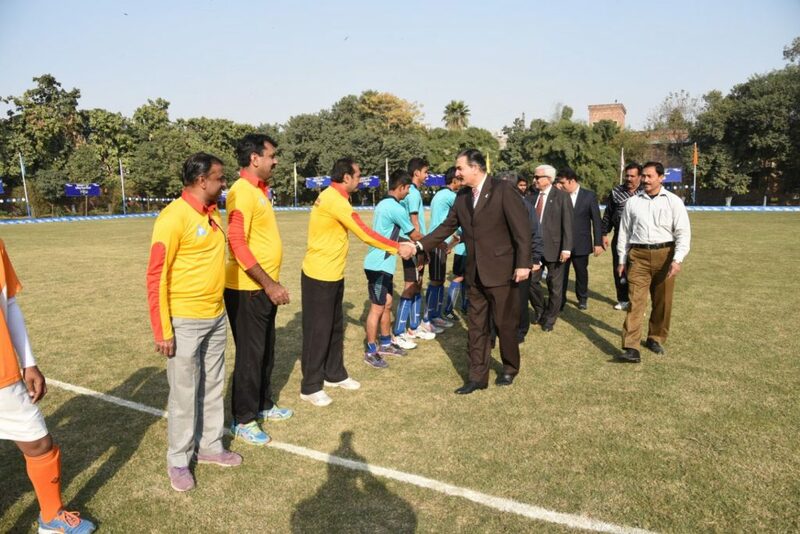 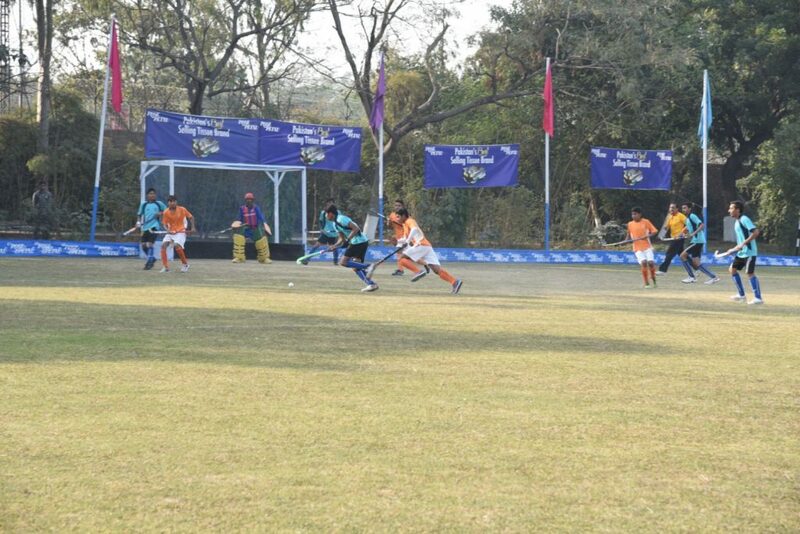 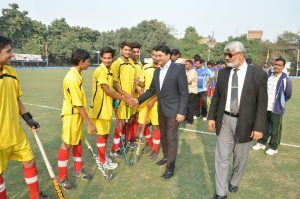 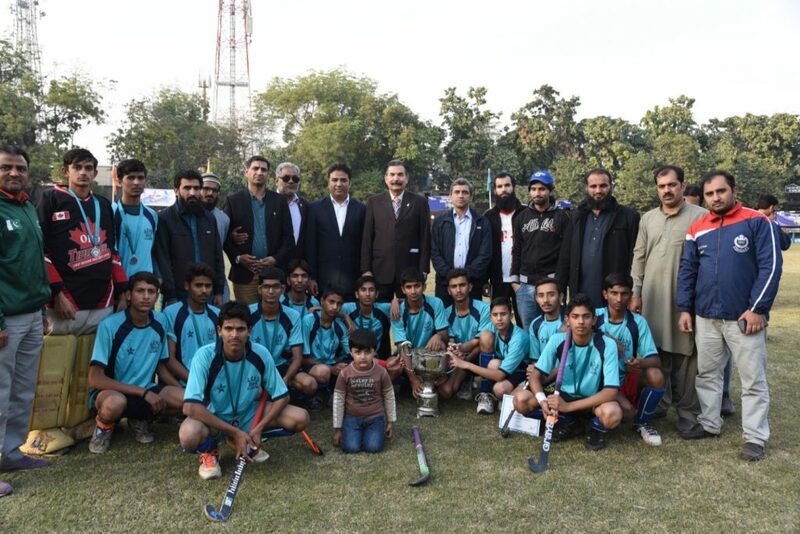 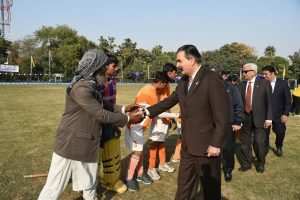 As soon as Jafar Memorial Hockey Ground assumed it’s perfect condition that the first Jafar Memorial Hockey Tournament was inaugurated by Nawab Sir Sadiq Muhammad Khan Abbasi, the Amir of Bahawalpur. 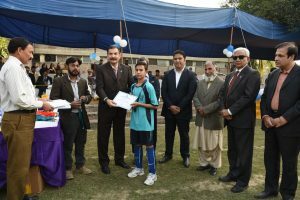 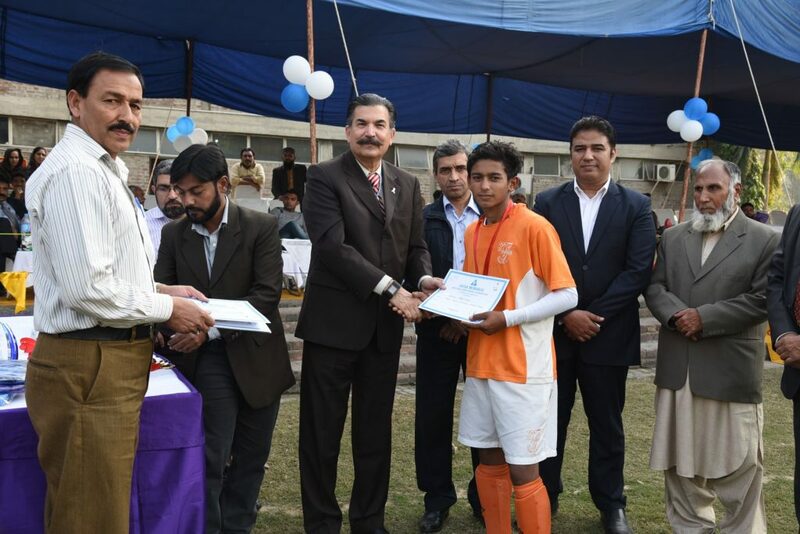 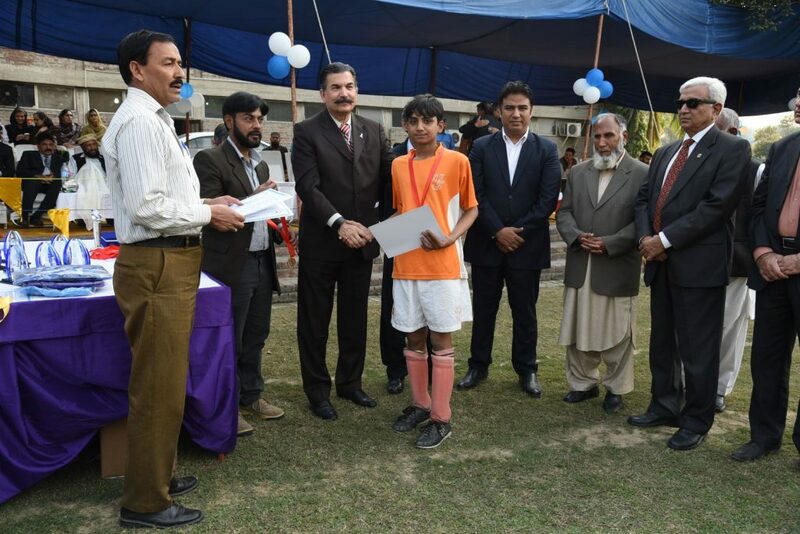 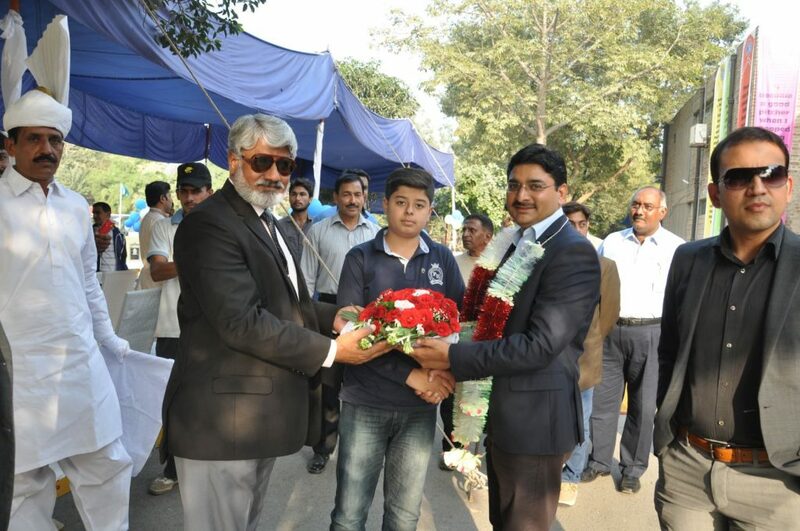 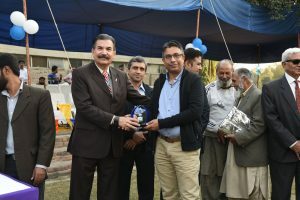 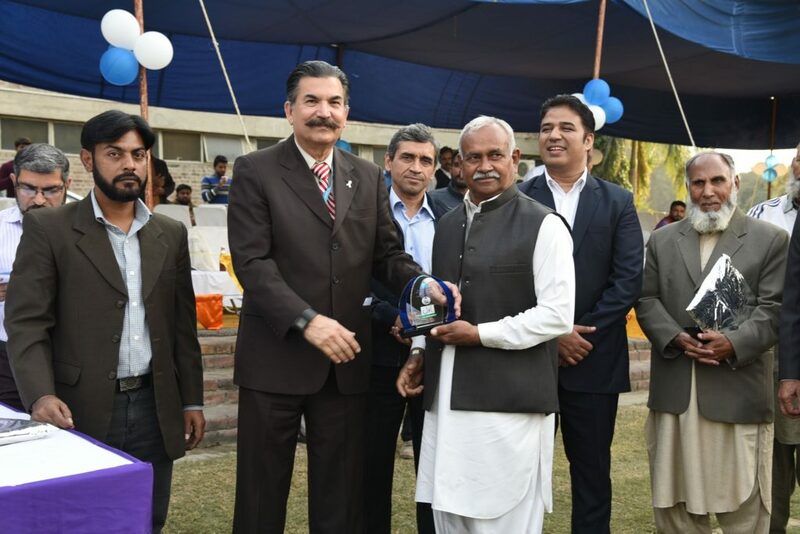 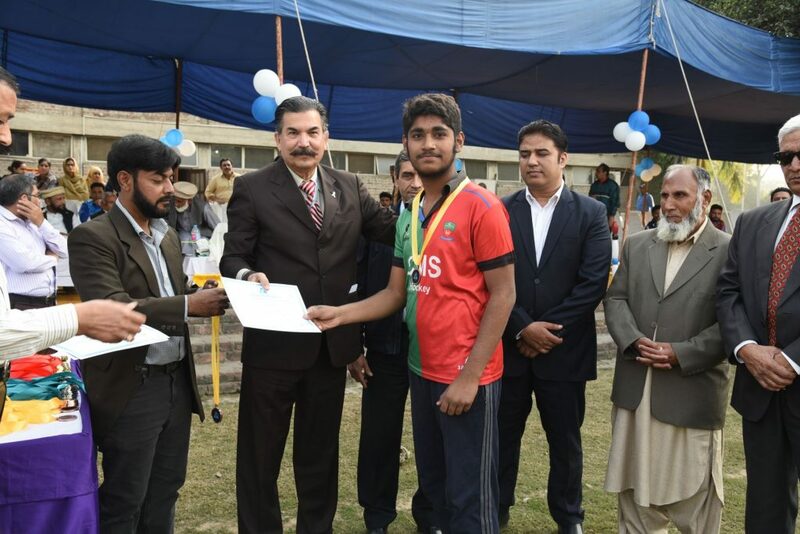 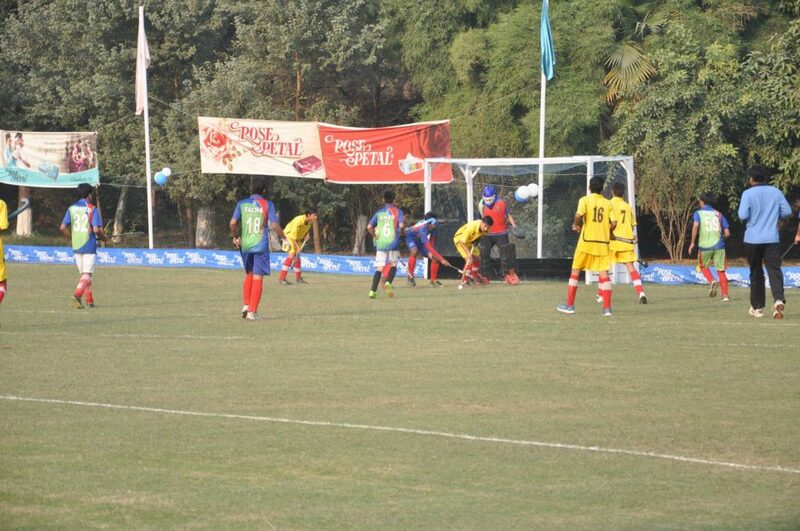 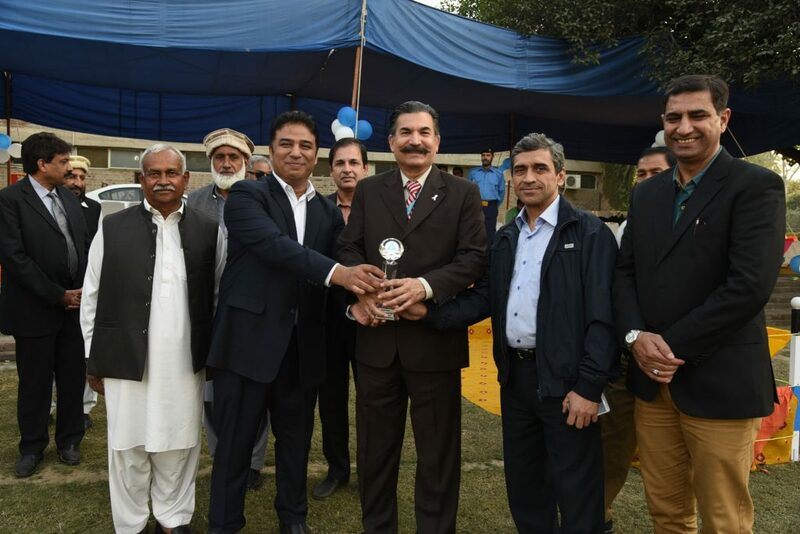 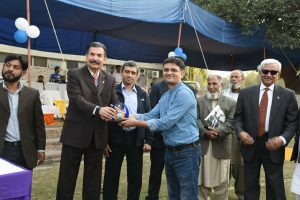 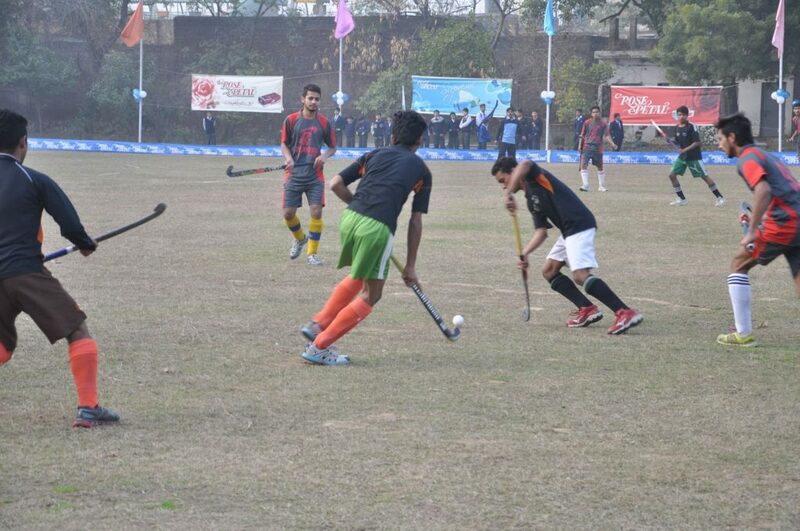 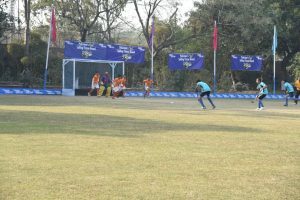 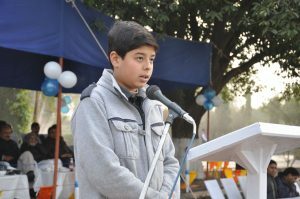 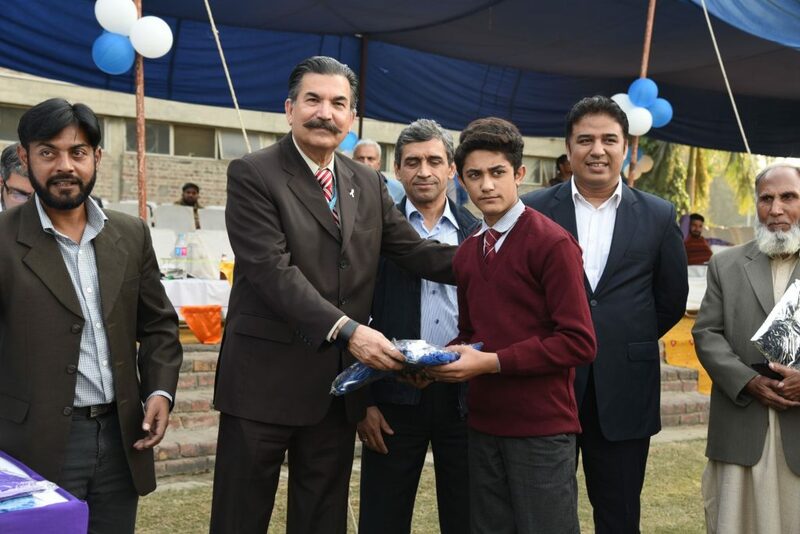 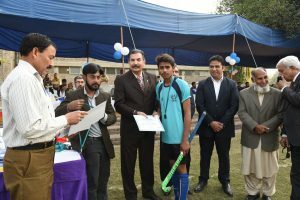 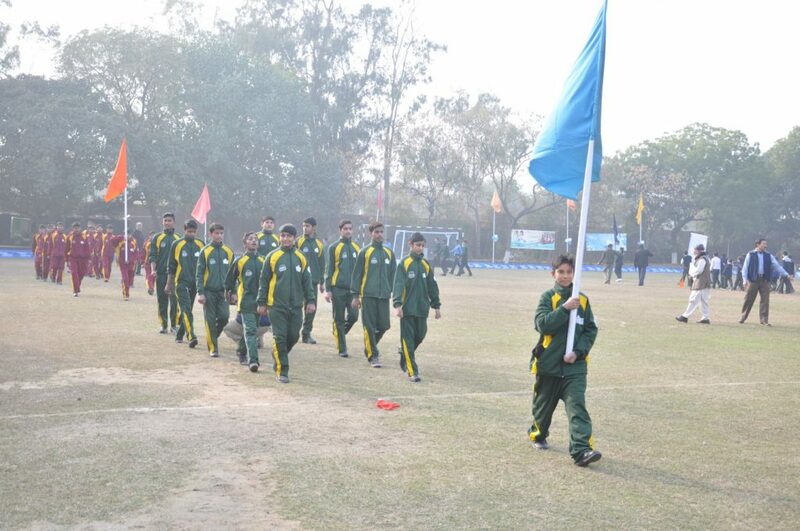 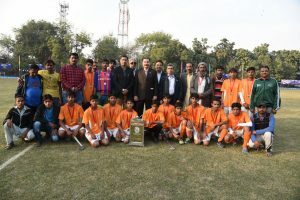 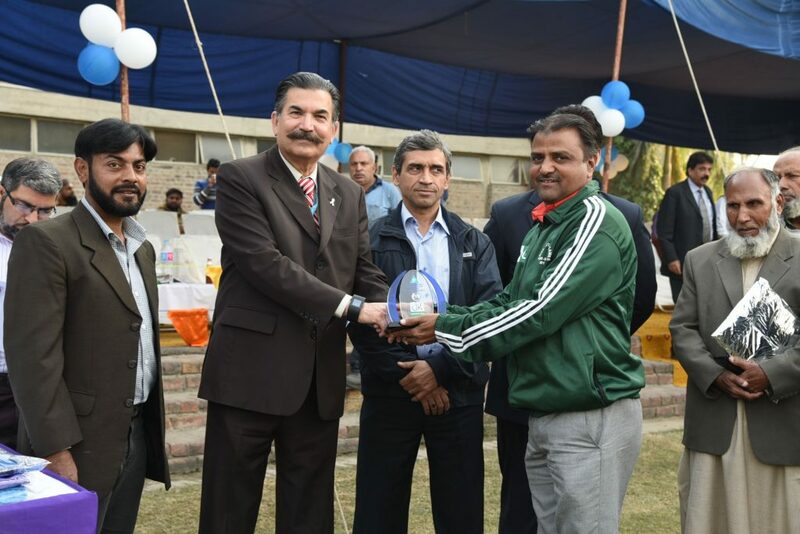 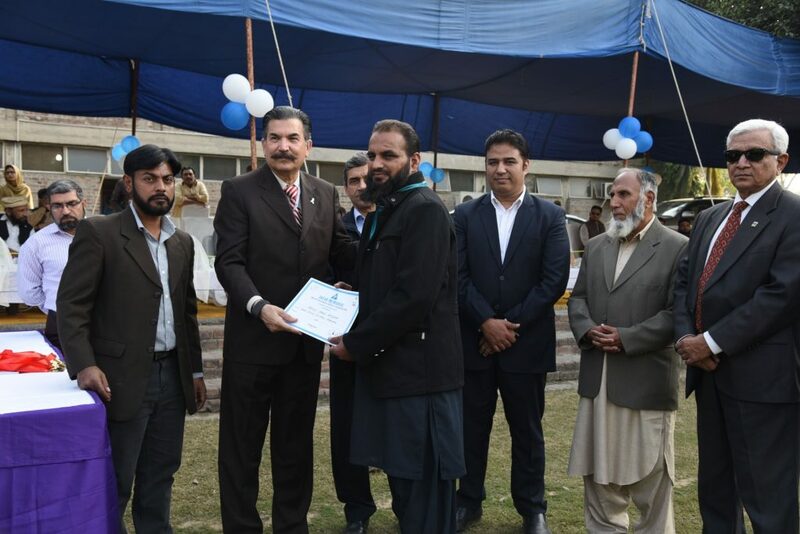 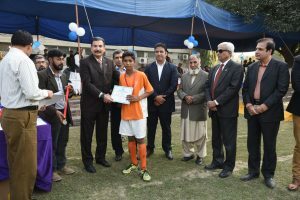 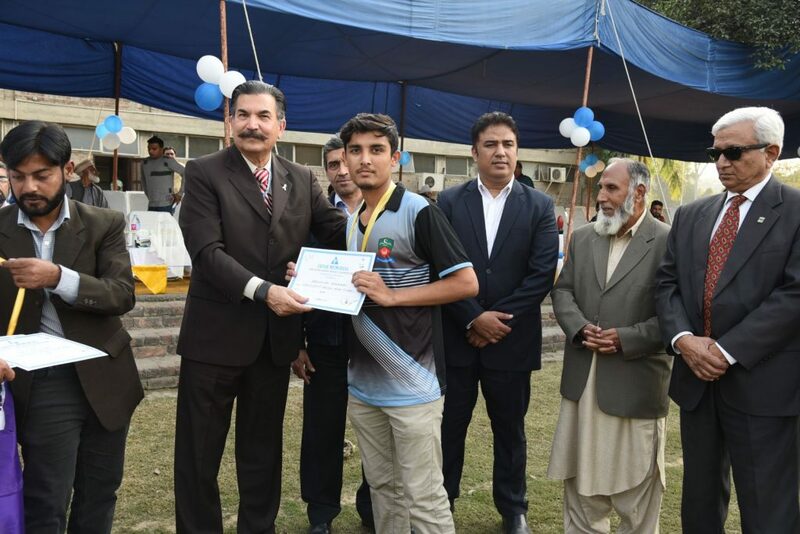 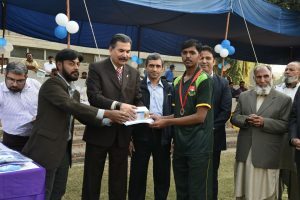 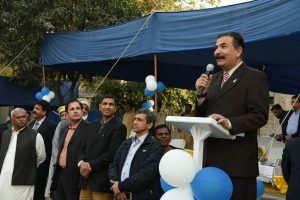 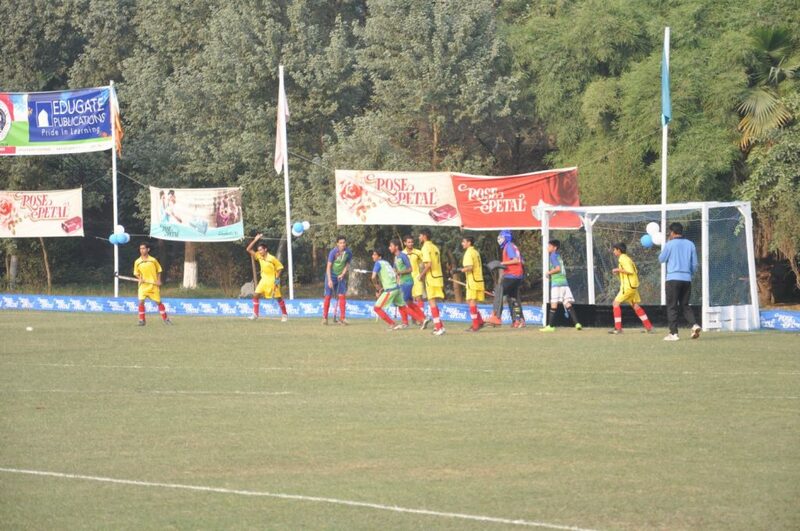 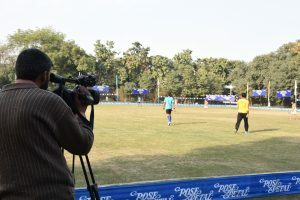 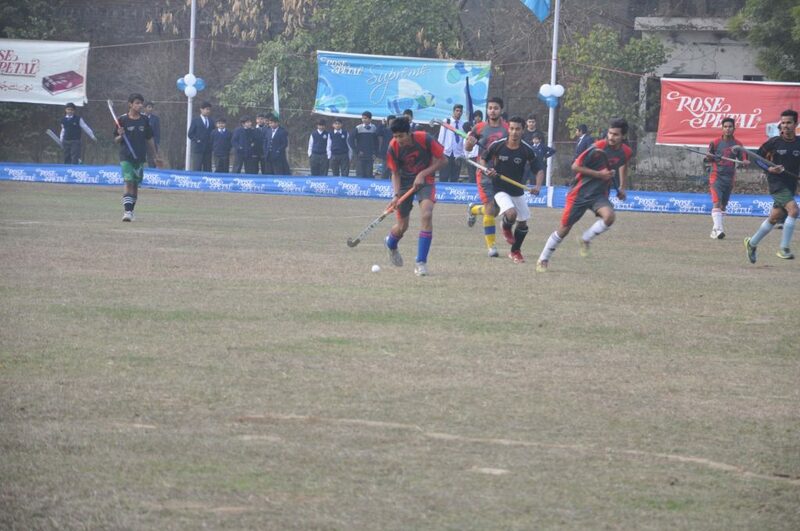 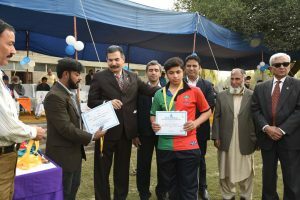 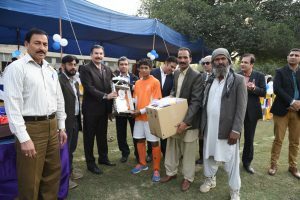 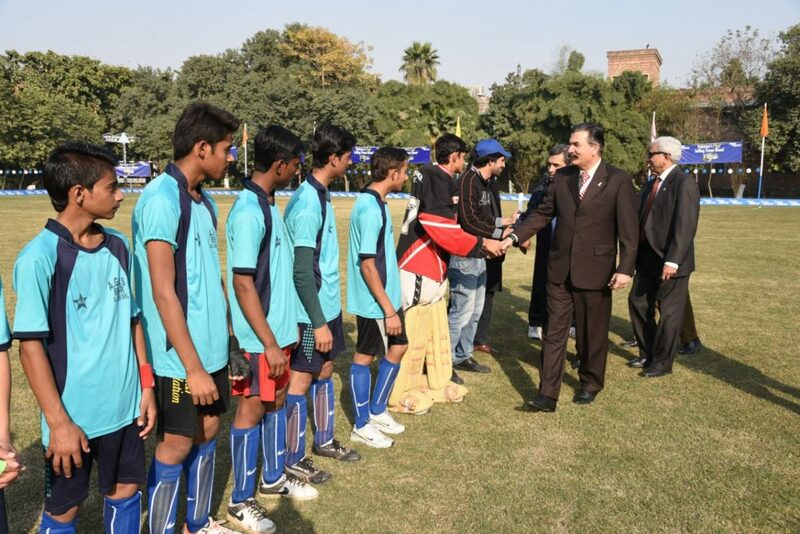 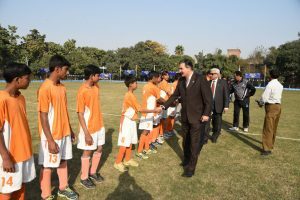 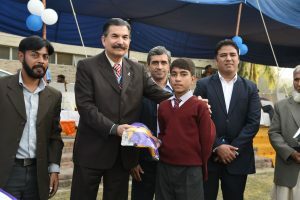 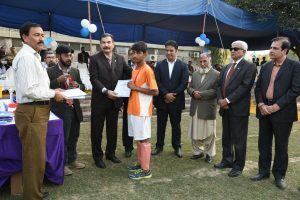 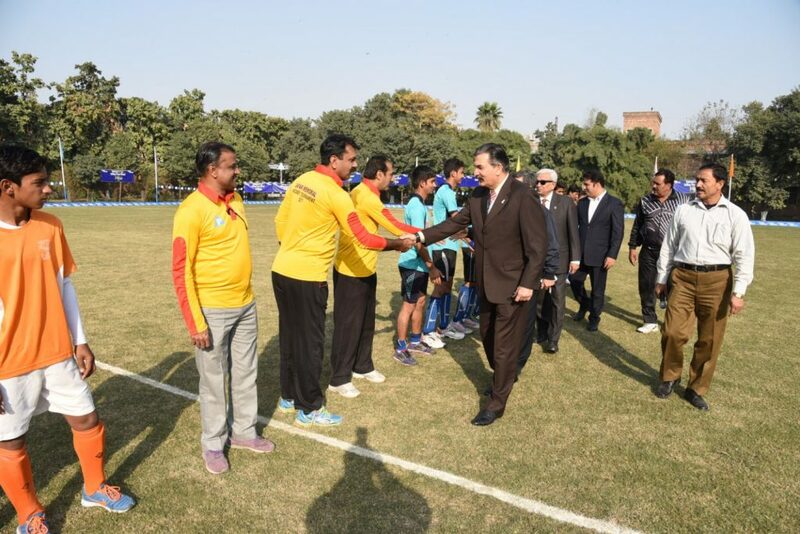 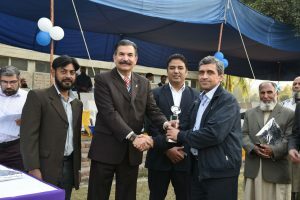 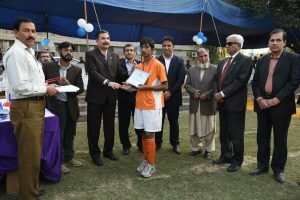 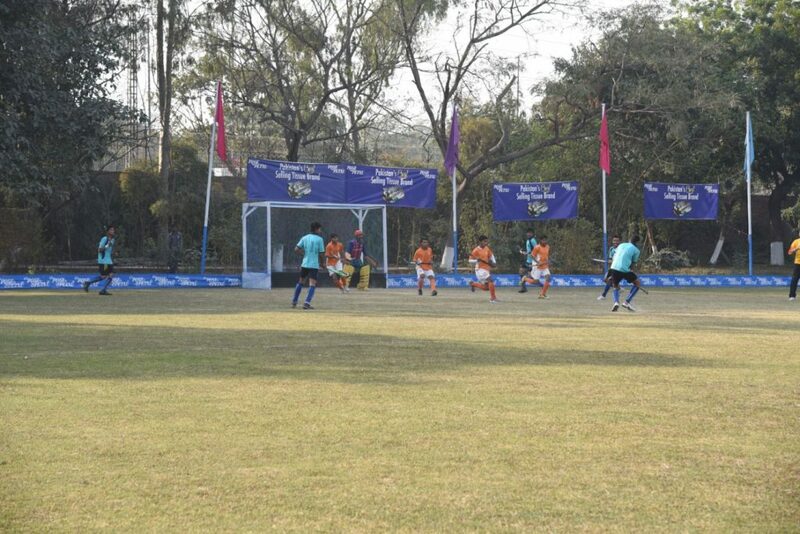 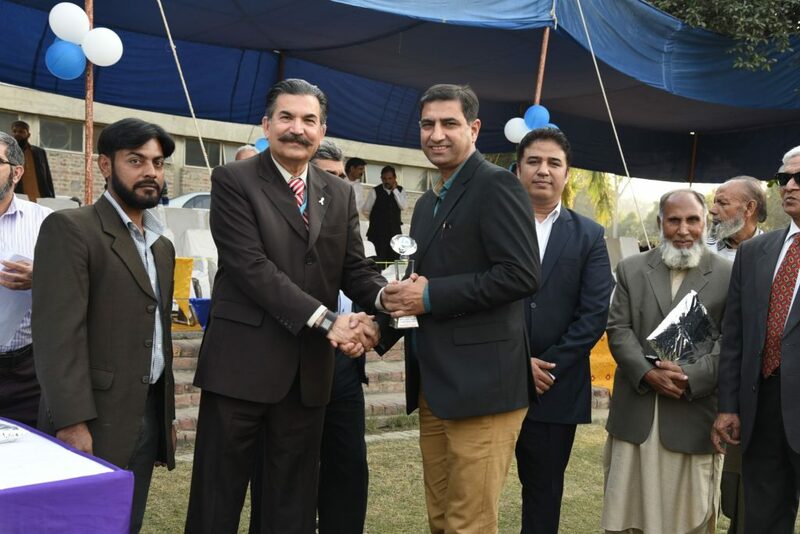 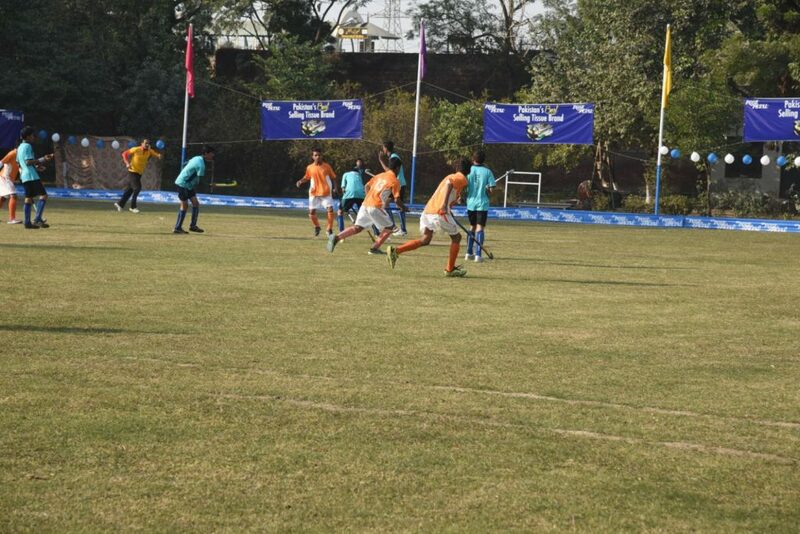 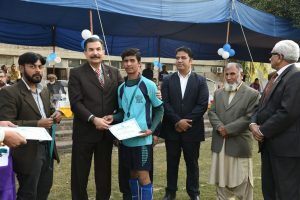 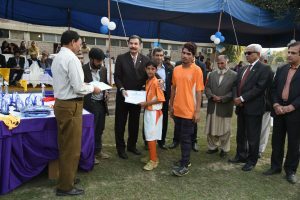 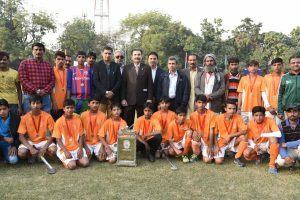 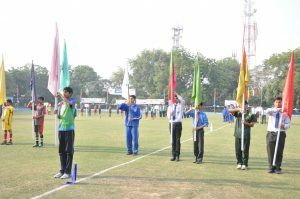 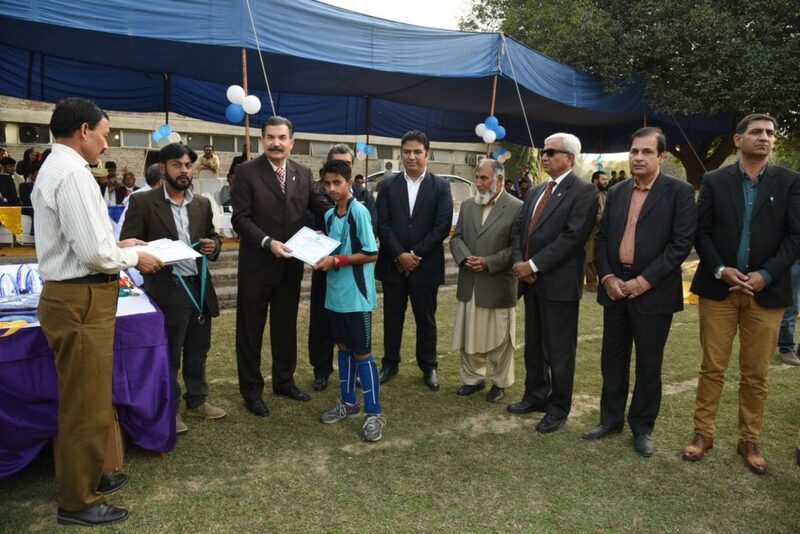 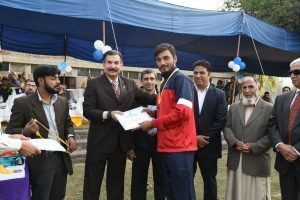 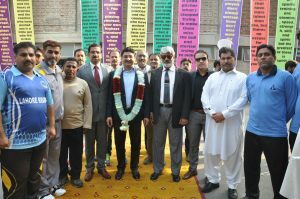 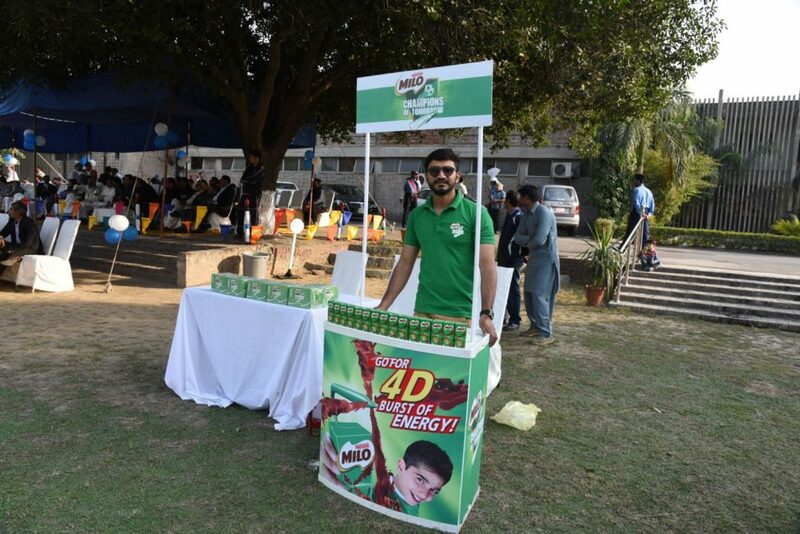 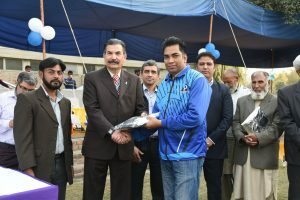 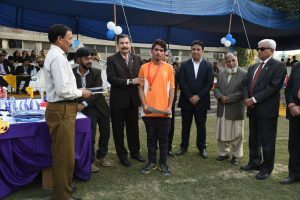 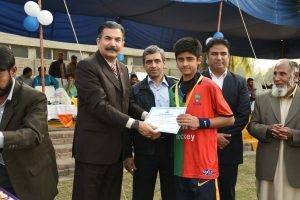 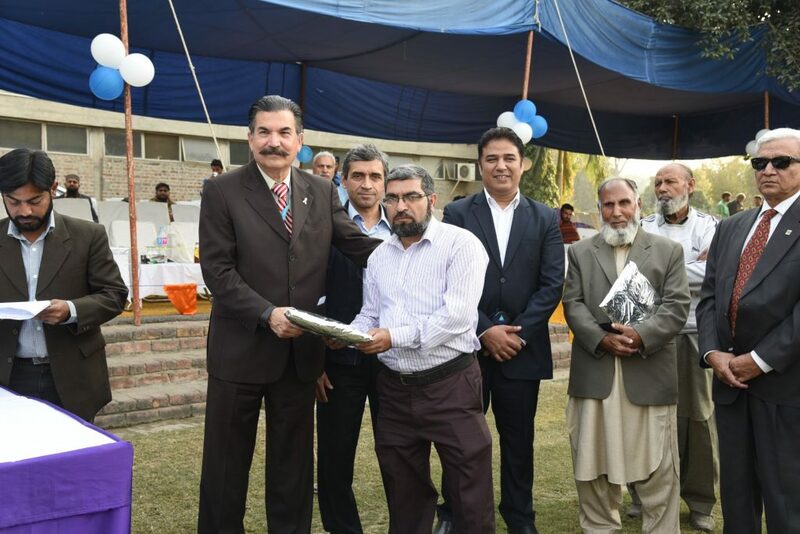 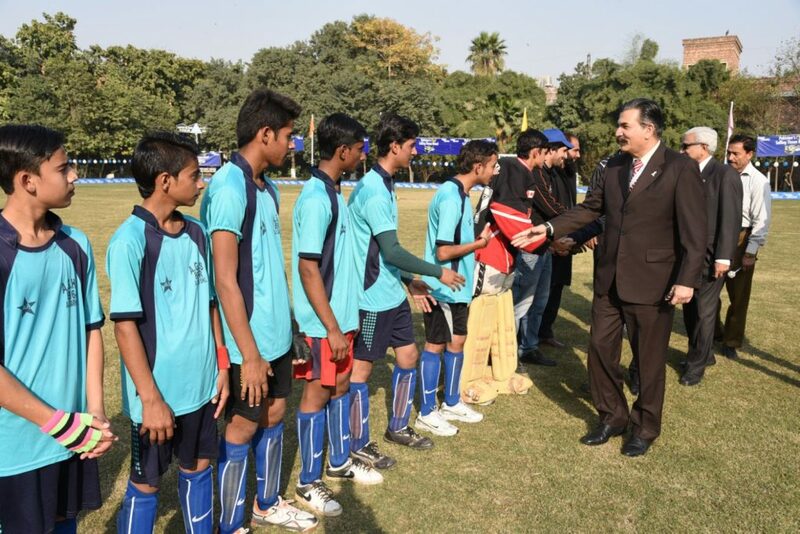 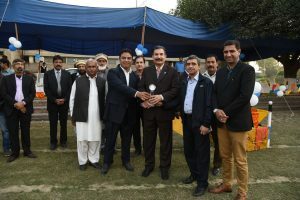 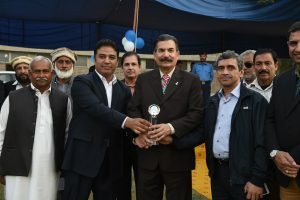 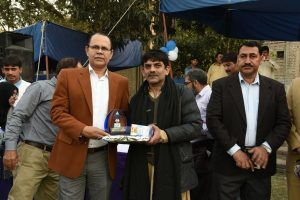 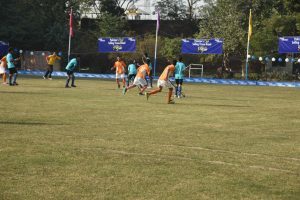 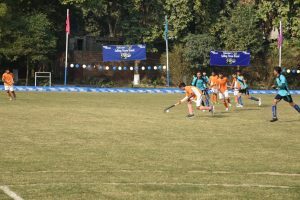 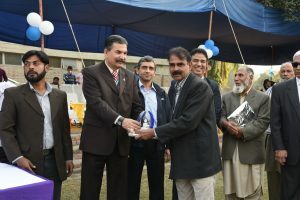 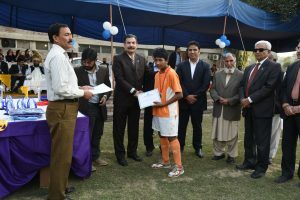 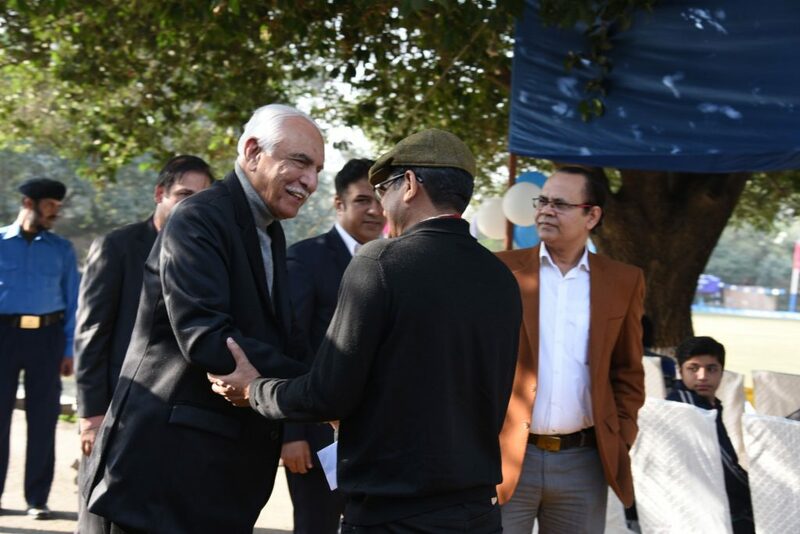 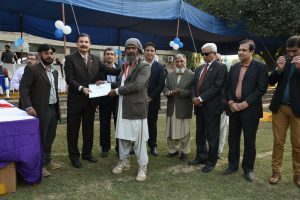 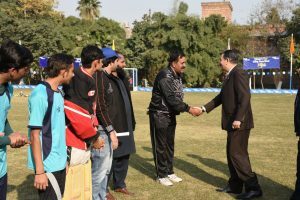 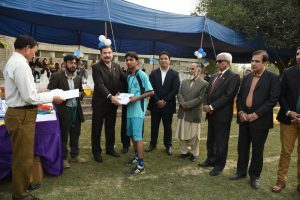 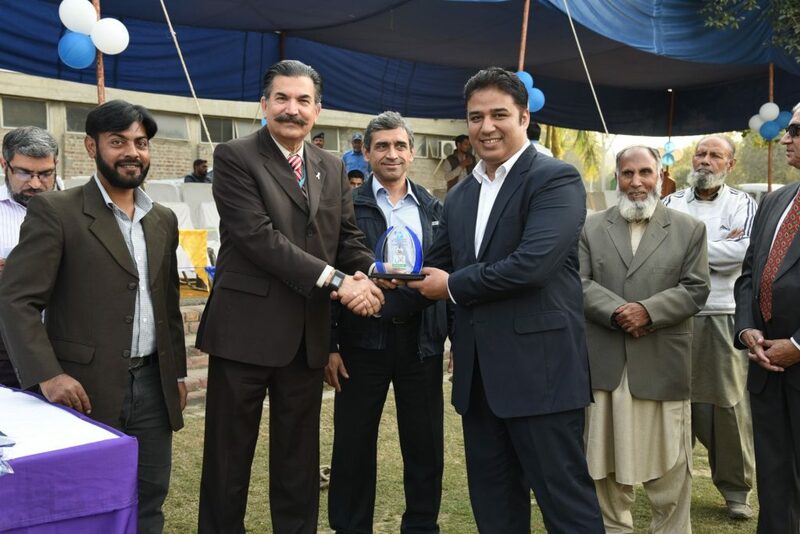 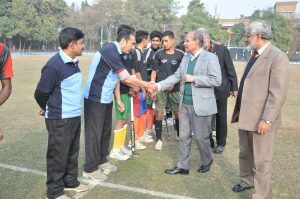 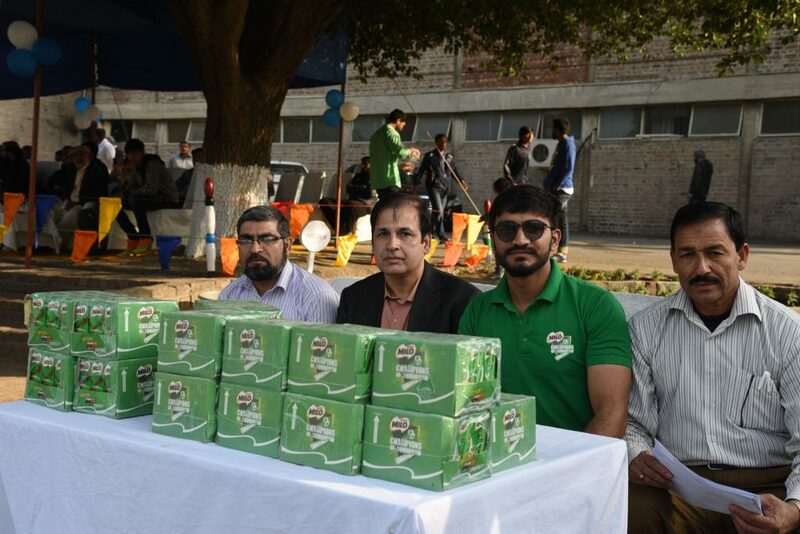 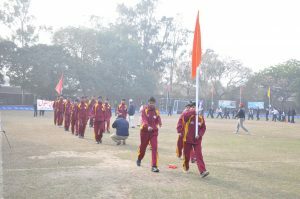 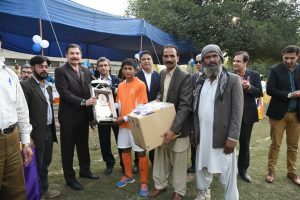 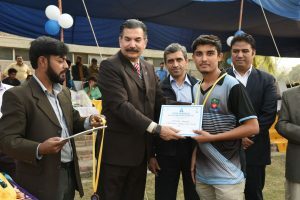 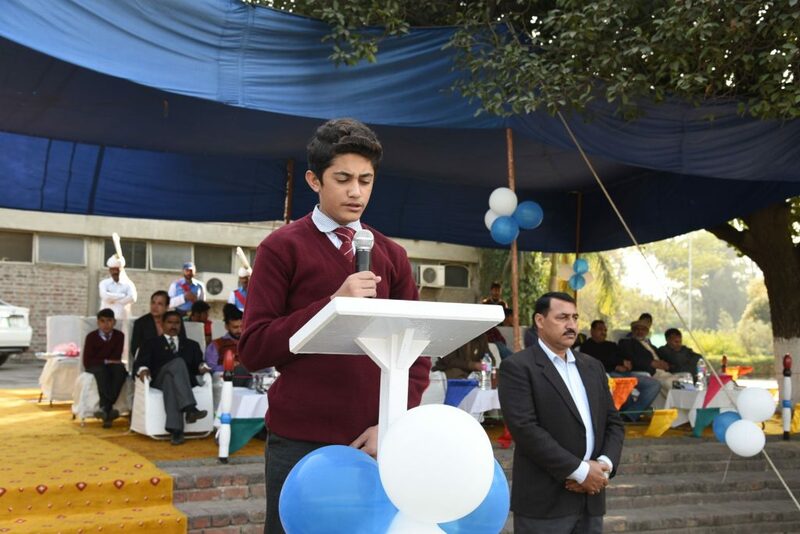 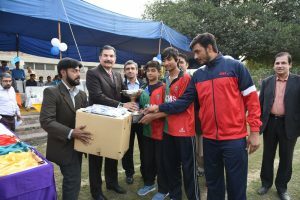 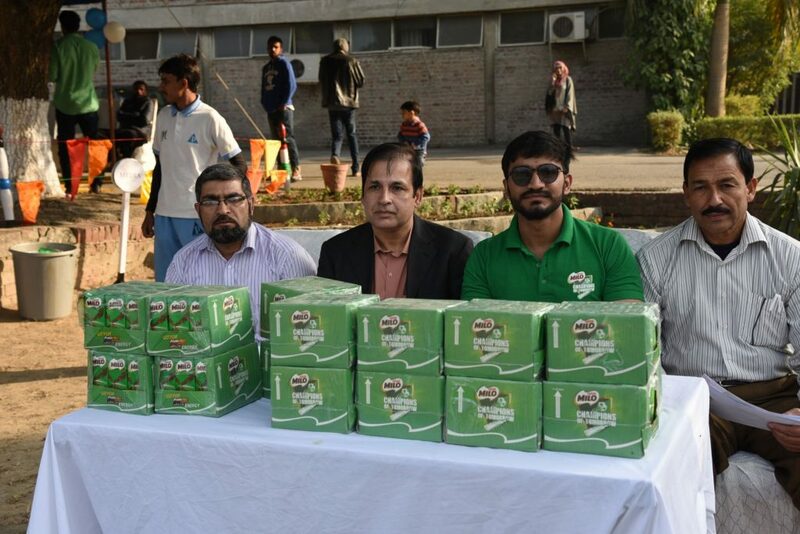 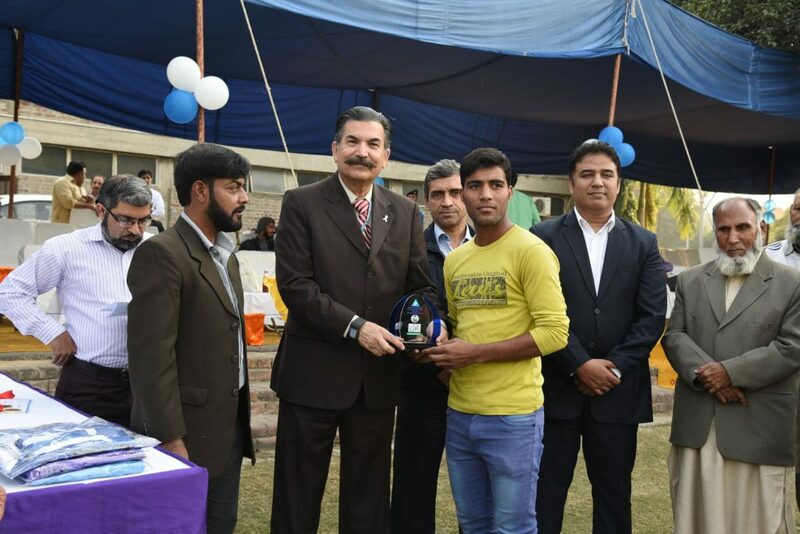 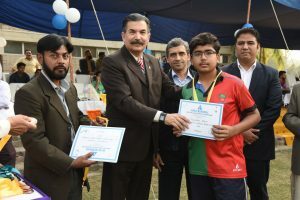 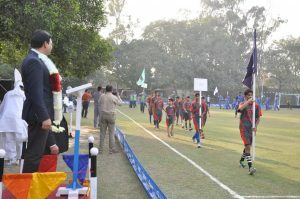 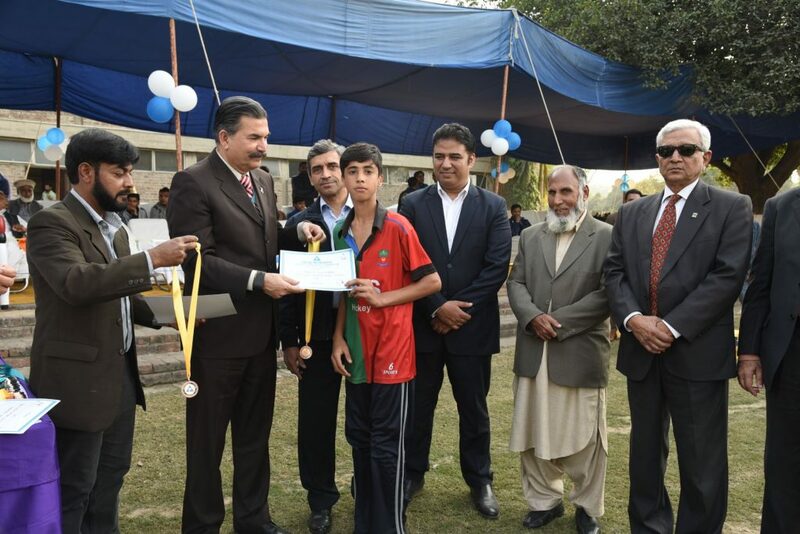 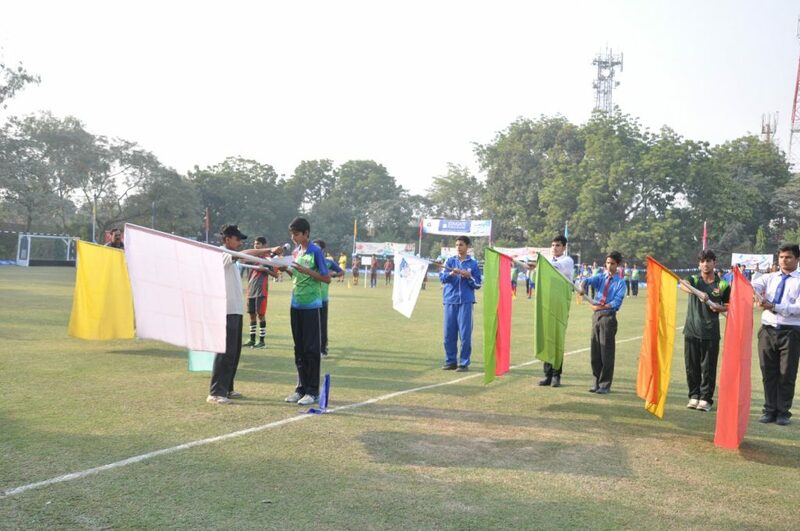 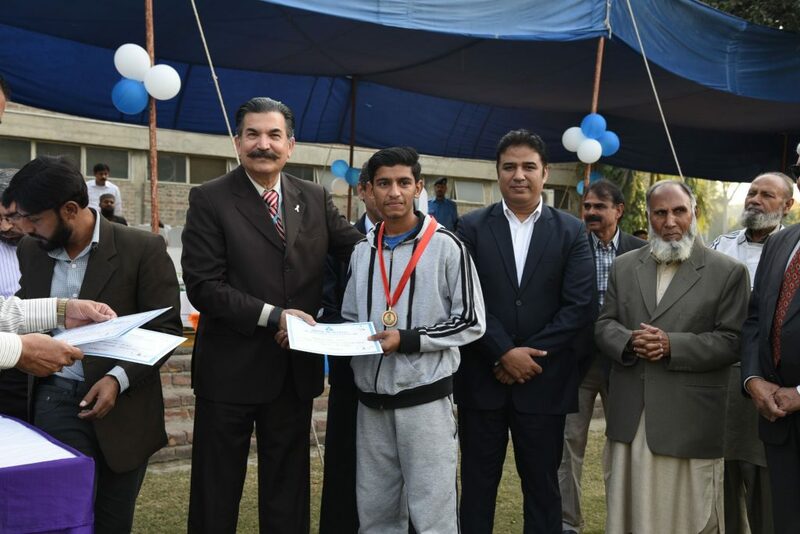 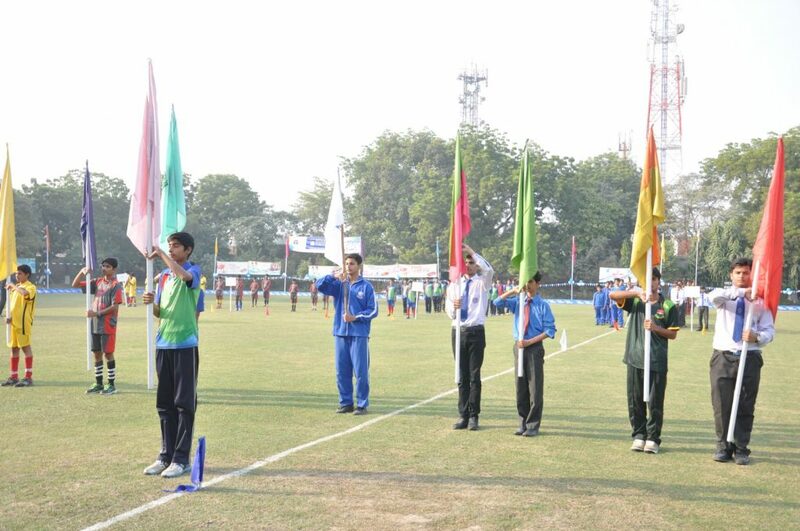 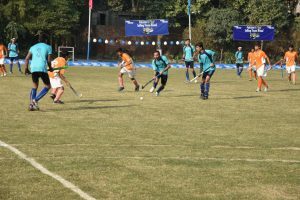 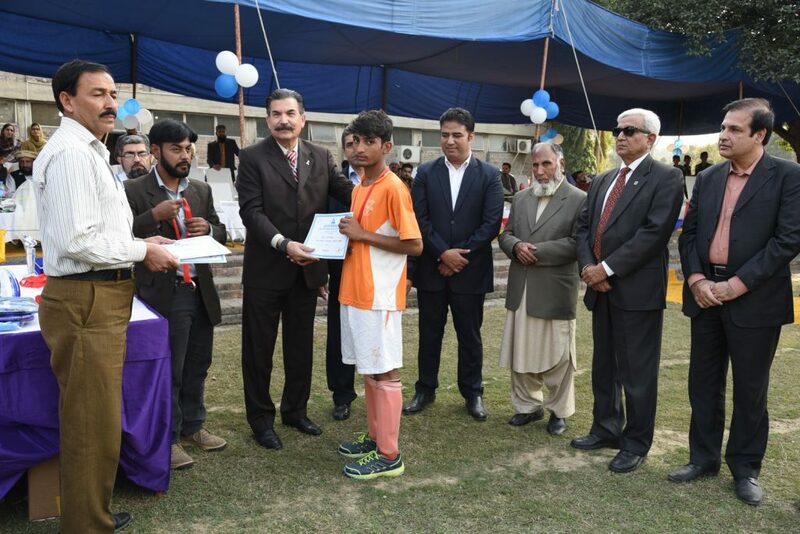 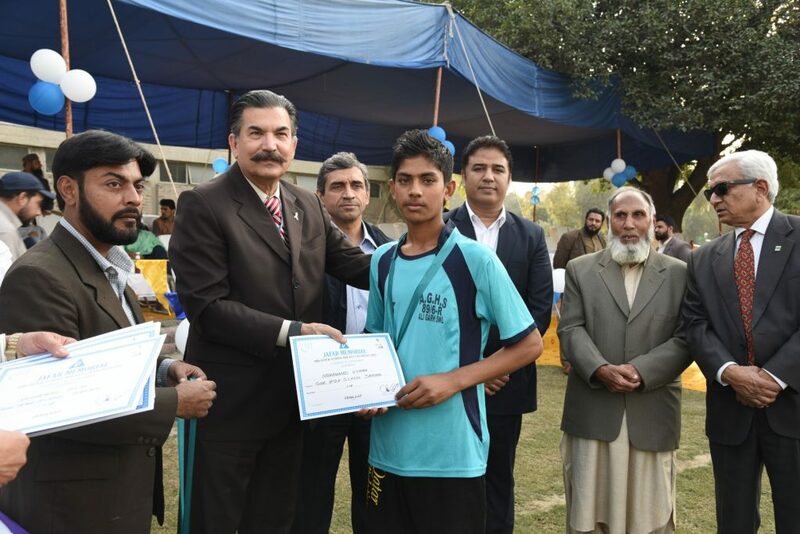 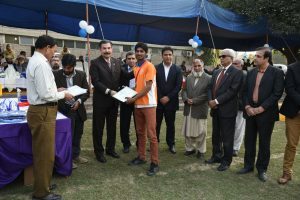 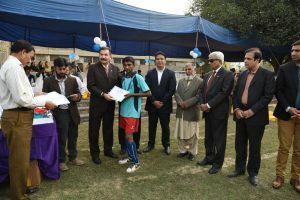 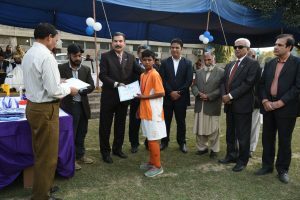 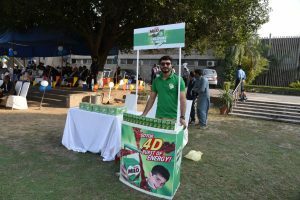 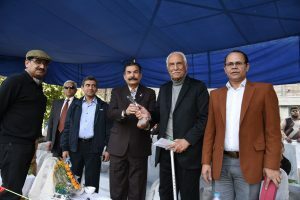 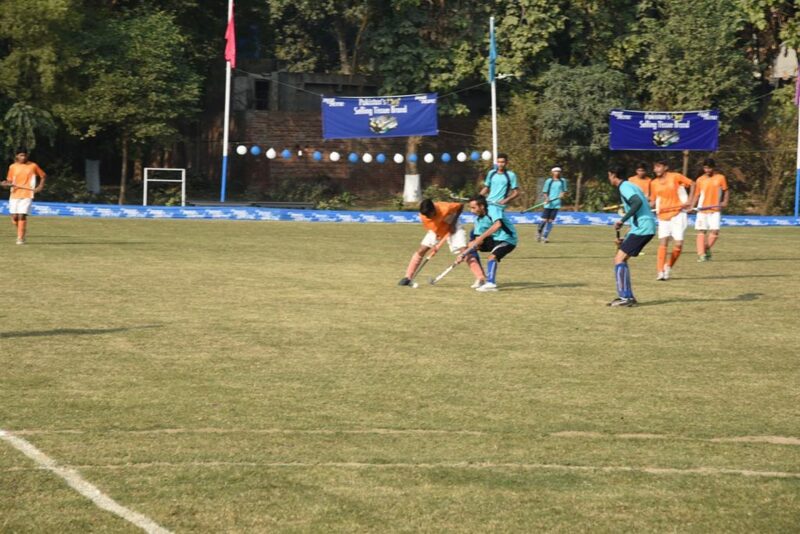 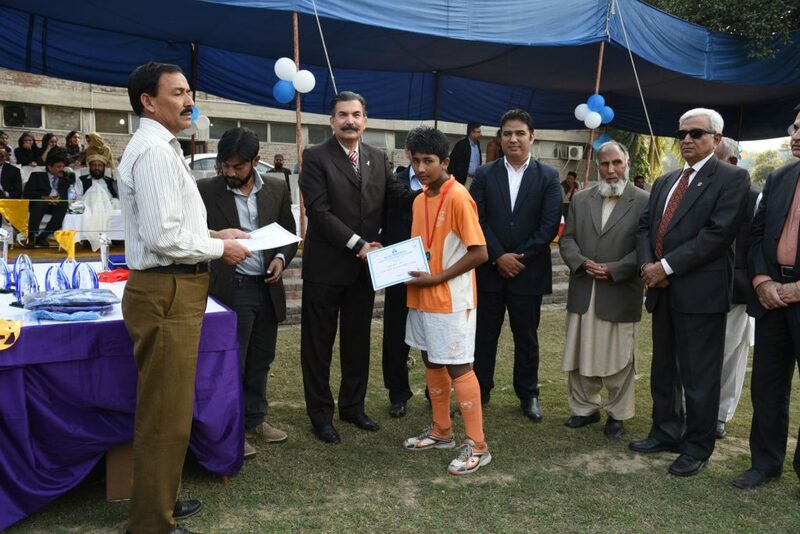 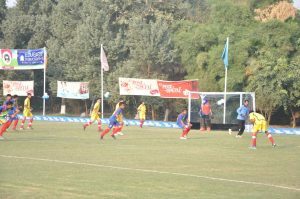 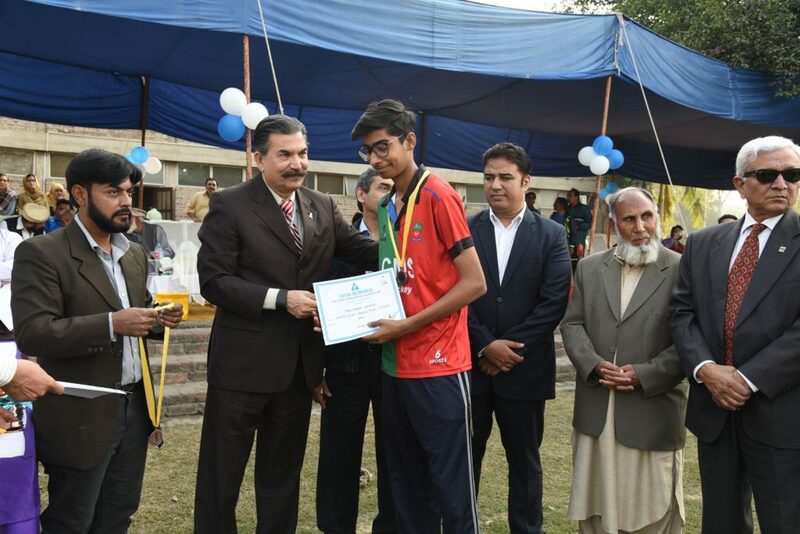 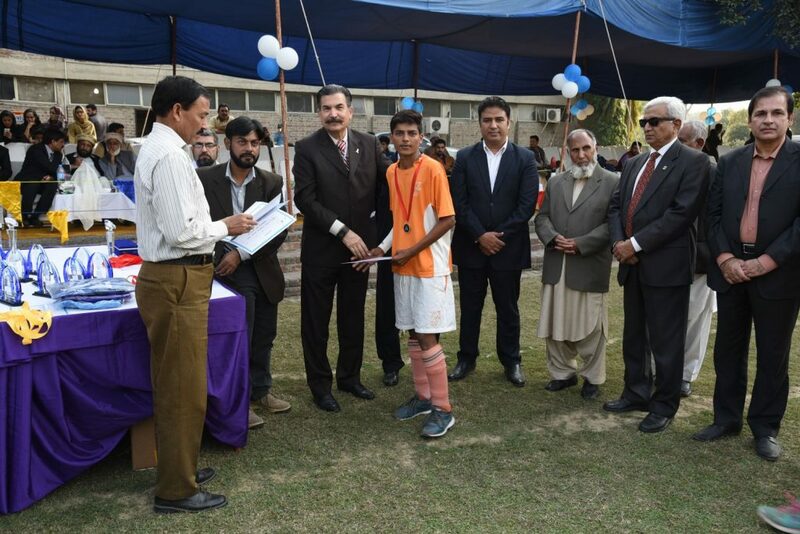 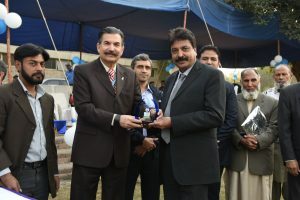 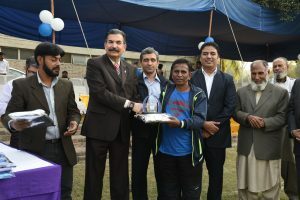 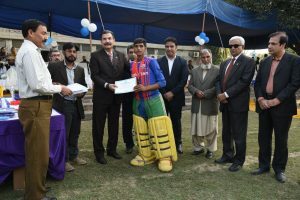 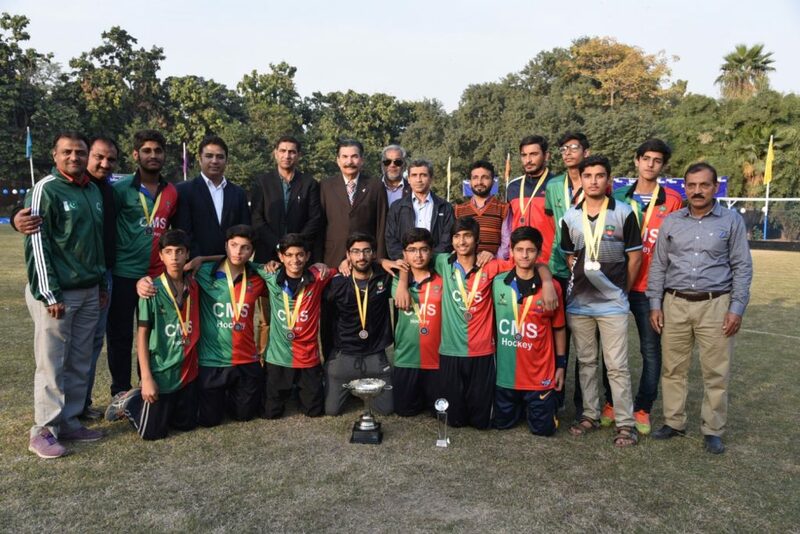 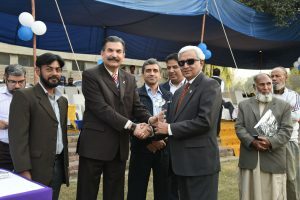 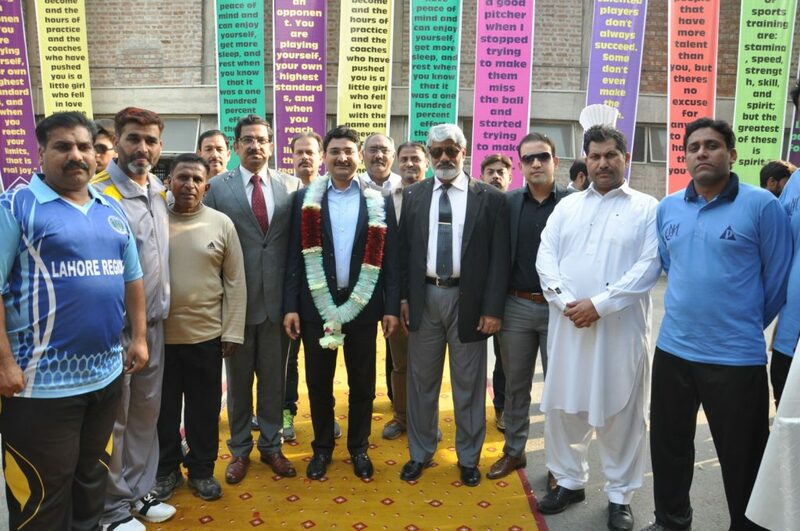 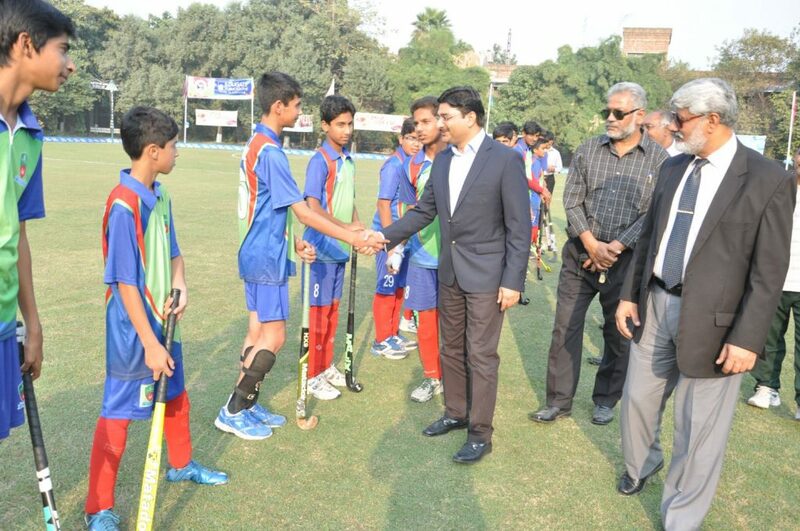 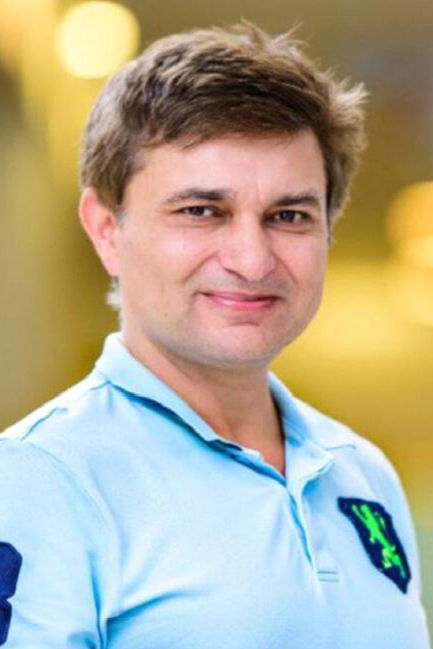 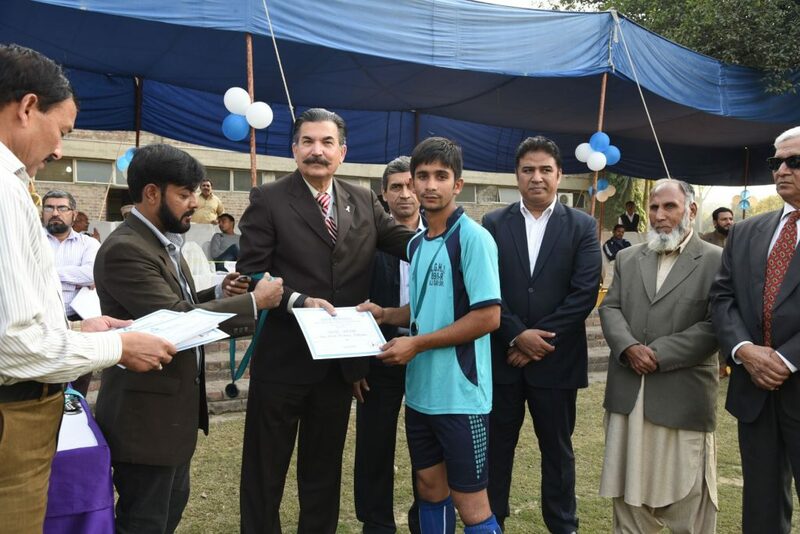 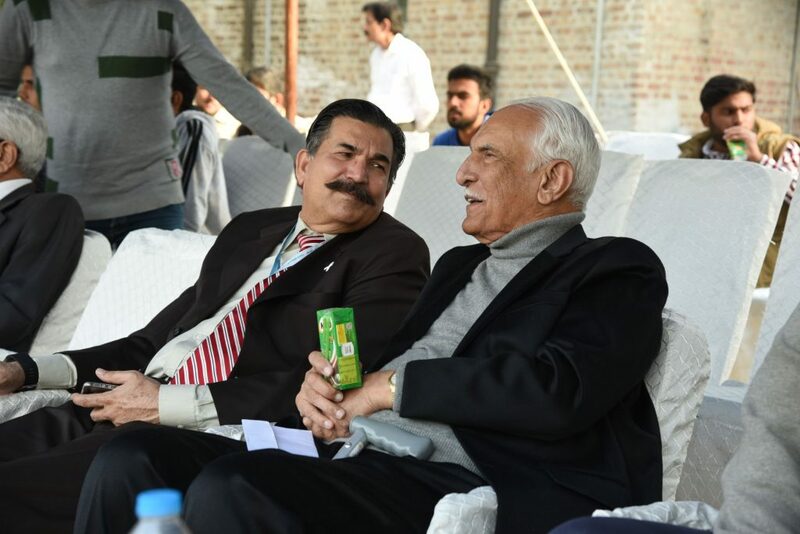 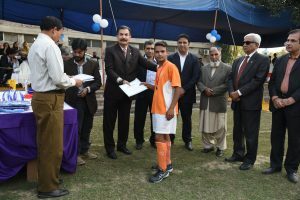 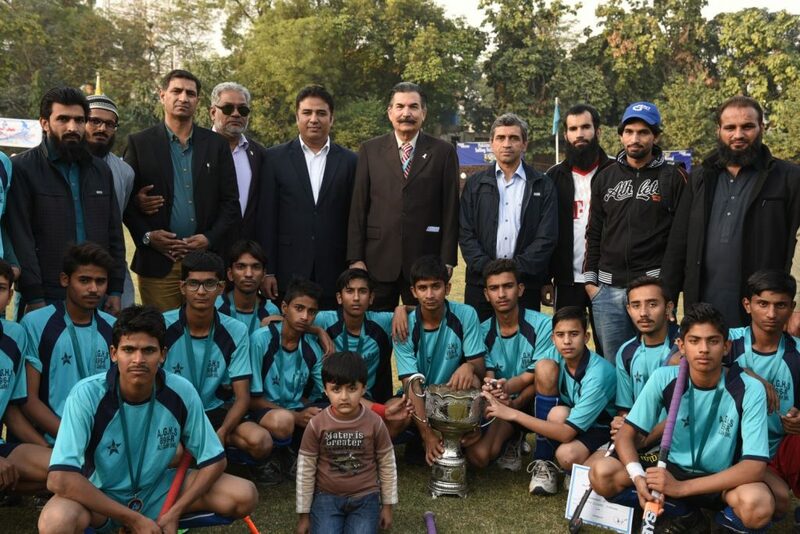 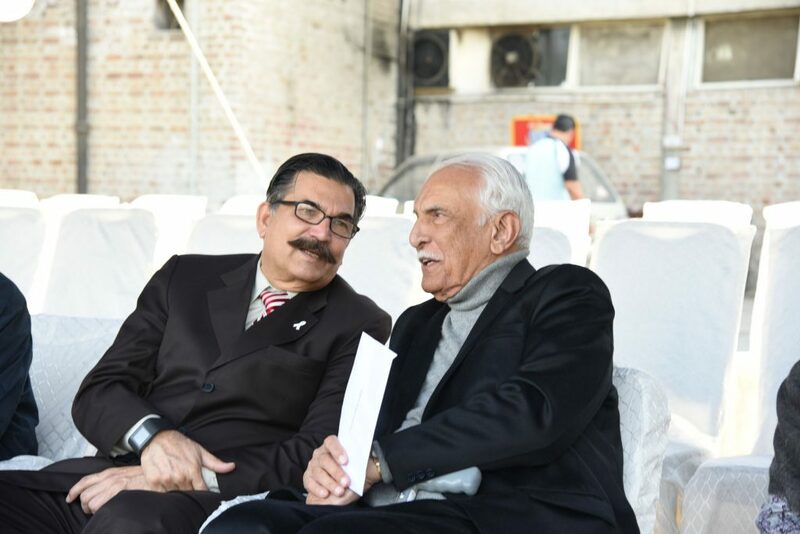 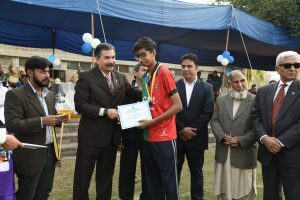 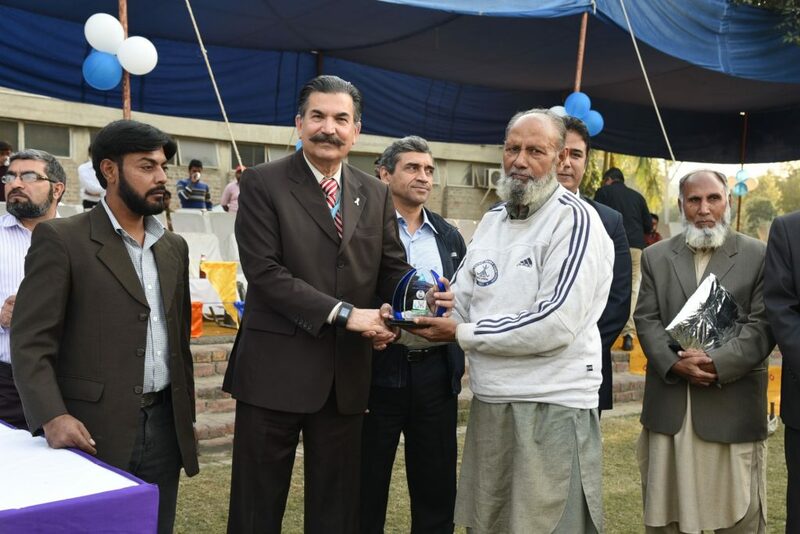 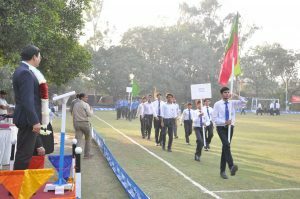 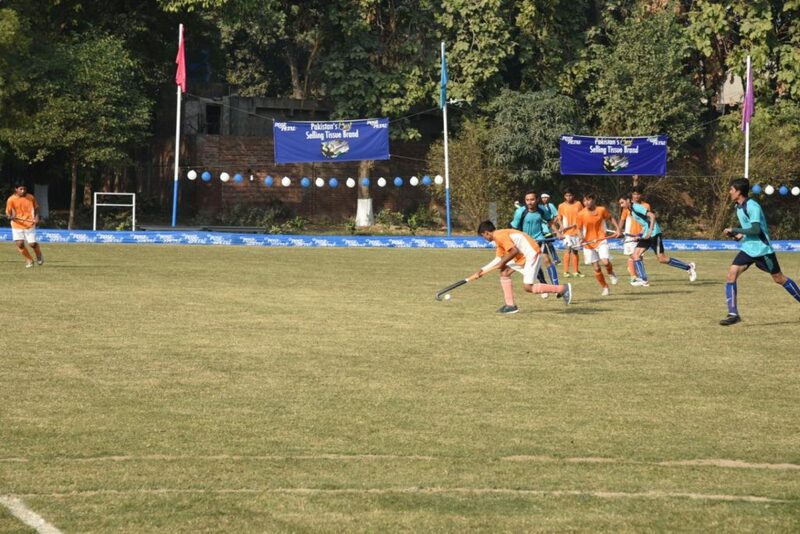 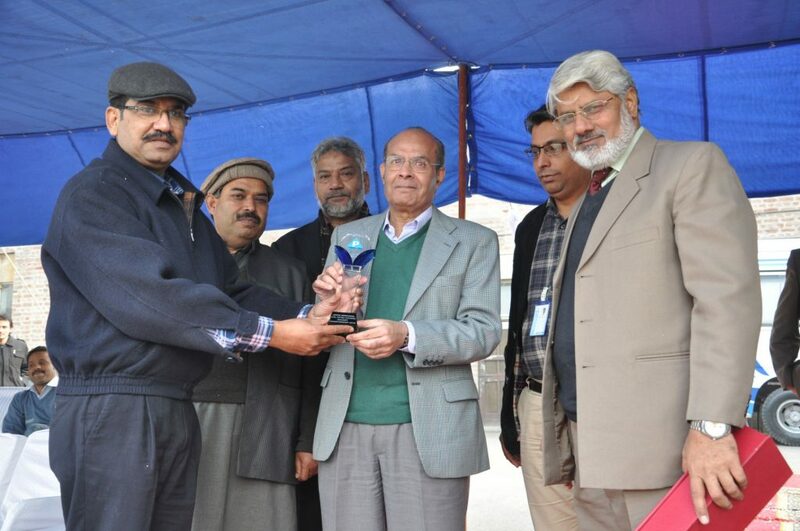 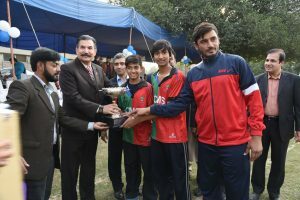 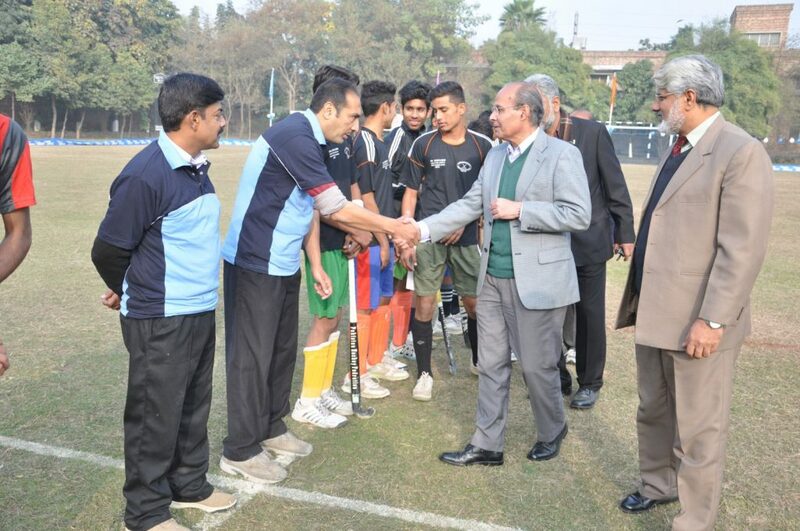 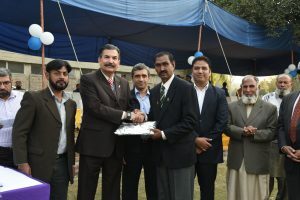 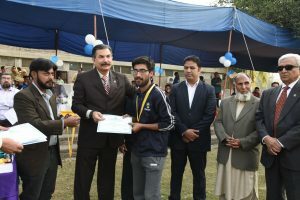 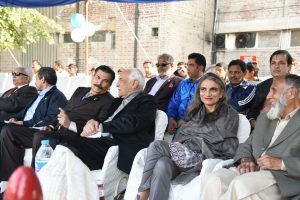 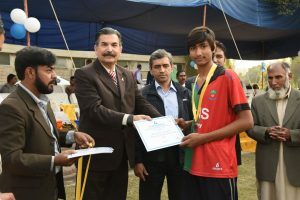 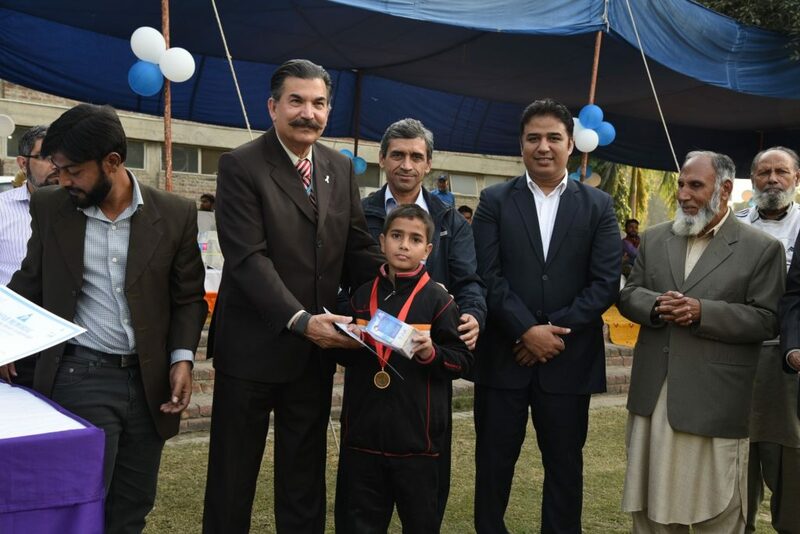 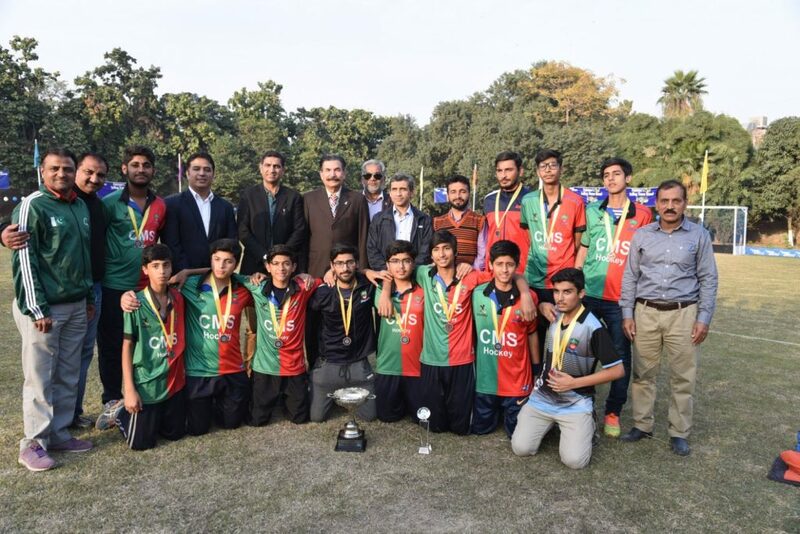 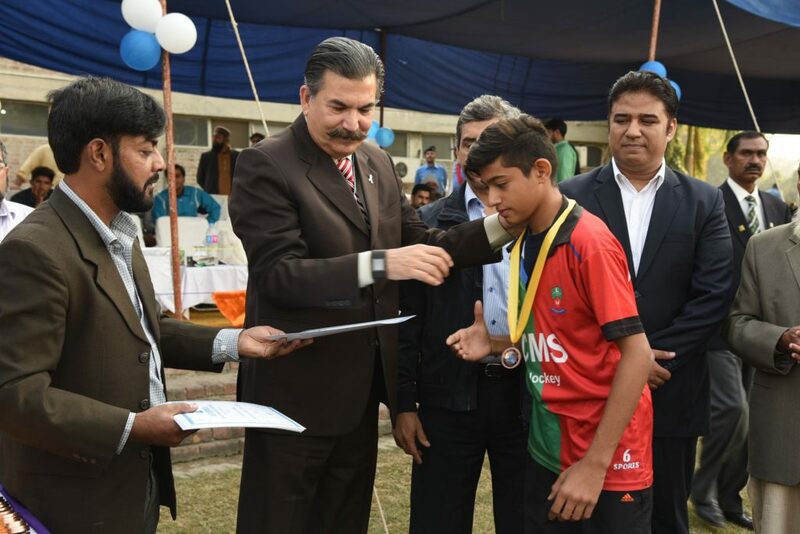 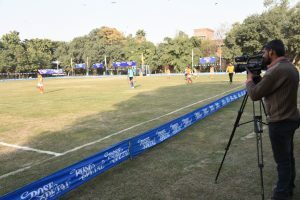 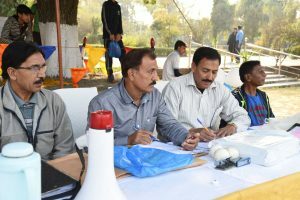 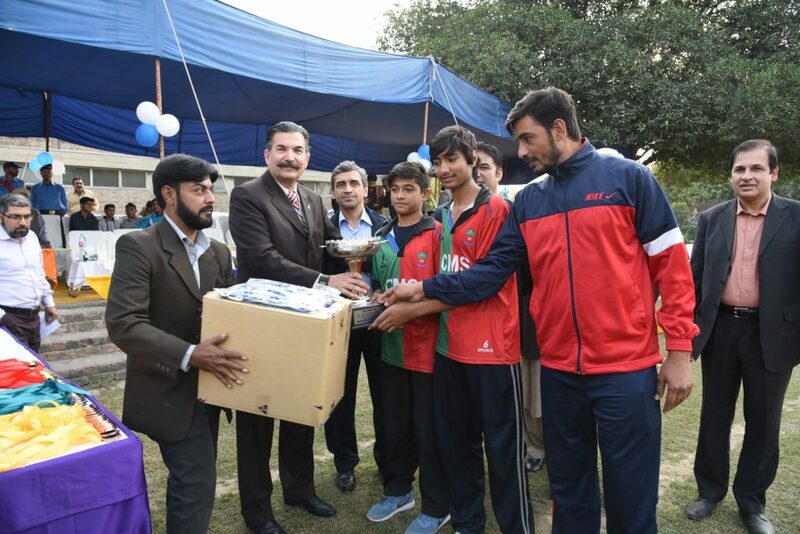 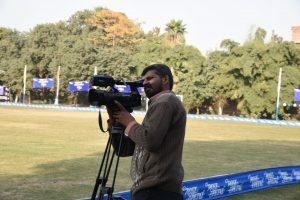 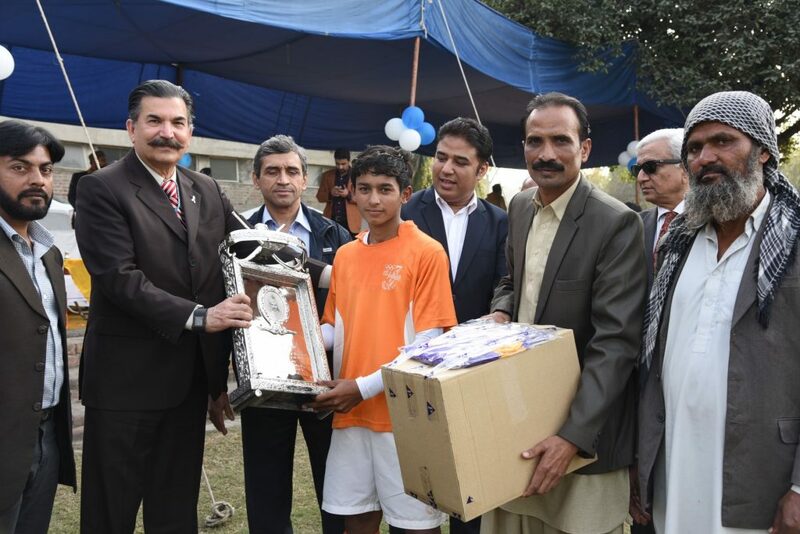 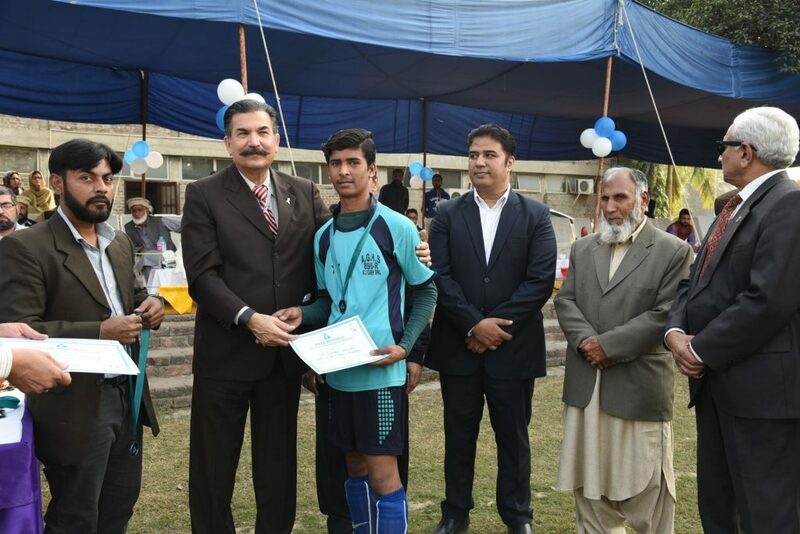 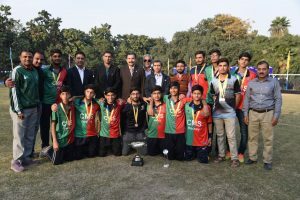 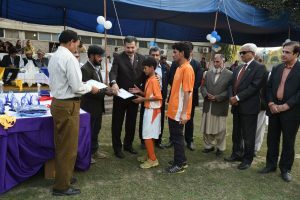 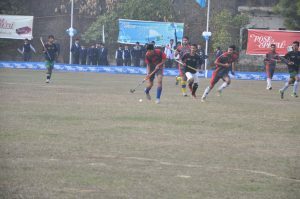 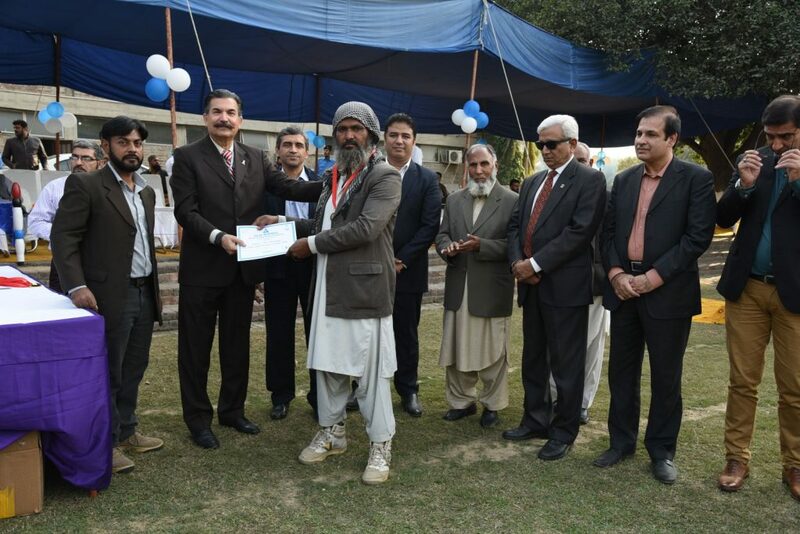 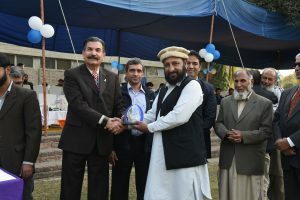 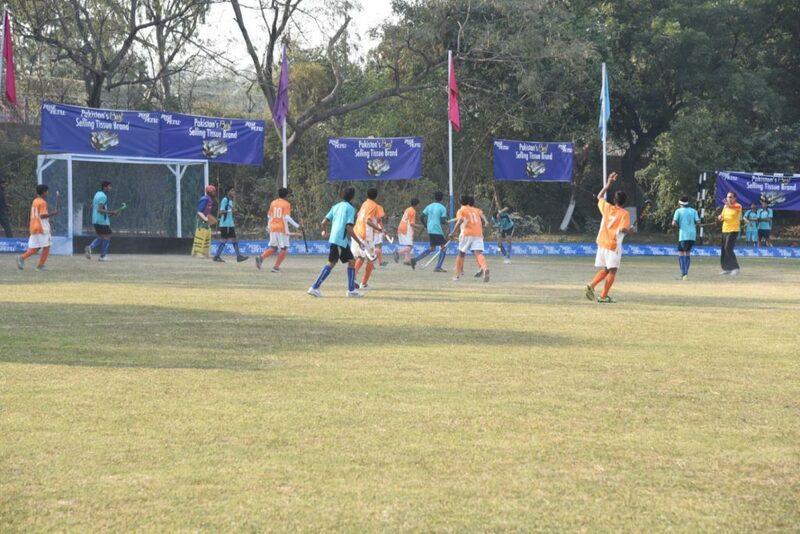 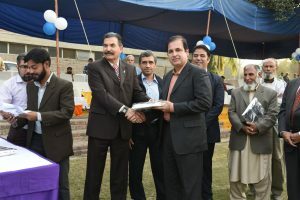 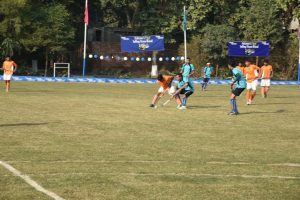 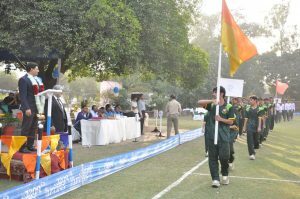 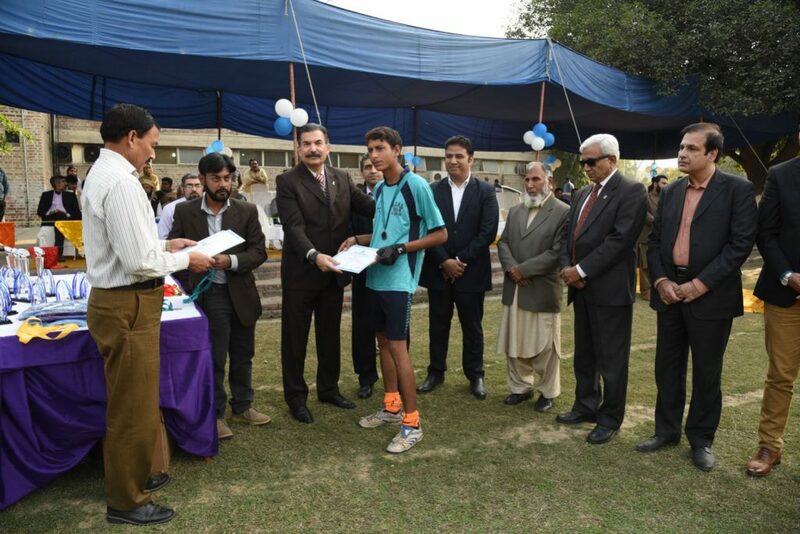 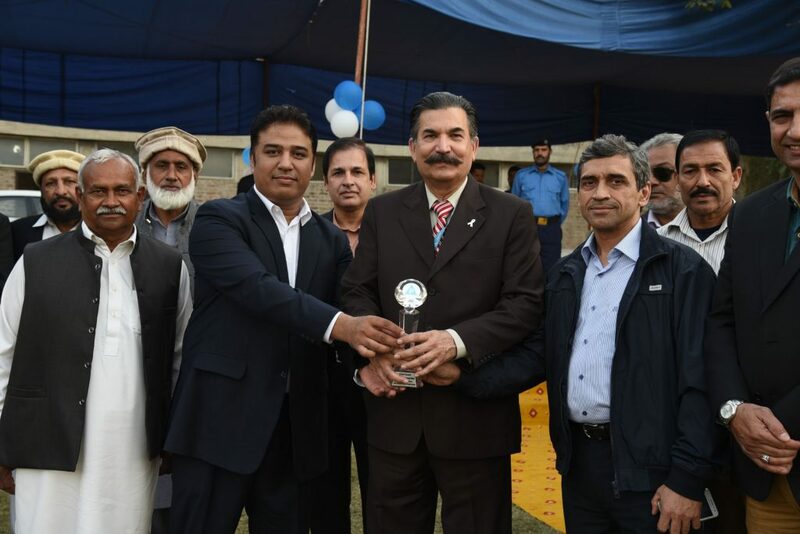 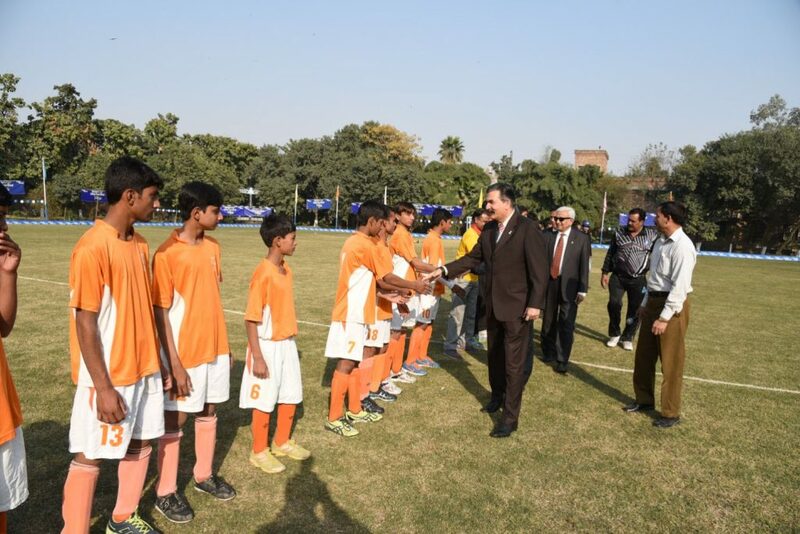 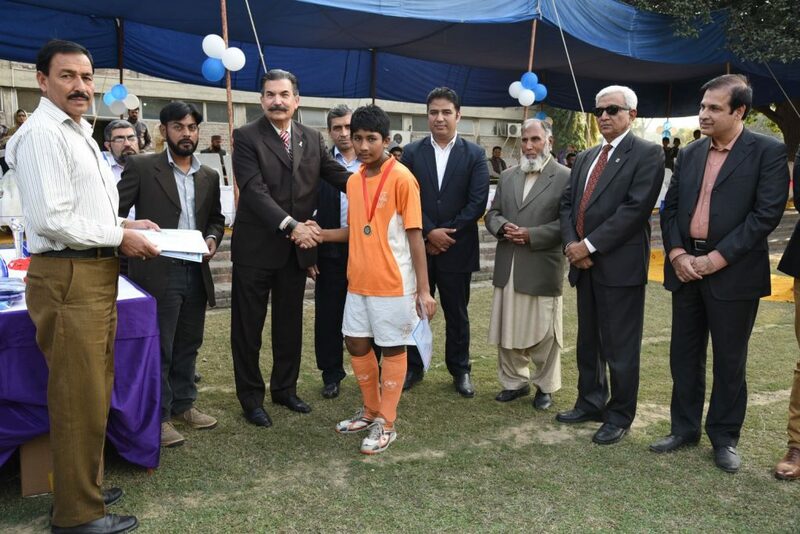 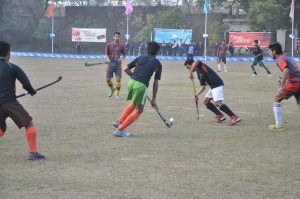 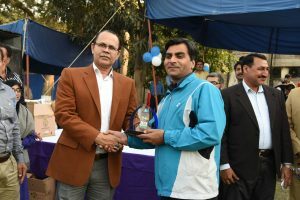 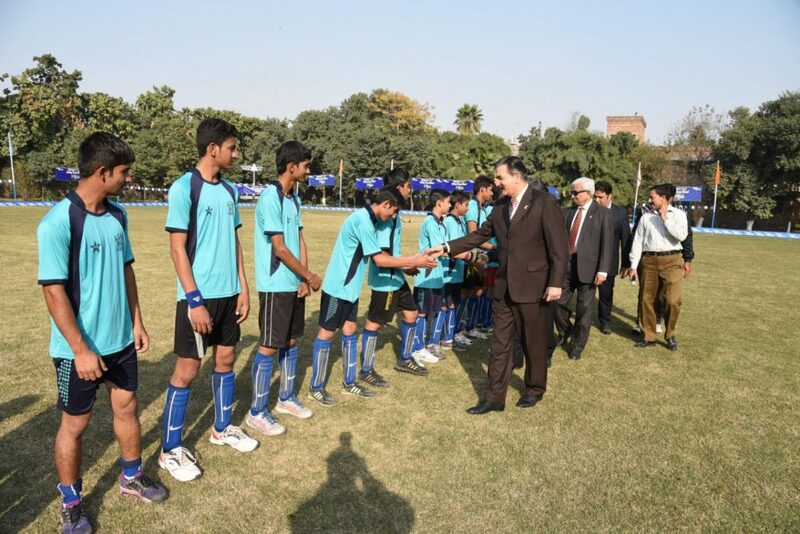 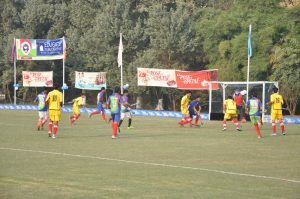 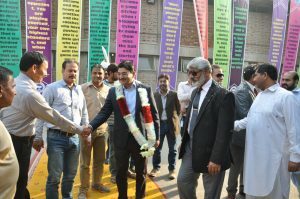 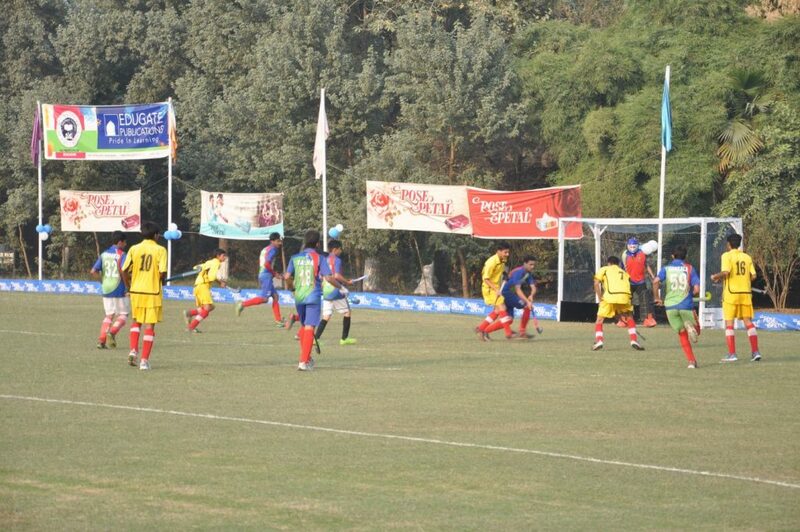 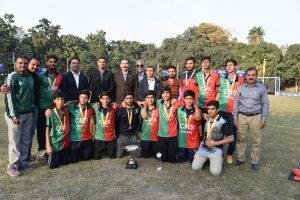 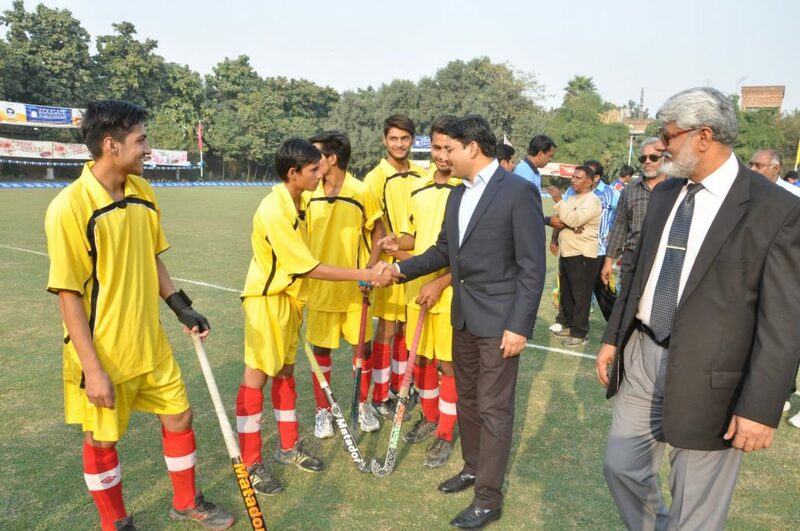 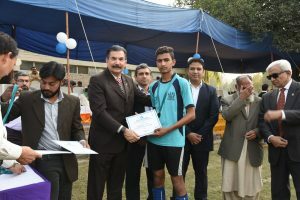 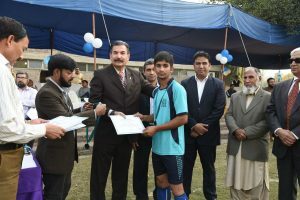 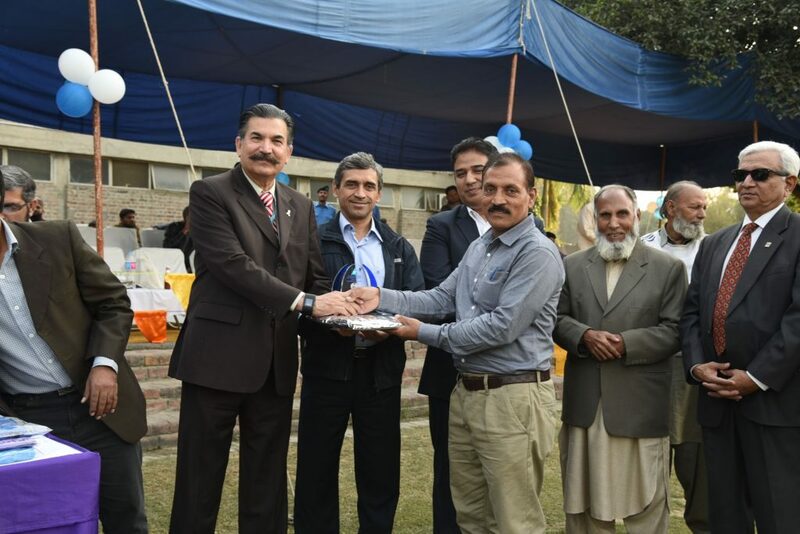 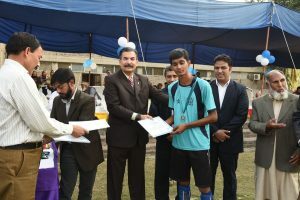 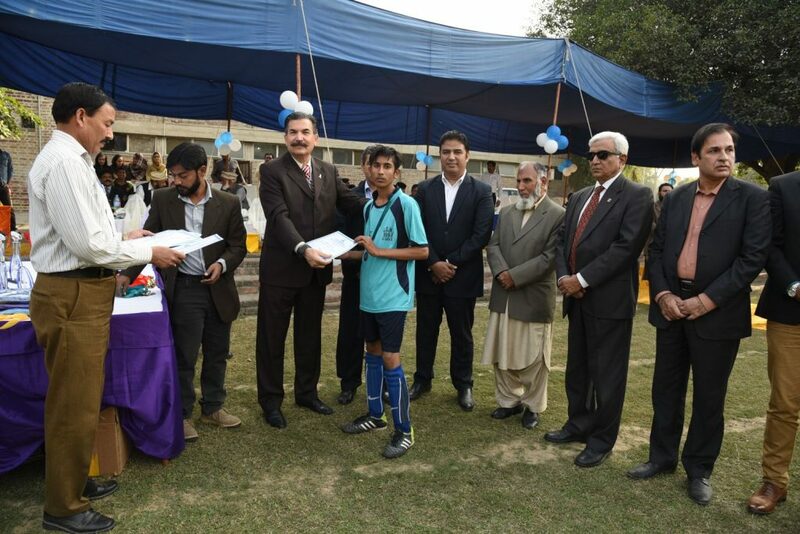 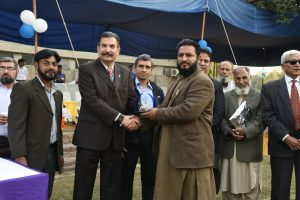 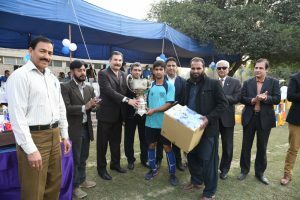 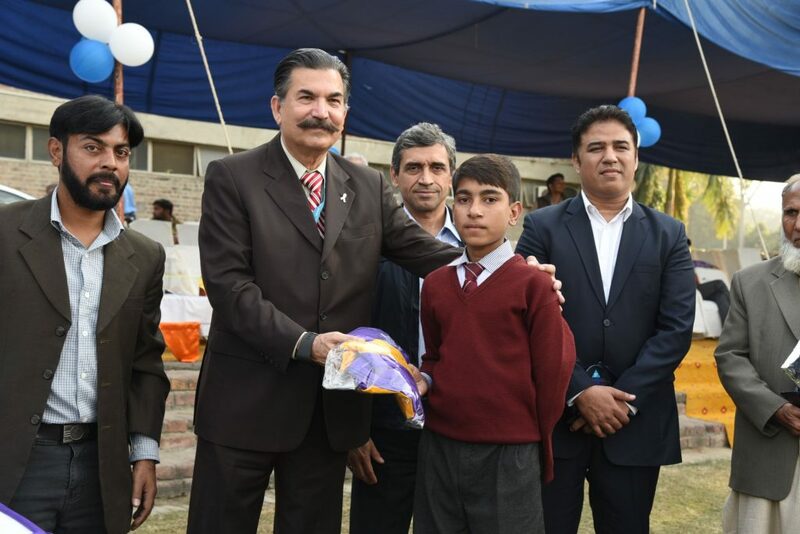 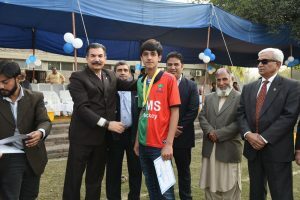 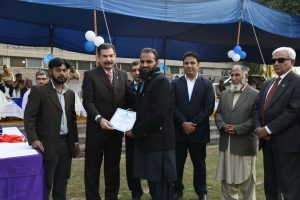 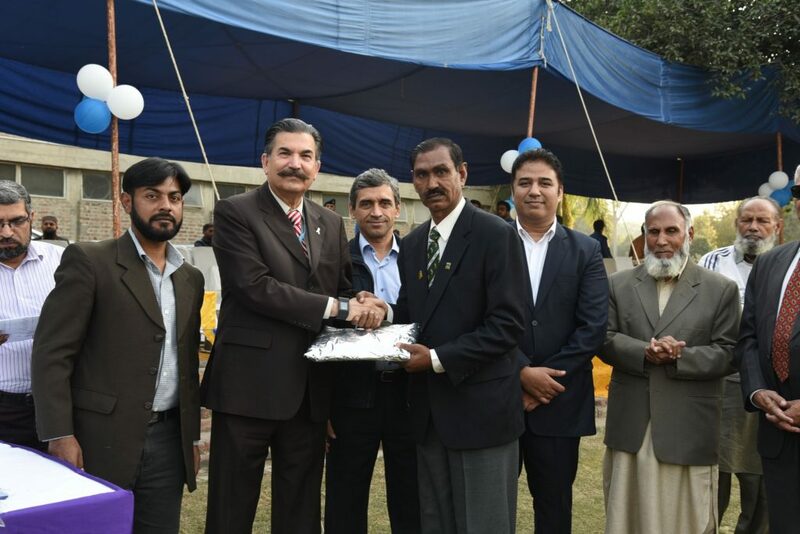 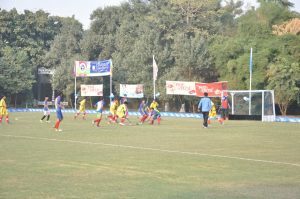 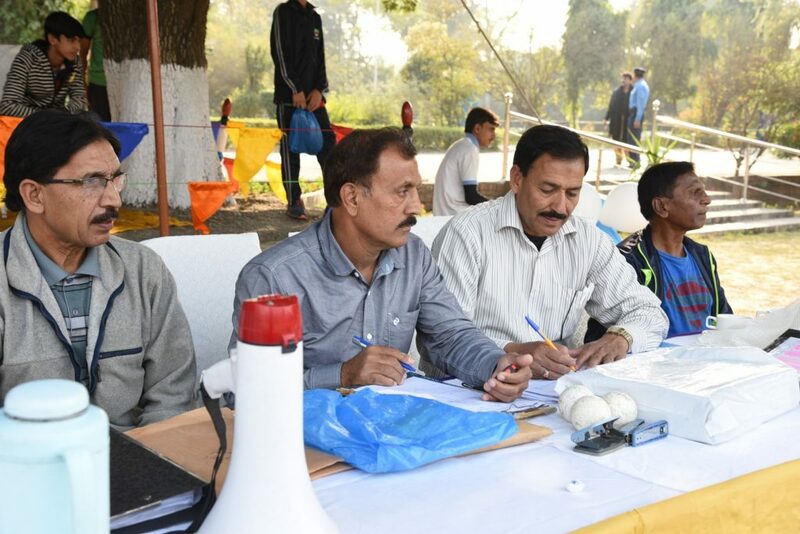 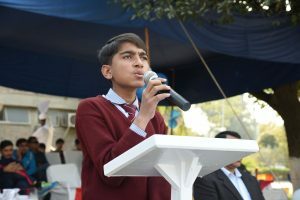 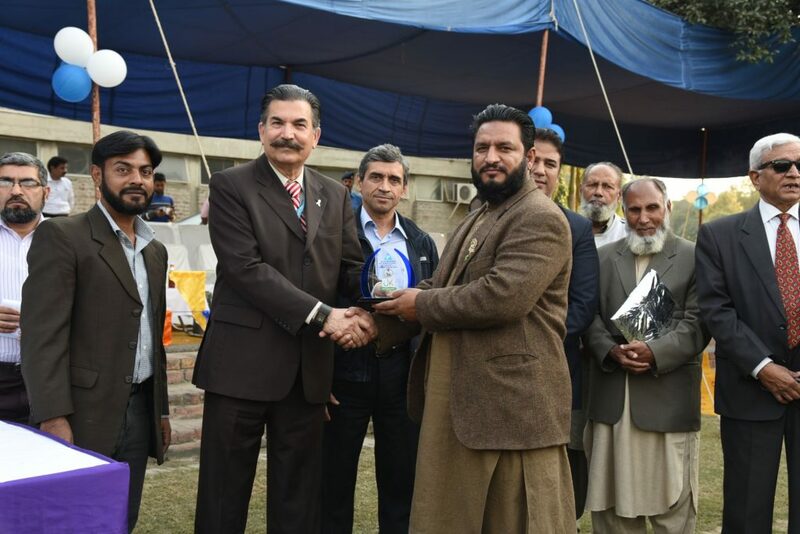 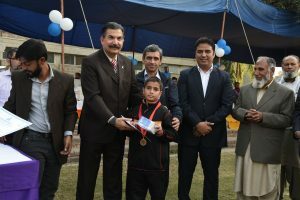 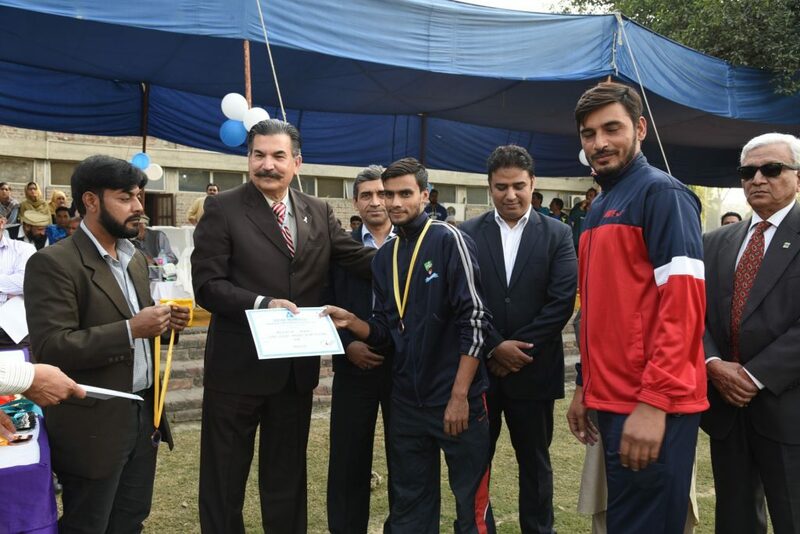 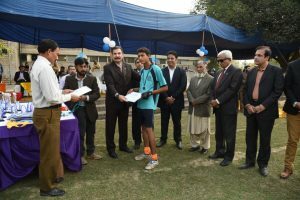 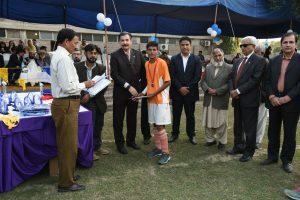 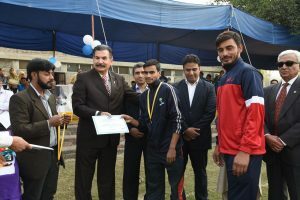 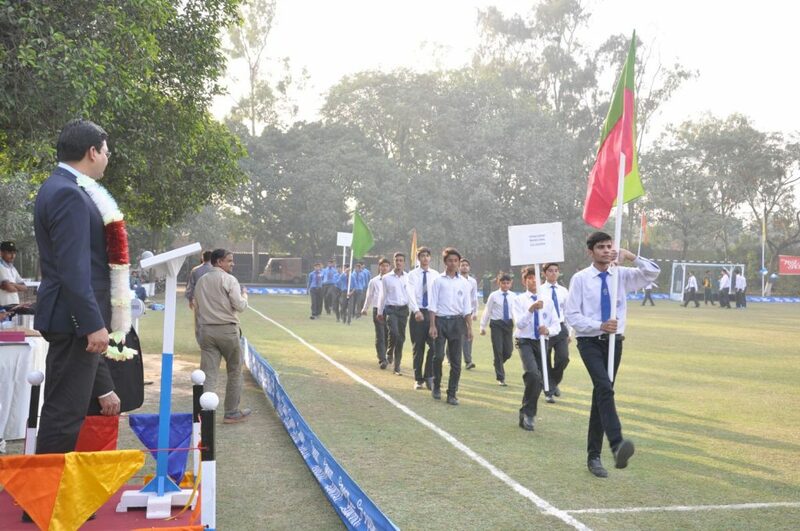 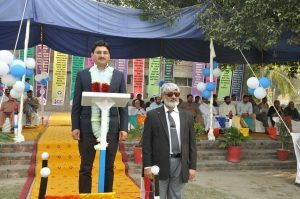 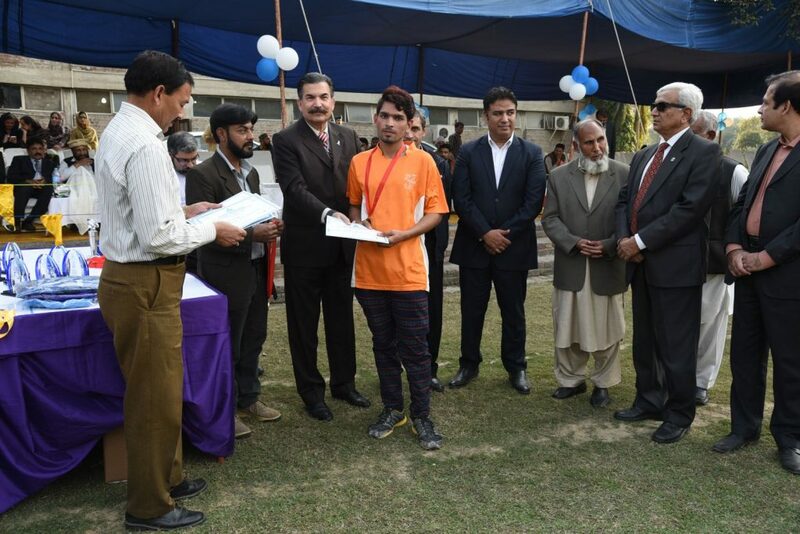 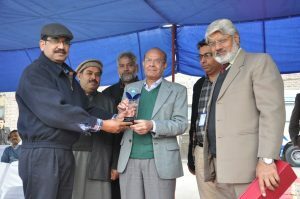 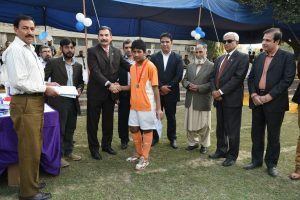 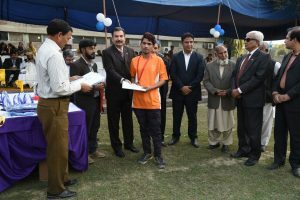 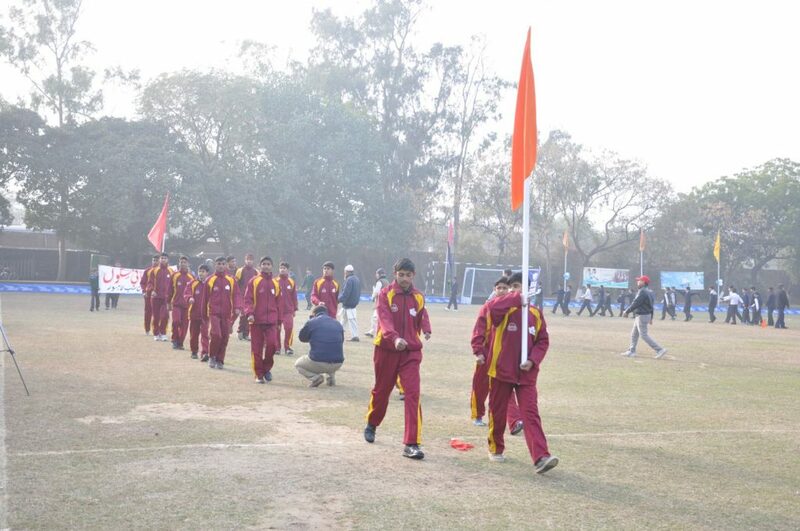 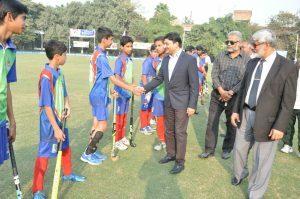 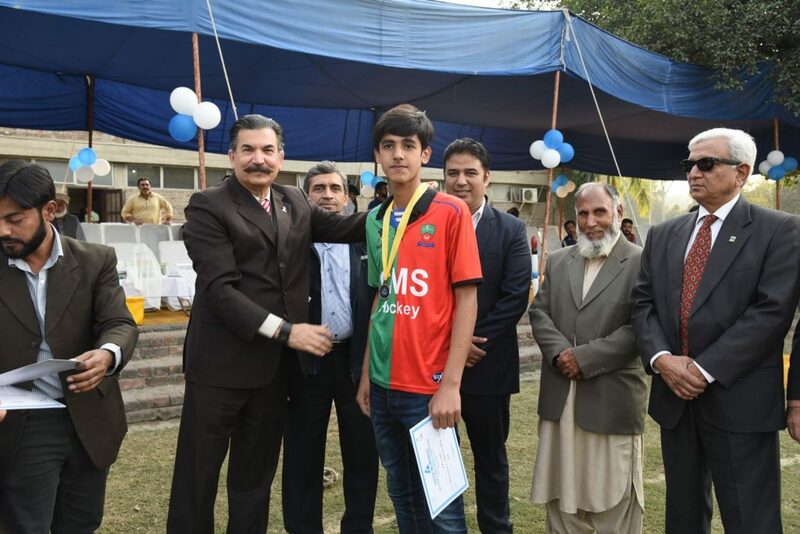 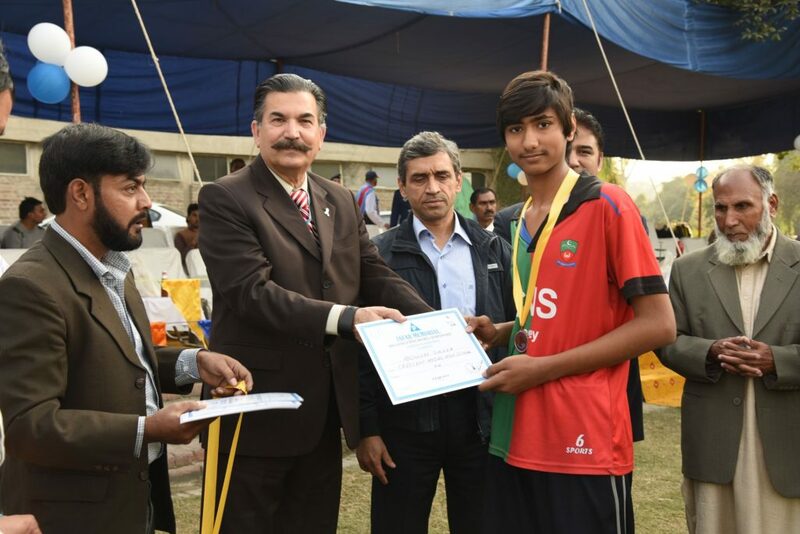 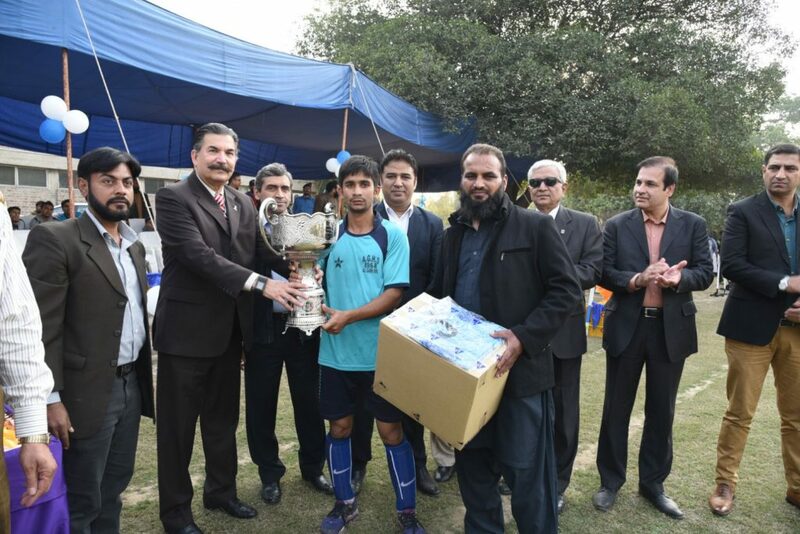 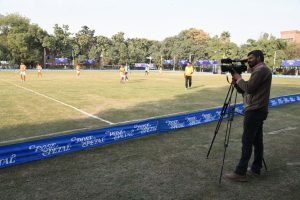 Syed Babar Ali revived the tournament for young school boys of the Lahore Division in the hope that the idea would catch the imagination of other lovers of the national sports. 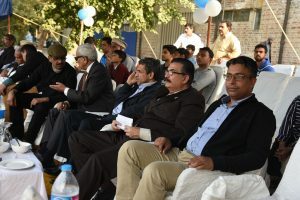 A lot of people started to support this idea including Mr M.T.Ansari, Mr Humayun Khan, Khawaja Nazir Ahmad and Mr Niaz Rabbani. 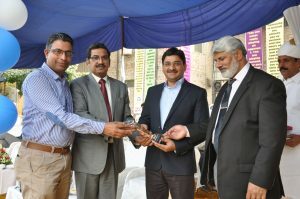 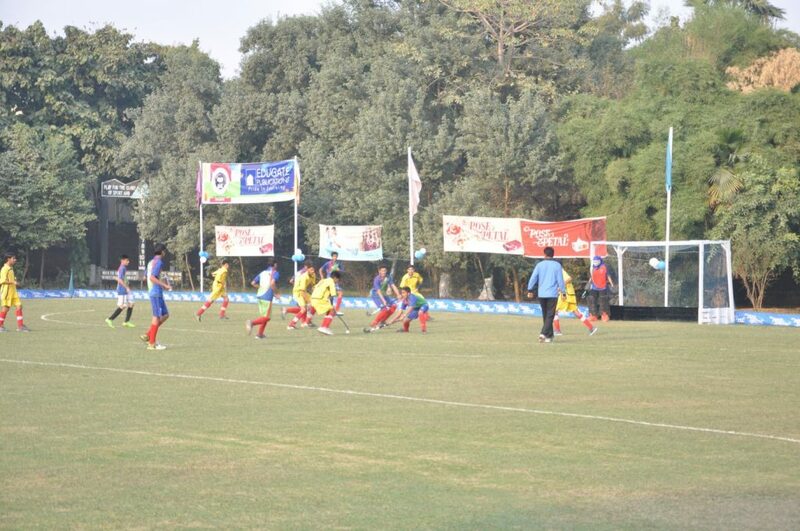 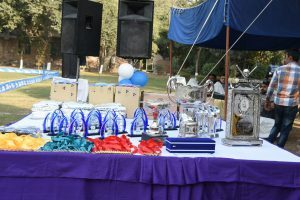 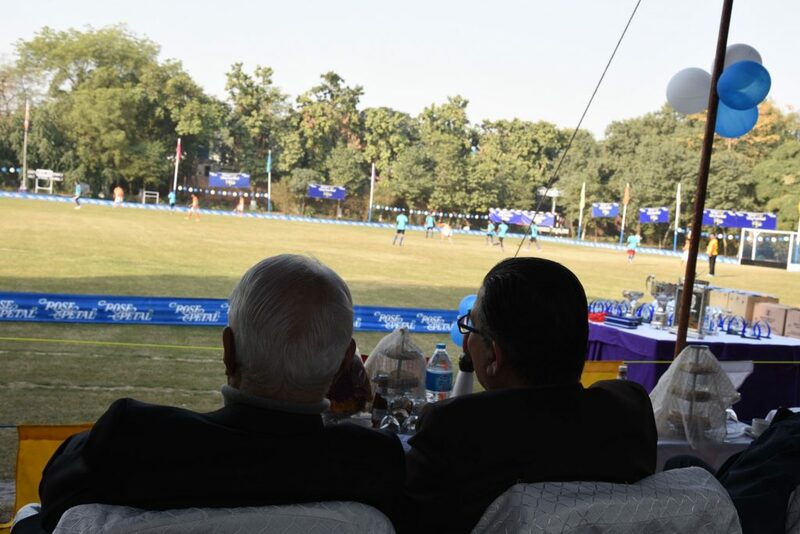 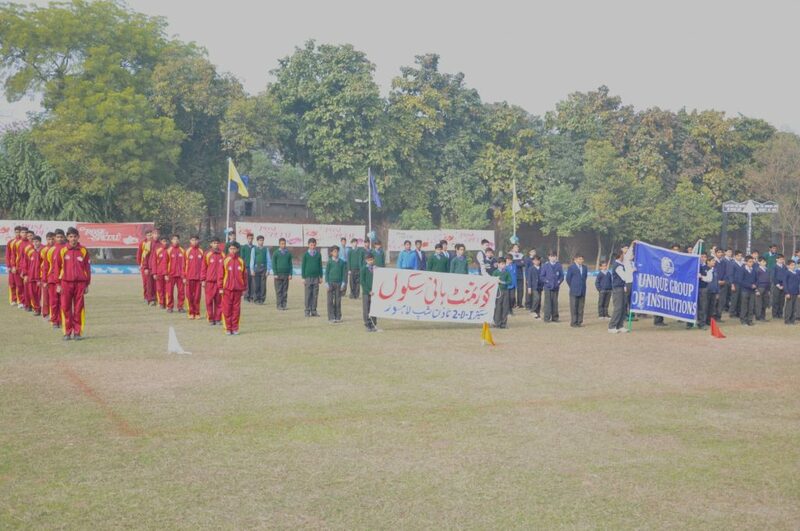 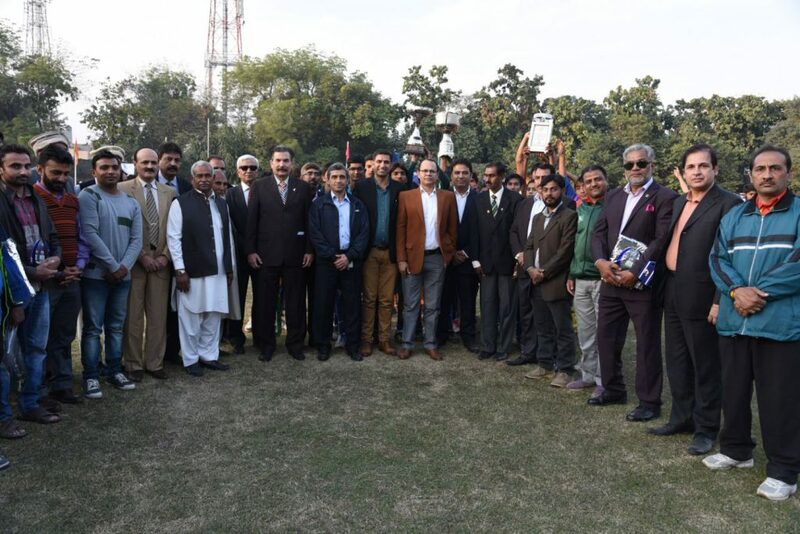 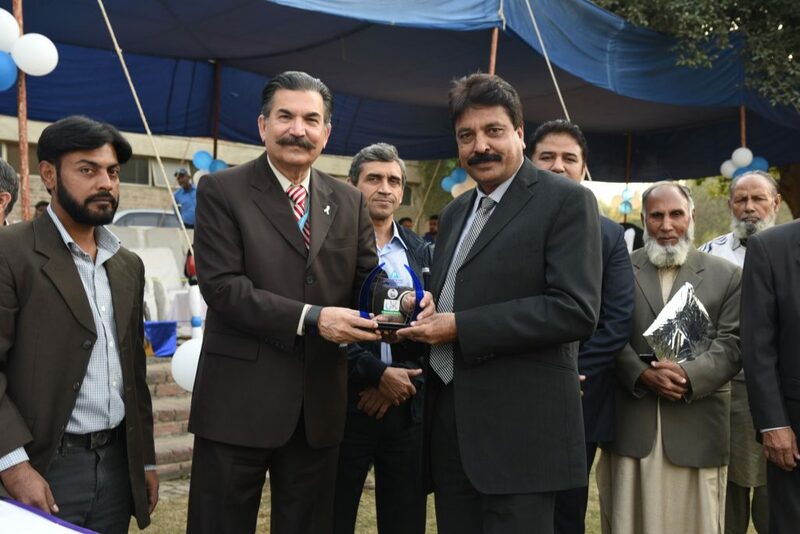 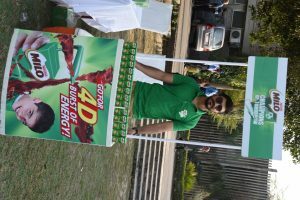 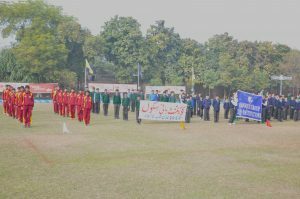 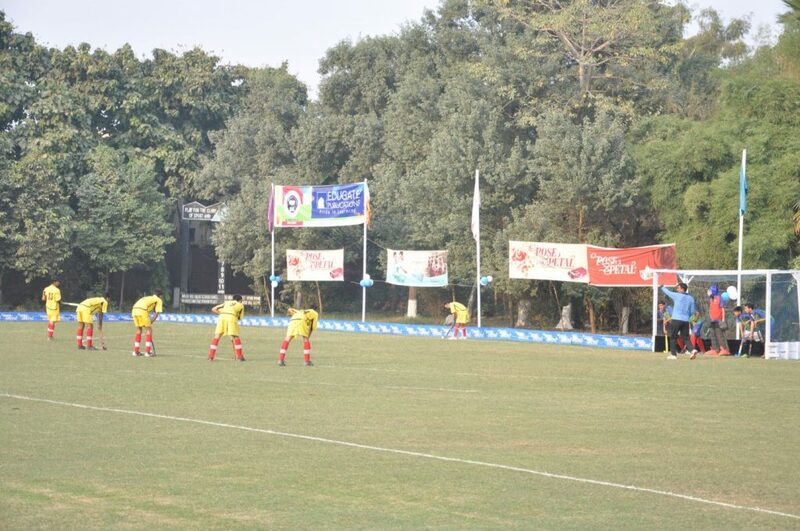 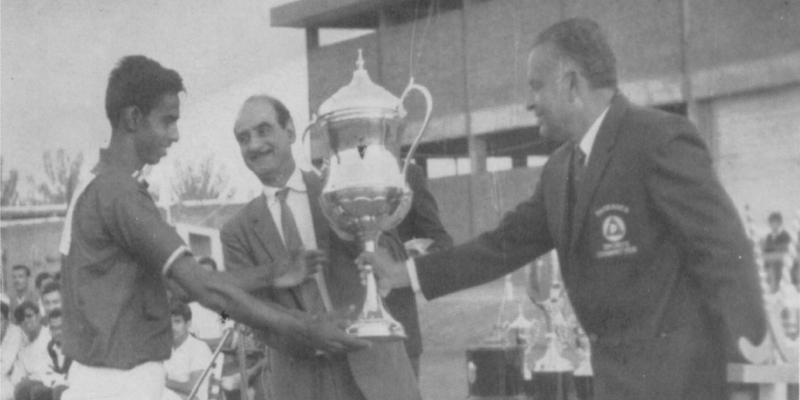 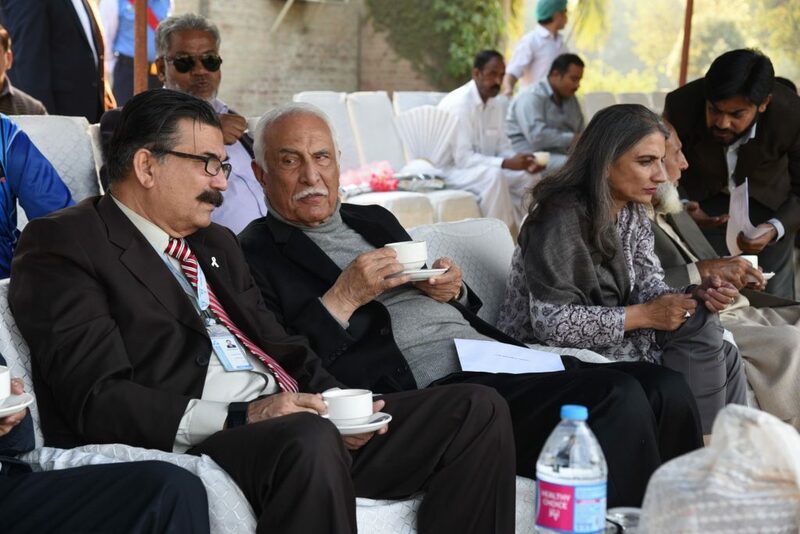 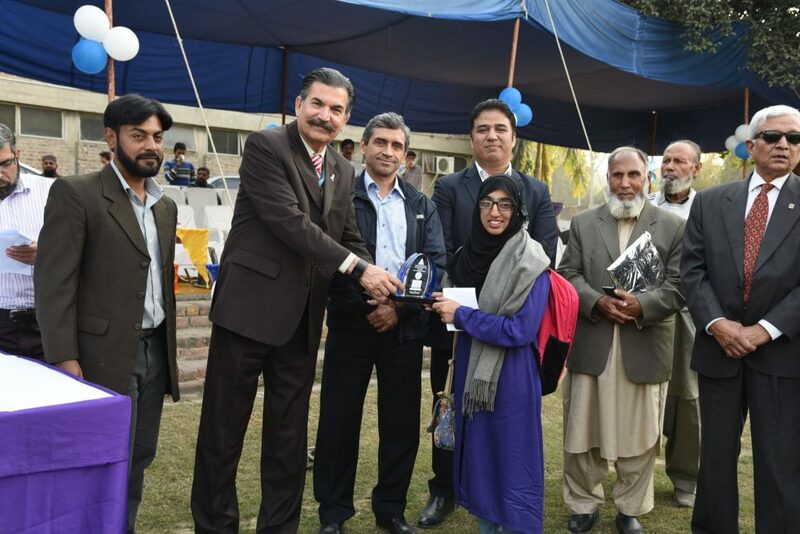 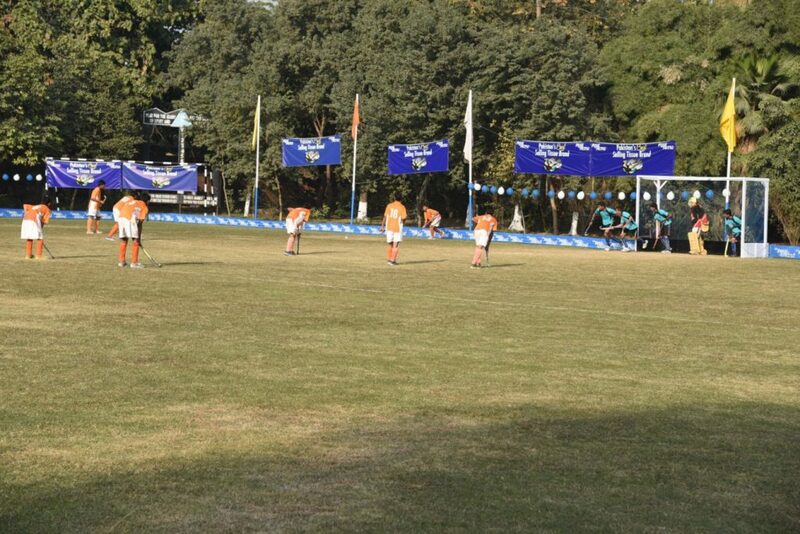 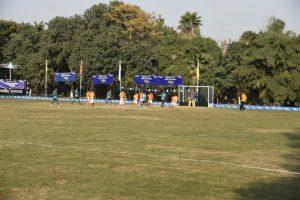 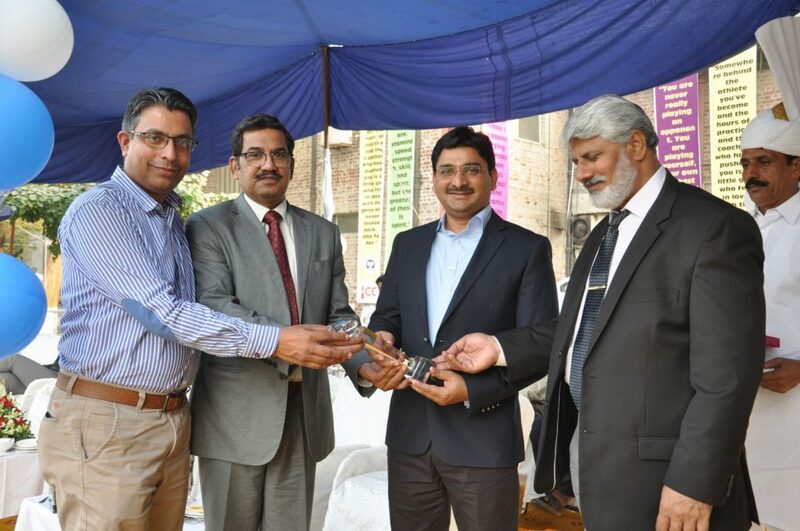 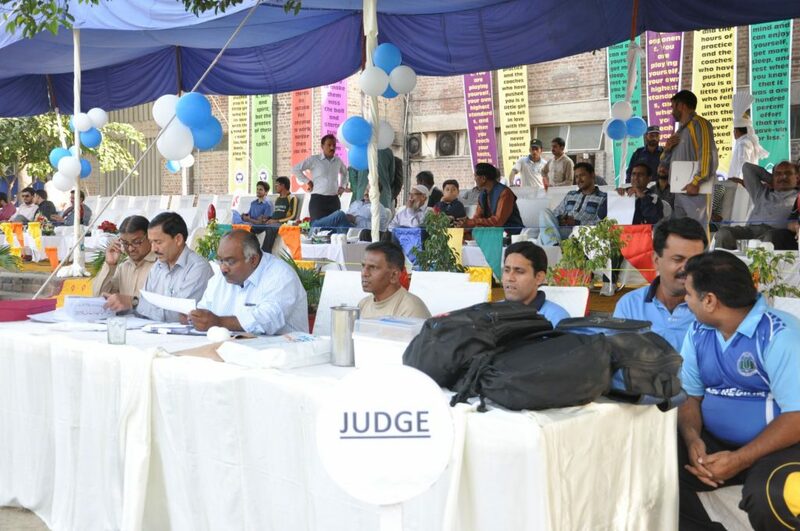 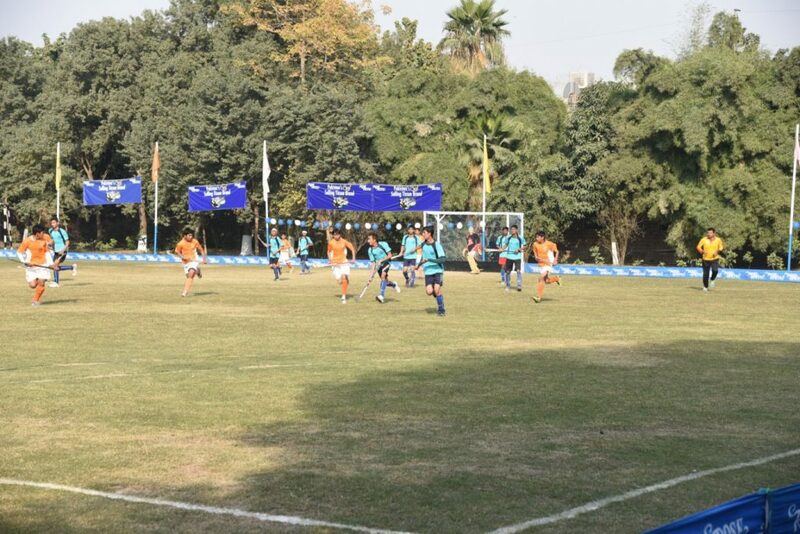 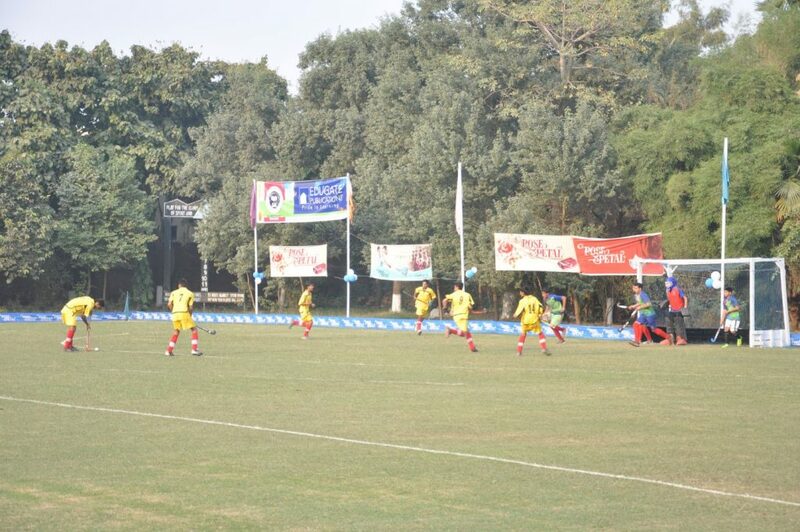 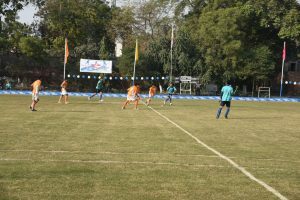 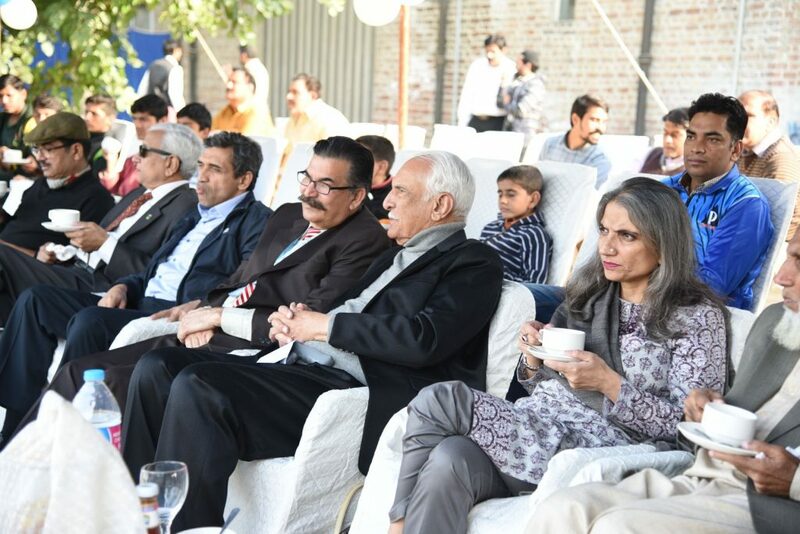 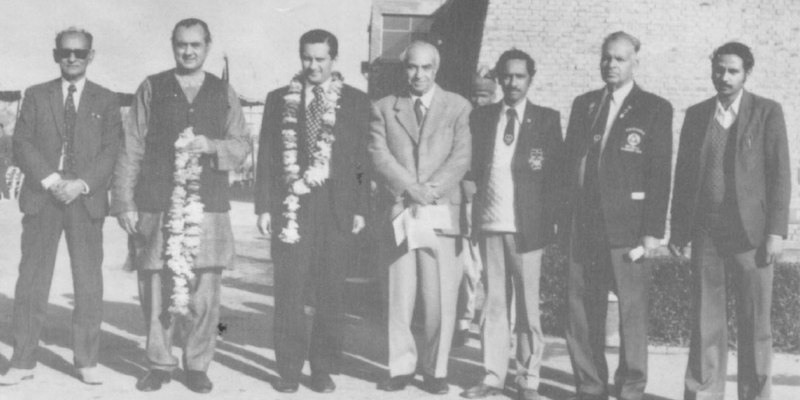 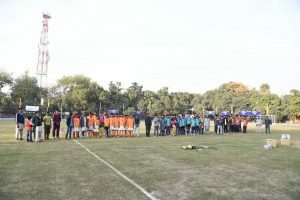 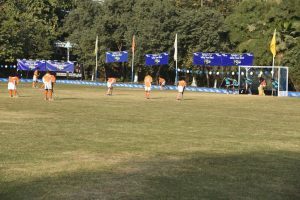 With this support, the first Jafar Memorial Inter- School Tournament for Lahore Division was held in April 1967 at Gymkhana Ground, Bagh-e-Jinnah and later in 1968 it was shifted to Ali Industrial Technical Institute Lahore where the tournament is held every year till date. 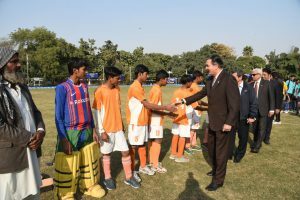 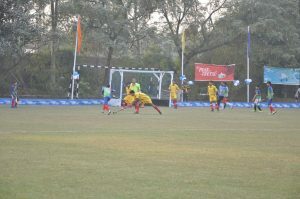 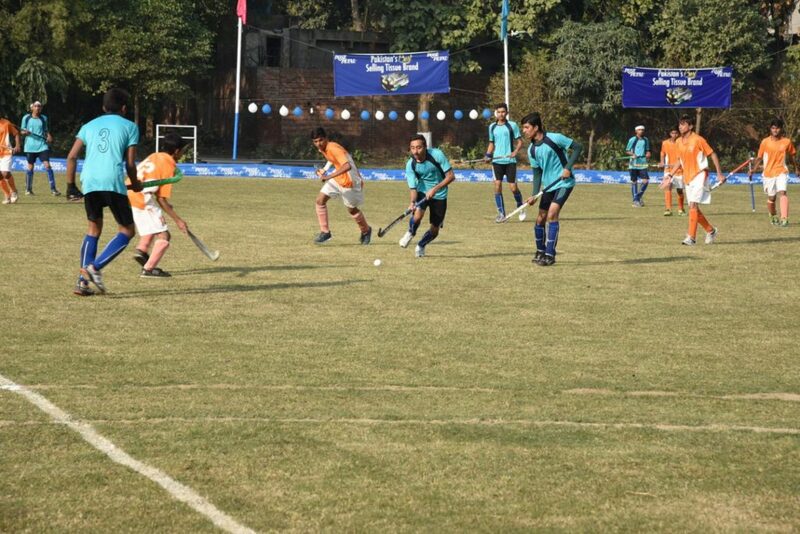 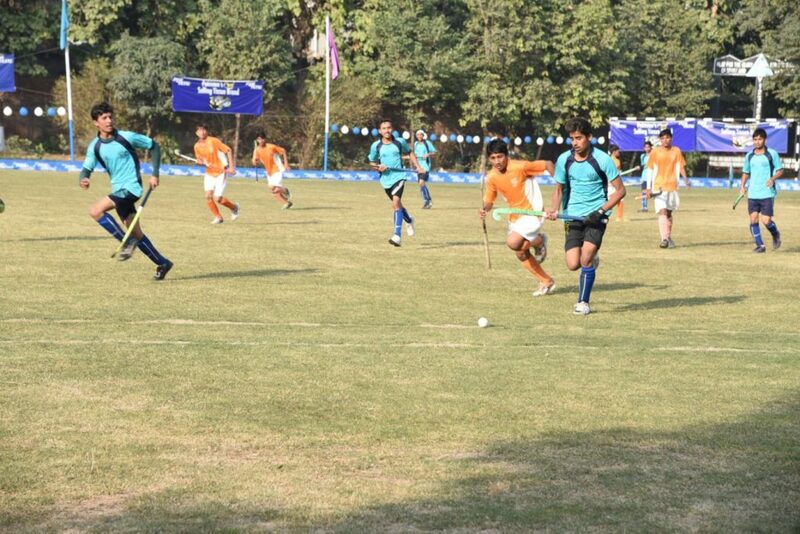 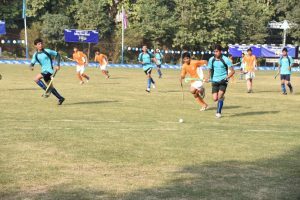 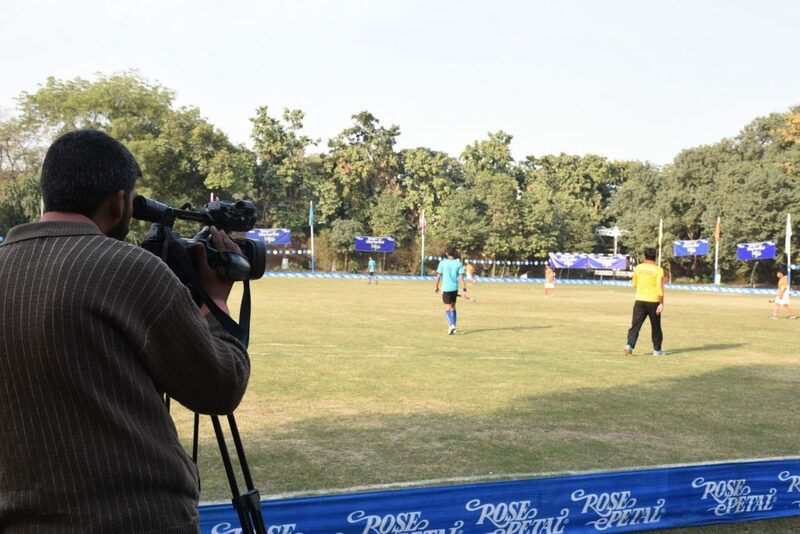 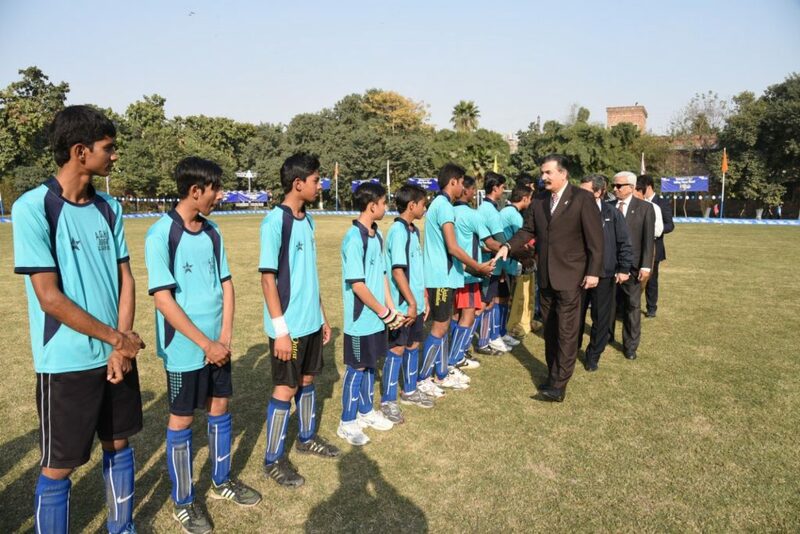 The aim of this championship is to catch the young potential hockey players and provide with necessary facilities of improving their games so that there is no dearth of outstanding players for our National hockey team. 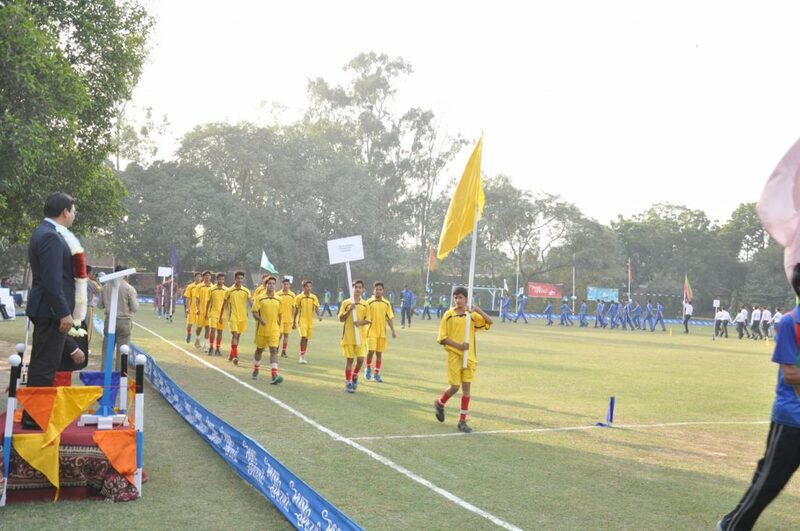 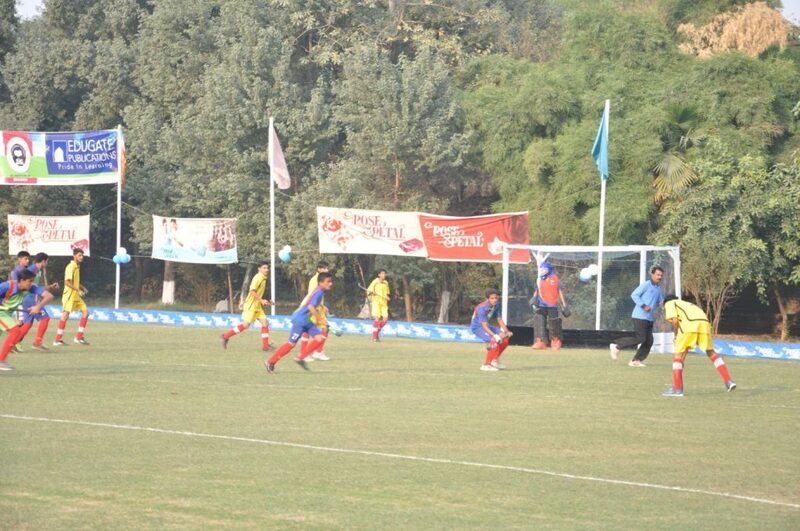 This championship is to play the role of a nursery to discover and foster new, young talent. 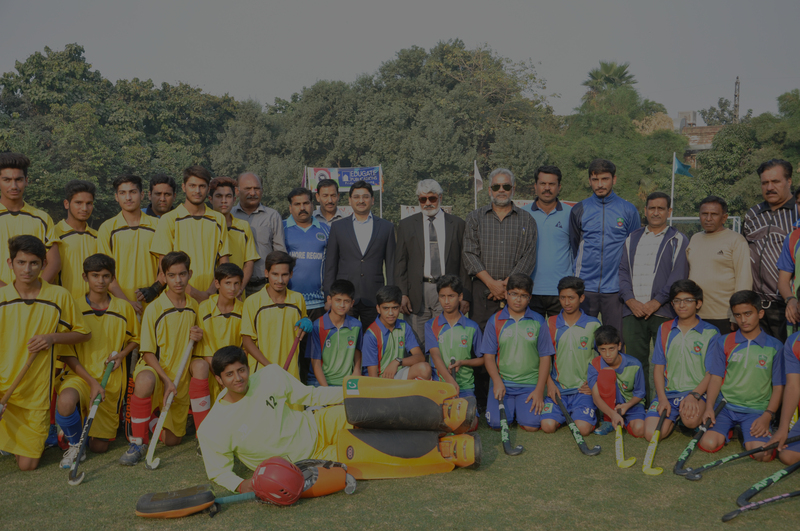 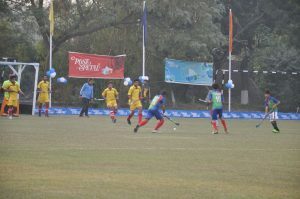 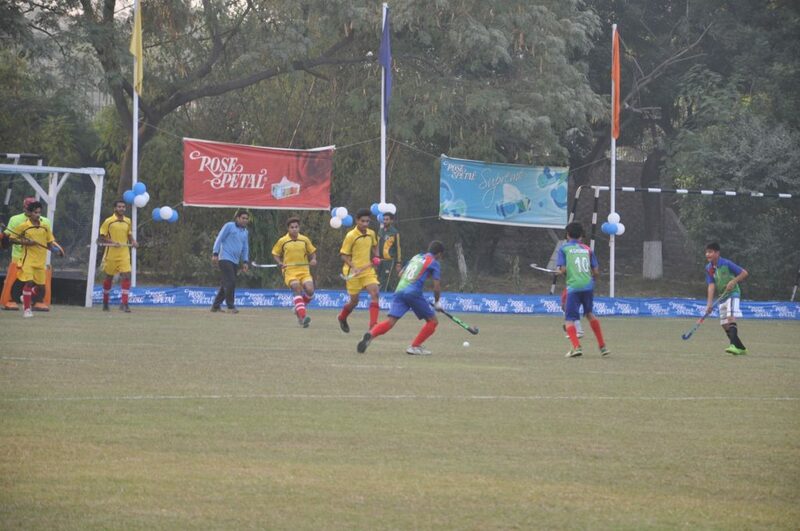 This championship has paved a way for the talent to be selected for national teams for Olympics, Asian games, world cup, The First Asian hockey eleven, first junior World Cup. 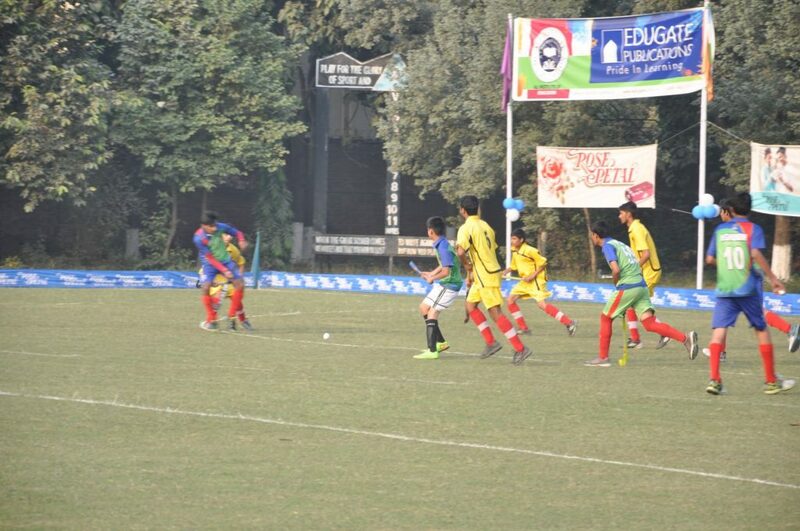 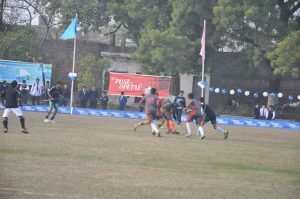 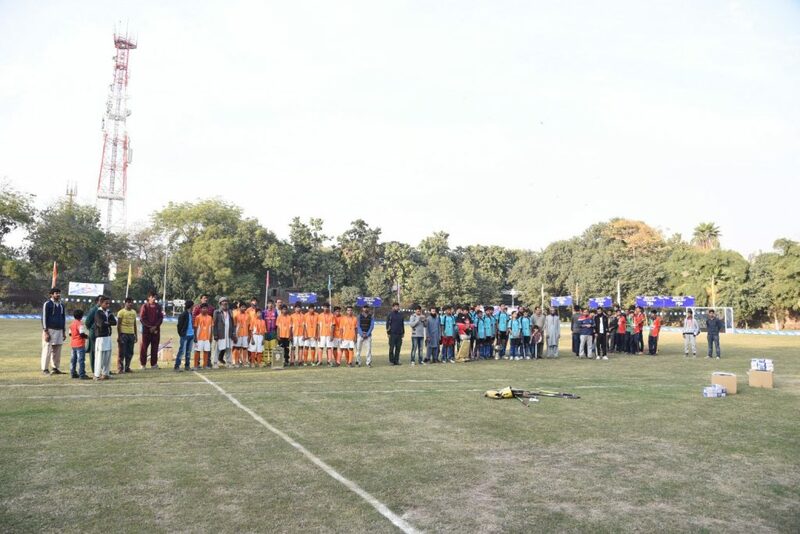 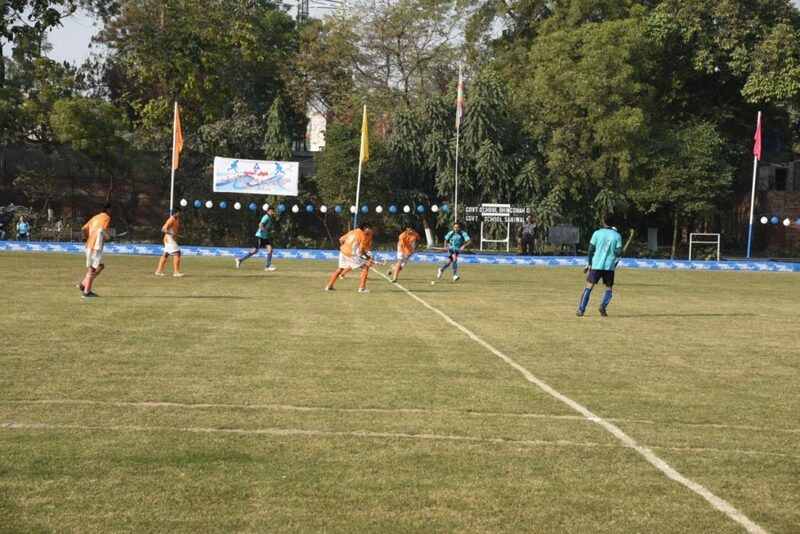 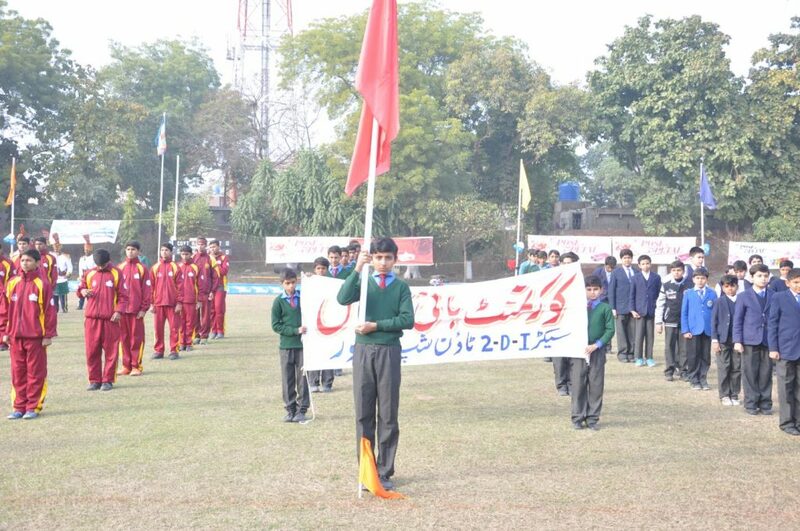 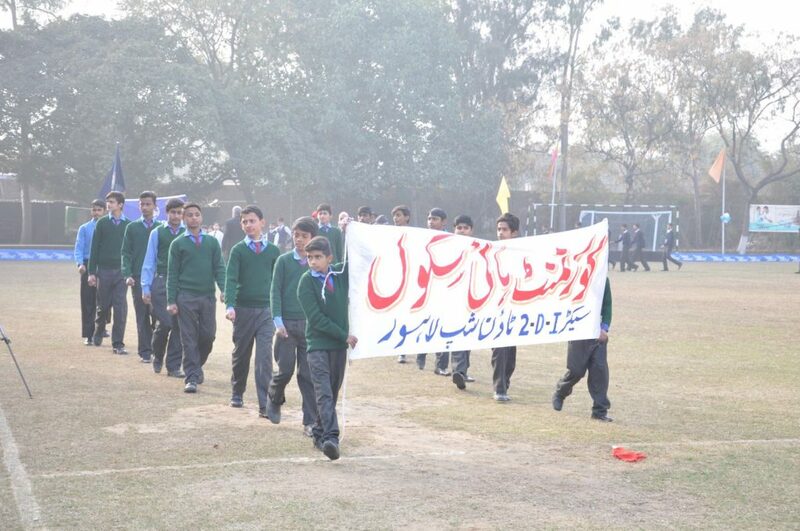 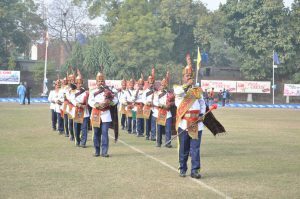 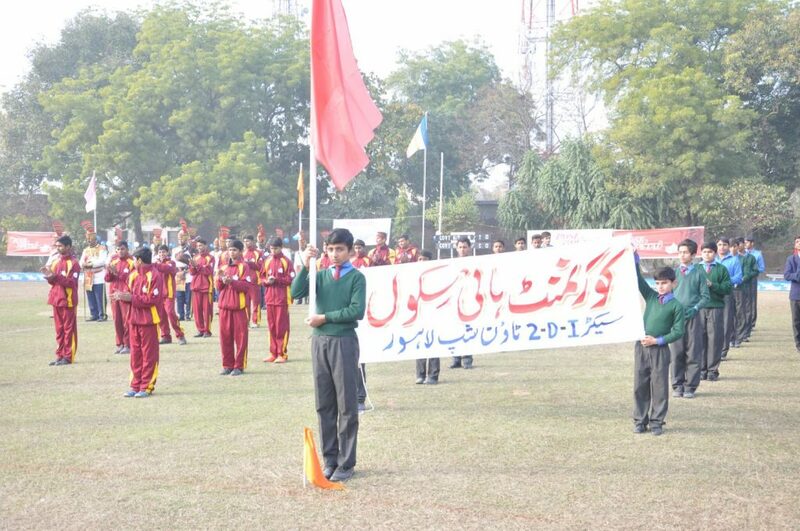 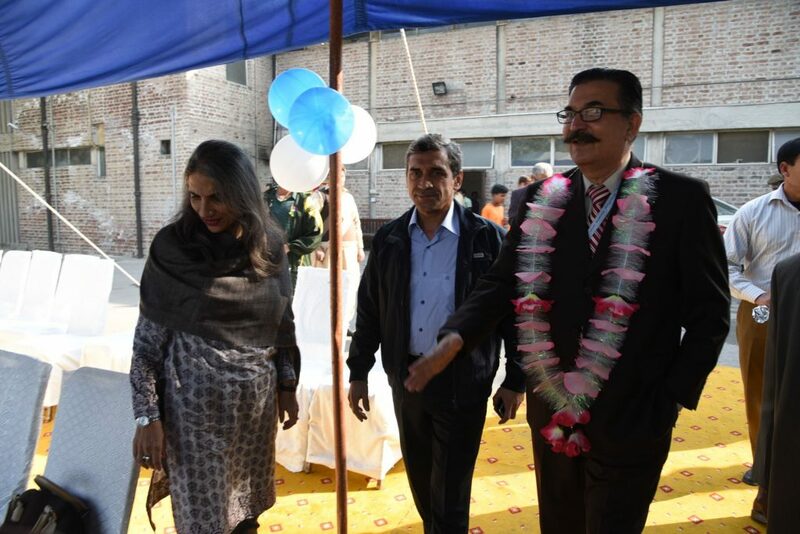 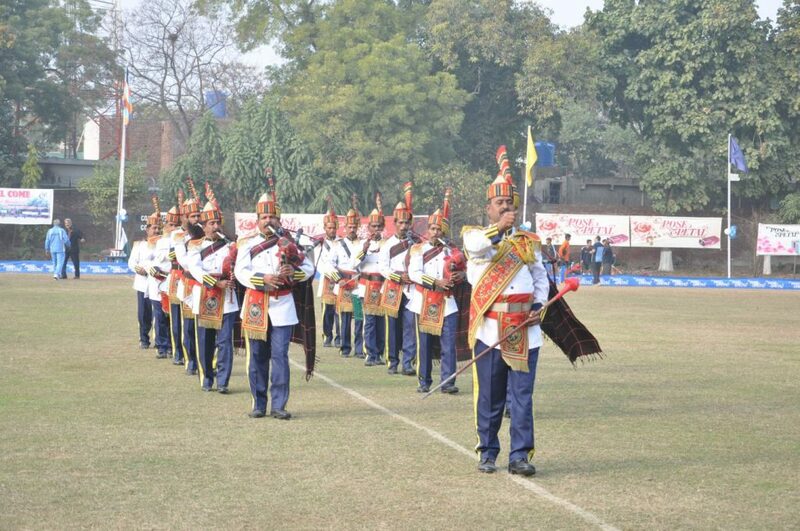 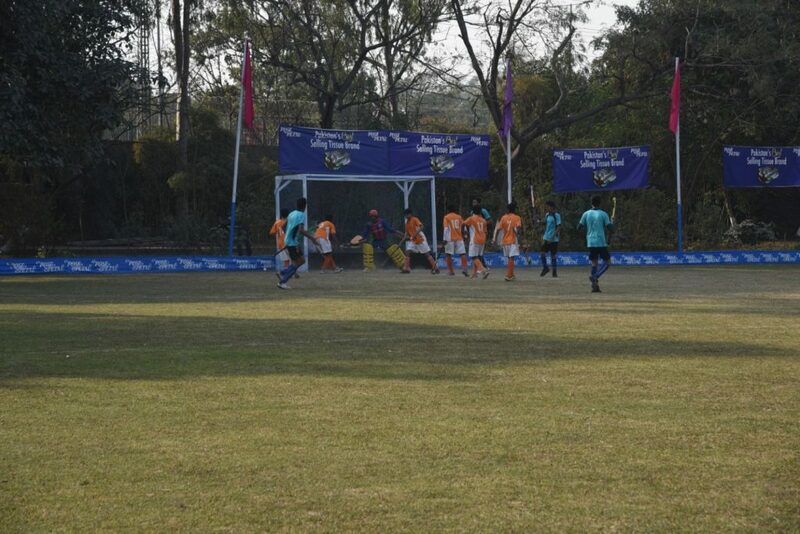 Being a success for the past 18 years, the Jafar Memorial Inter- School Tournament is now played inter-district within Punjab keeping the memory of Muhammad Jafar alive. 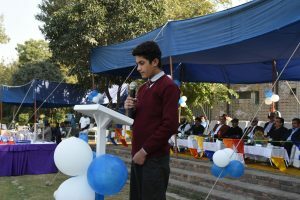 As Barry once said in his address, ‘the most appropriate way to commemorate Muhammad Jafar’s scared memory would be to strive to be like him, to serve humanity according to his ideals of service, to love children as he loved him, to be a patriot as he was and to love truth as he loved it.